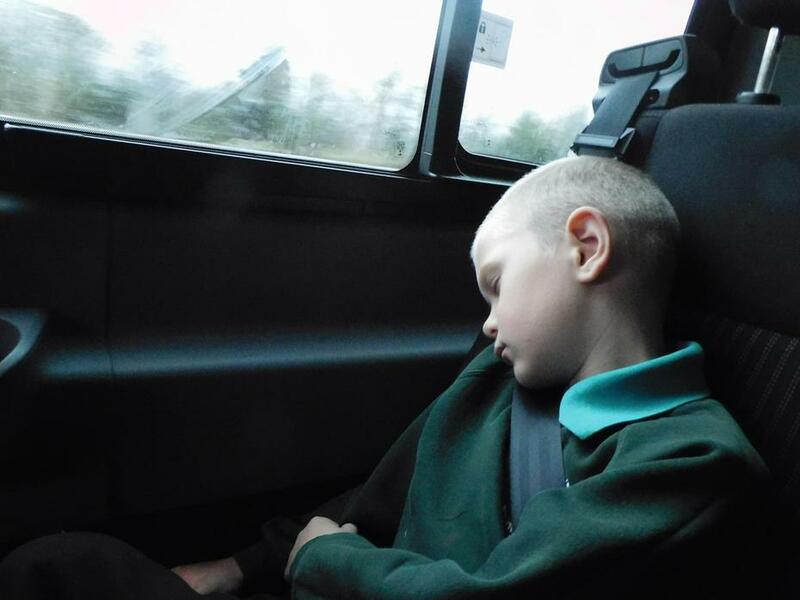 Please ensure that you listen to your child read every night and that they have their PE kit in school. 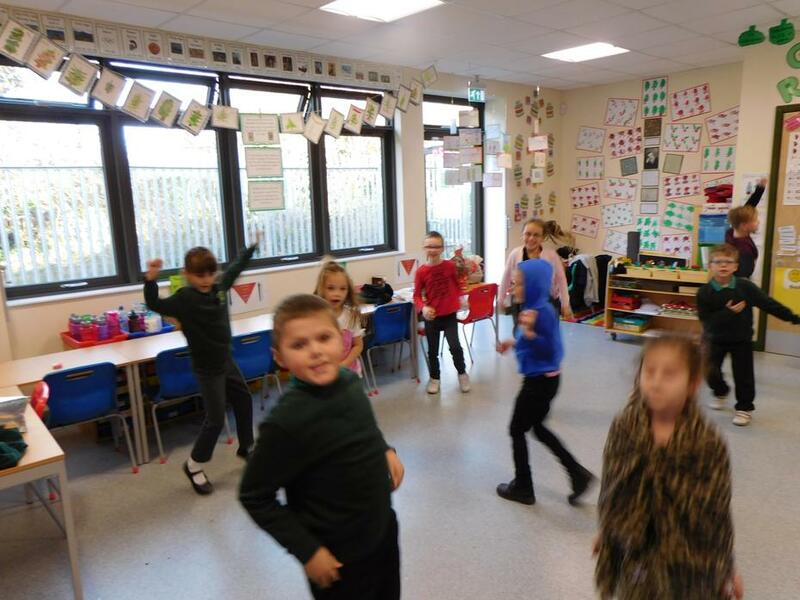 PE will be on Fridays. 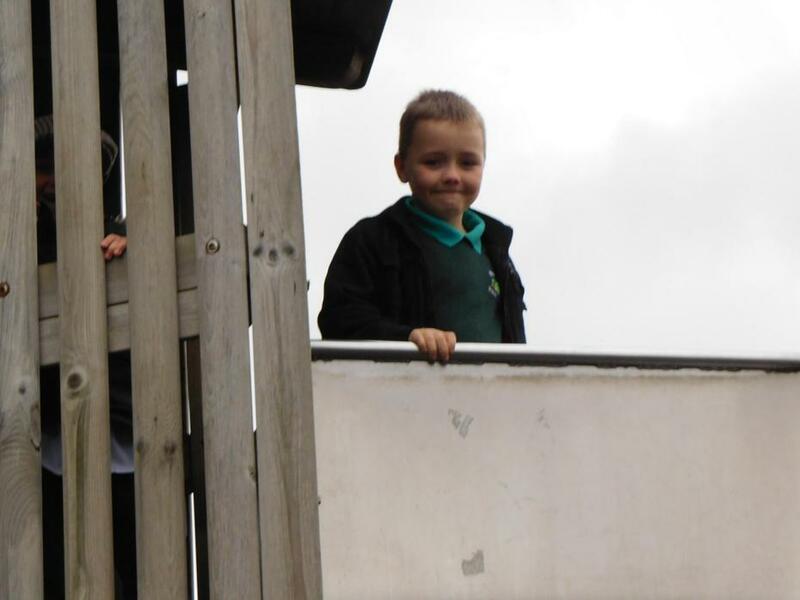 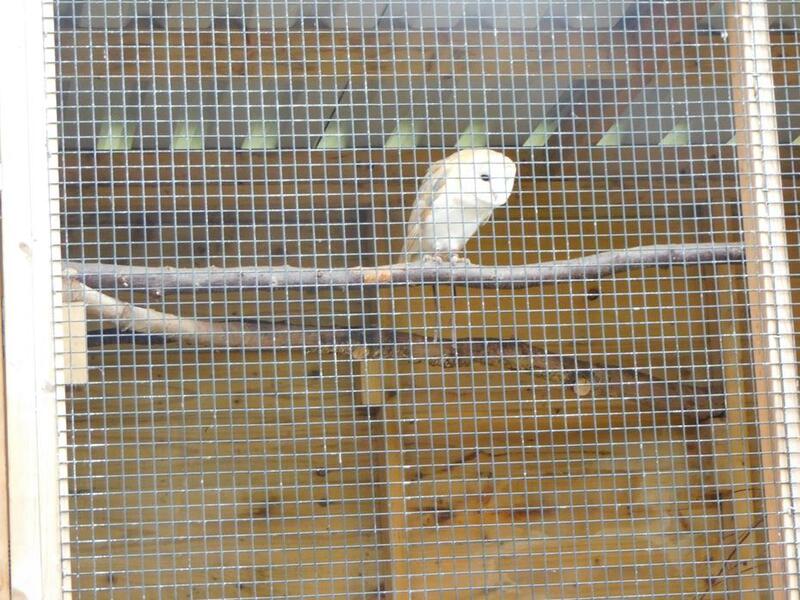 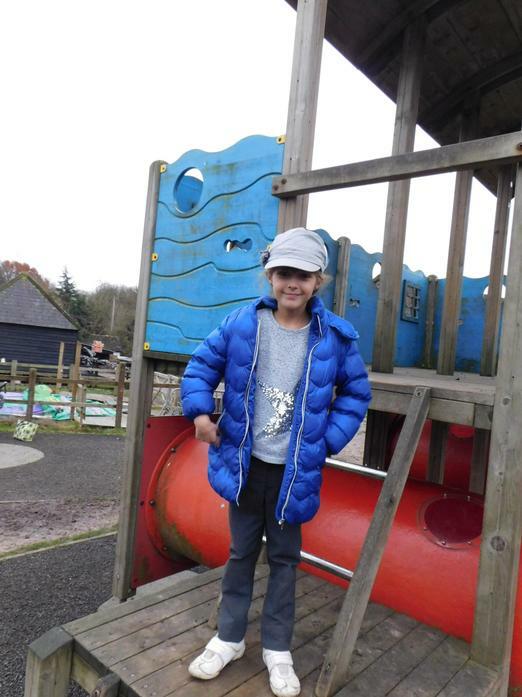 Forest school will be on Tuesday mornings, please ensure that when it is your child's session that they have appropriate clothing. 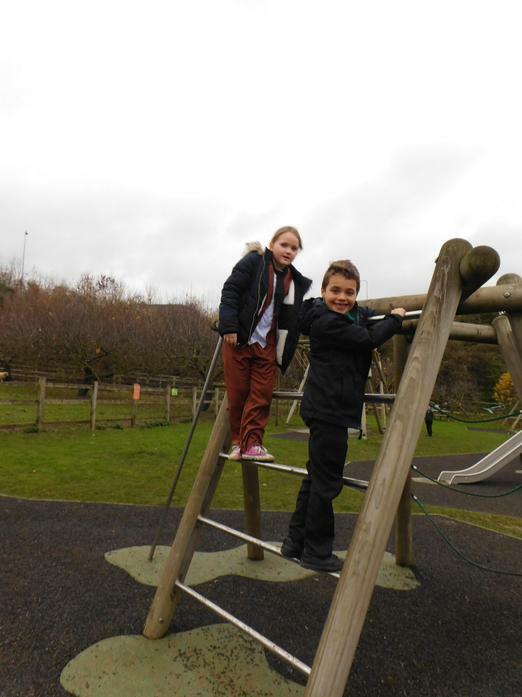 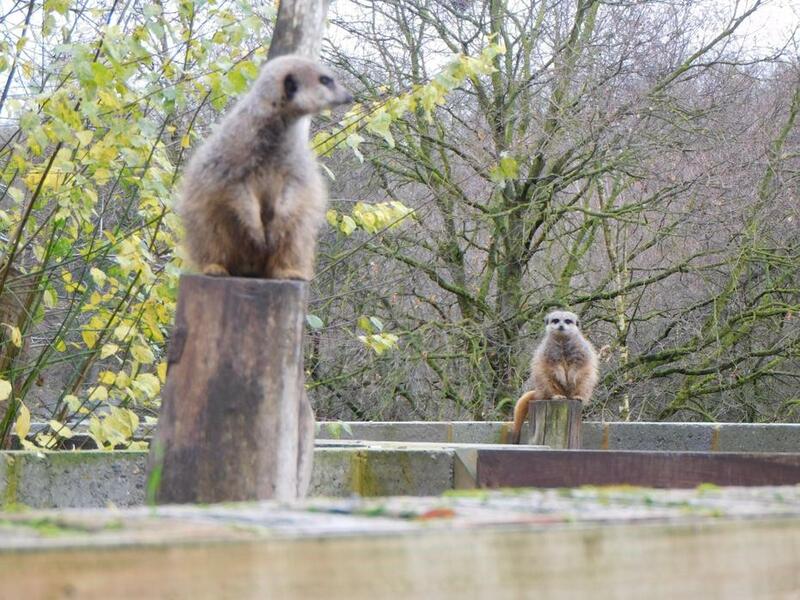 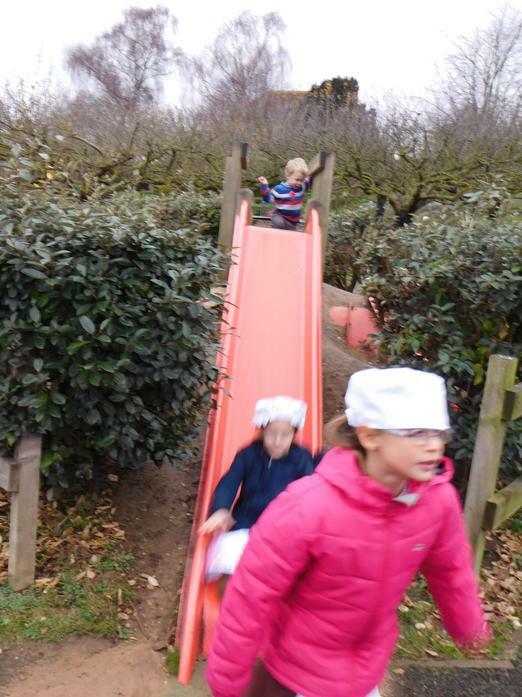 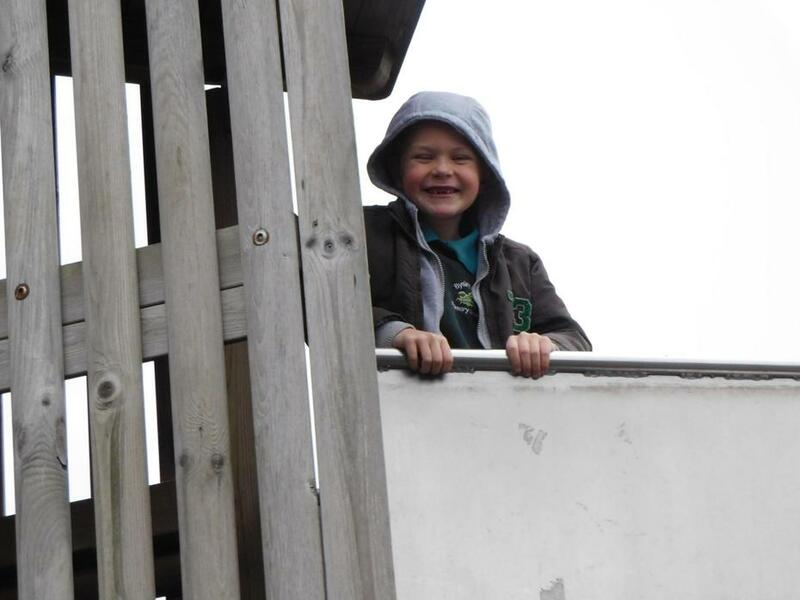 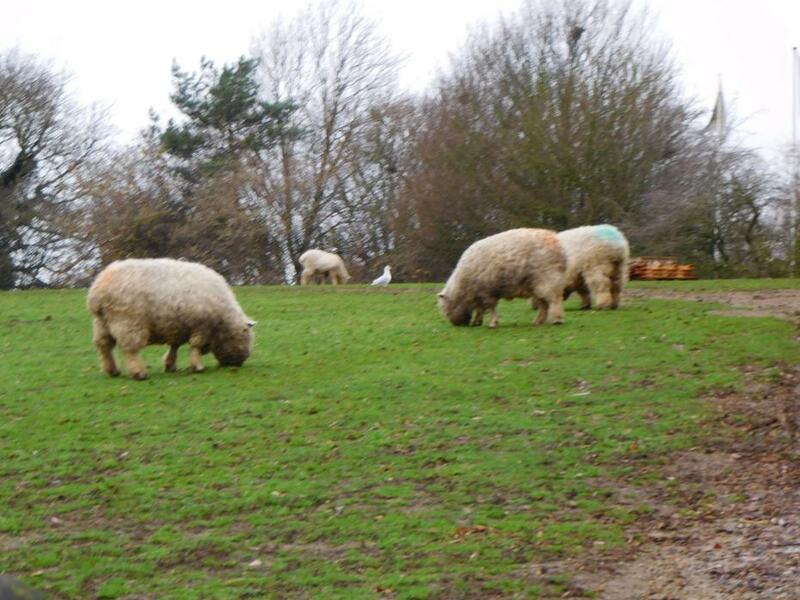 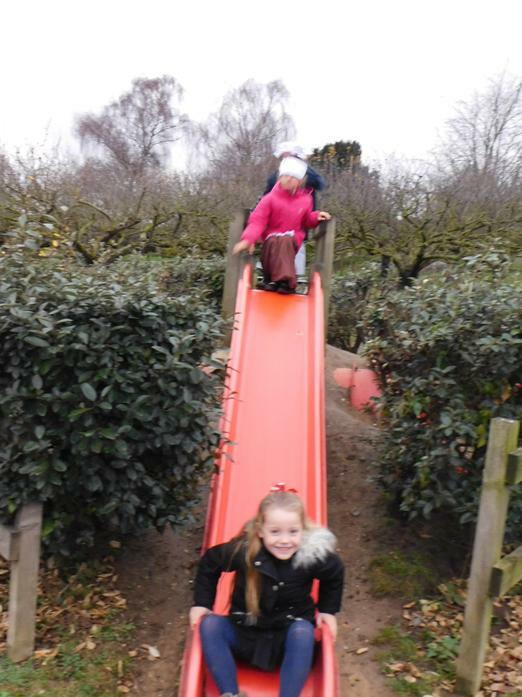 This includes long trousers and a thick long sleeved top, sturdy hiking boots or wellies and waterproofs as the children will be in the forest in all weathers. 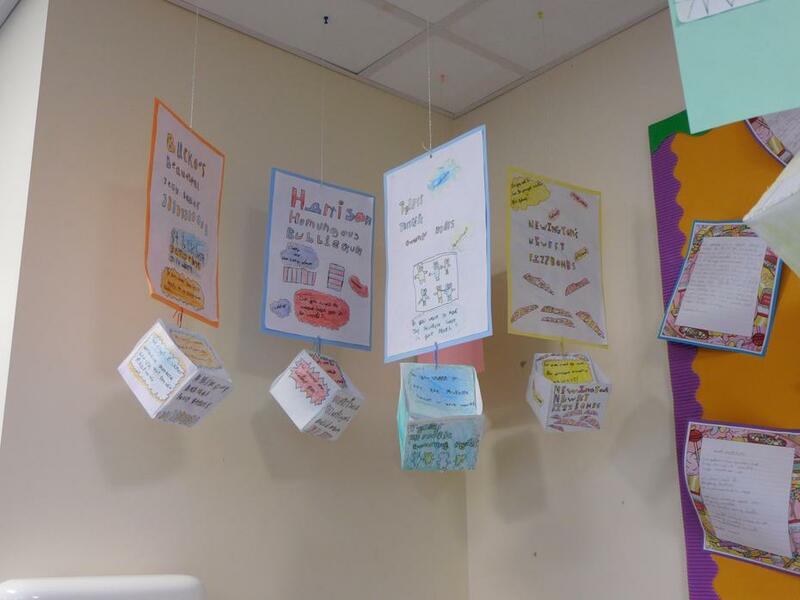 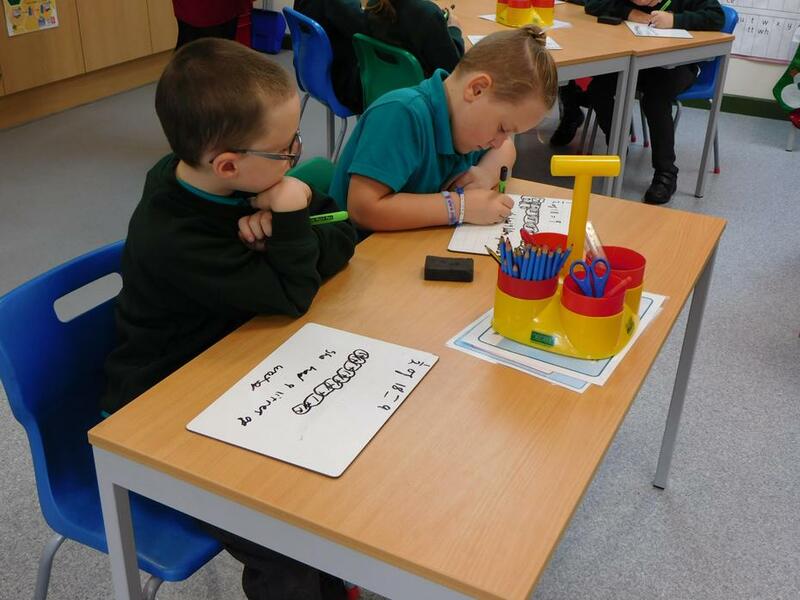 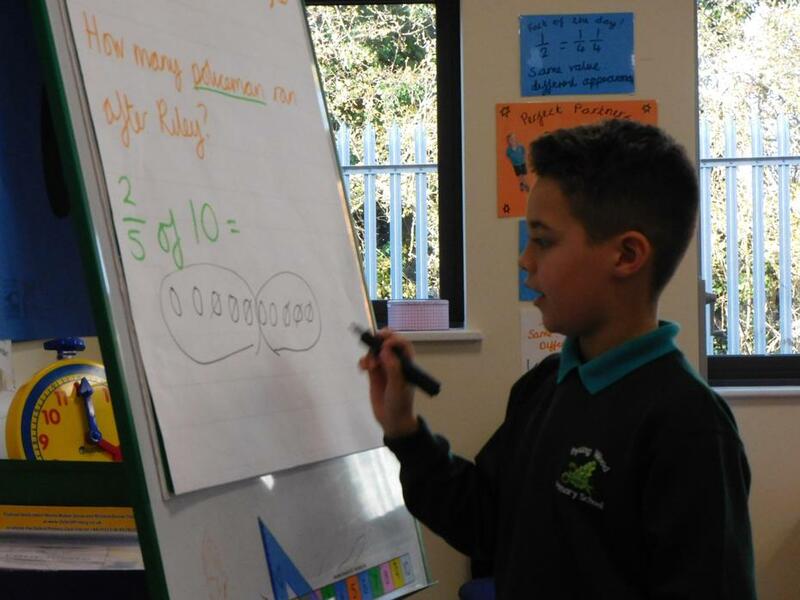 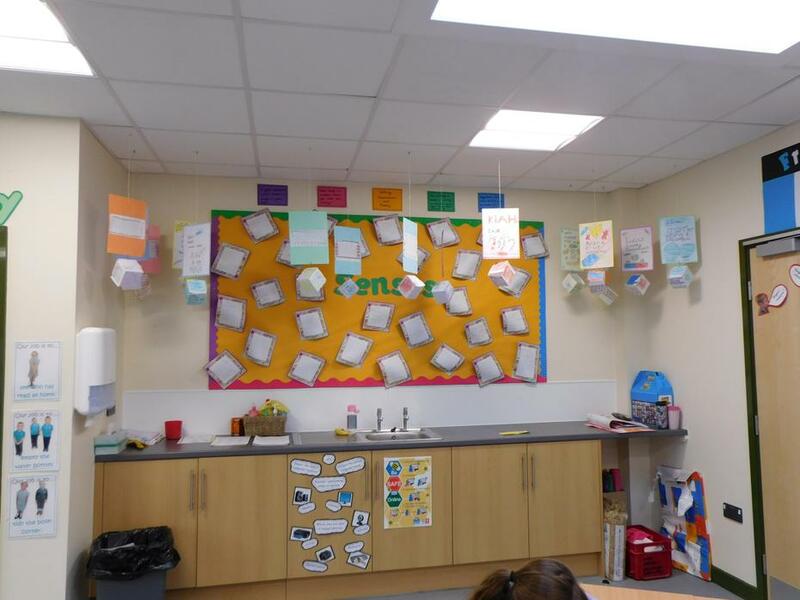 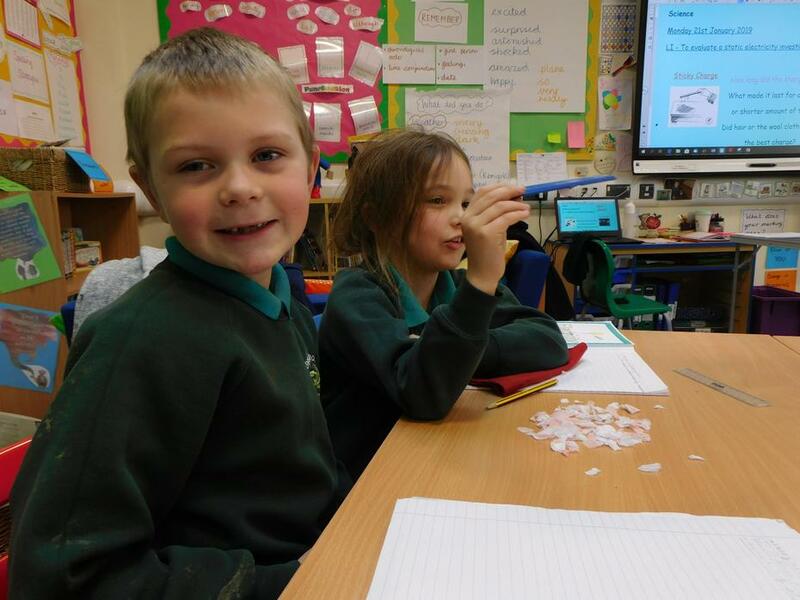 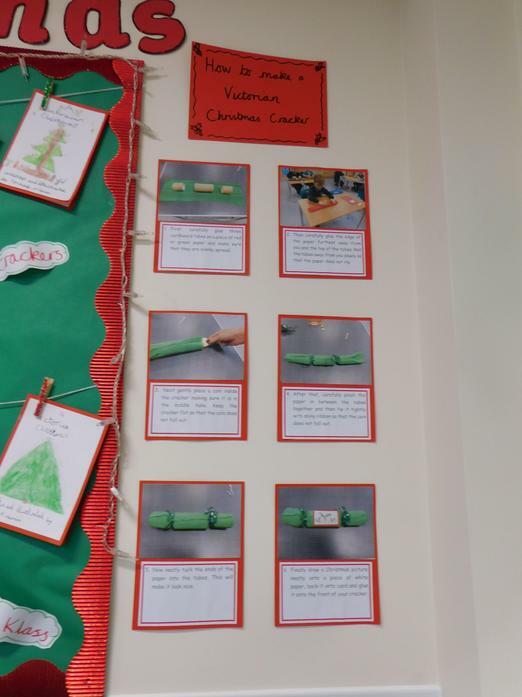 We hope you enjoy looking at what we have been learning. 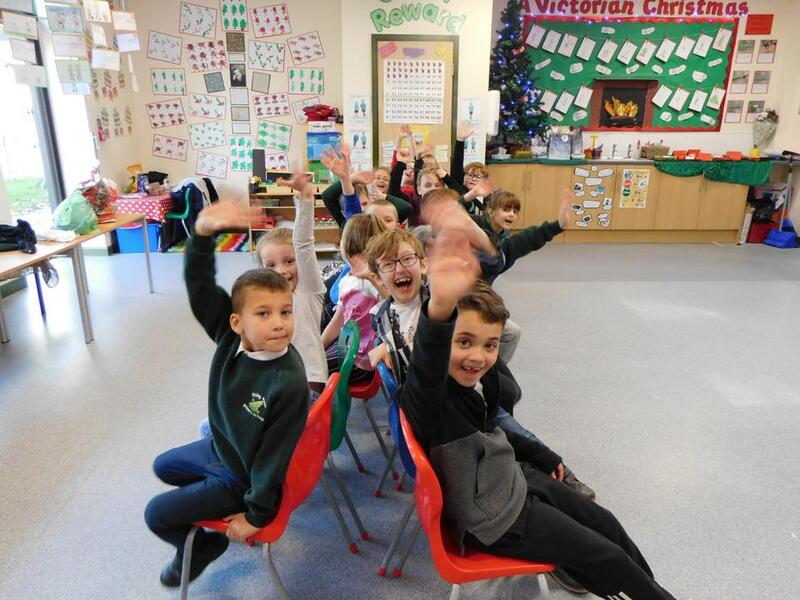 Happy New from all of us in Bramley Class! 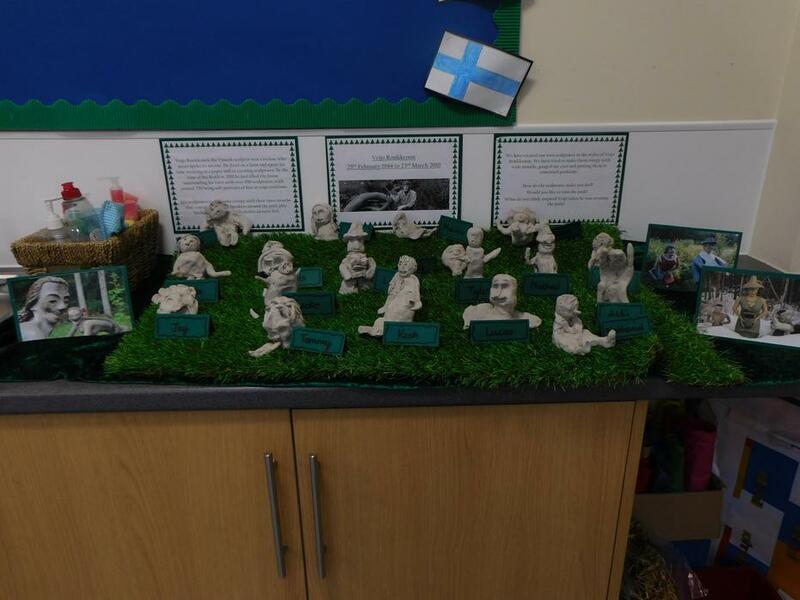 This term the children will be researching the two countries of Spain and Finland. 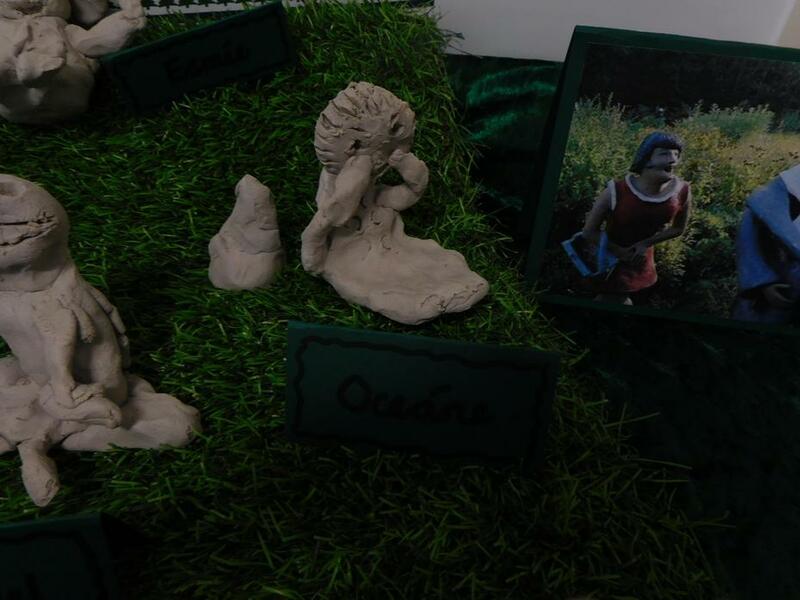 They will locate them on a world and map and then on the continent they belong to. 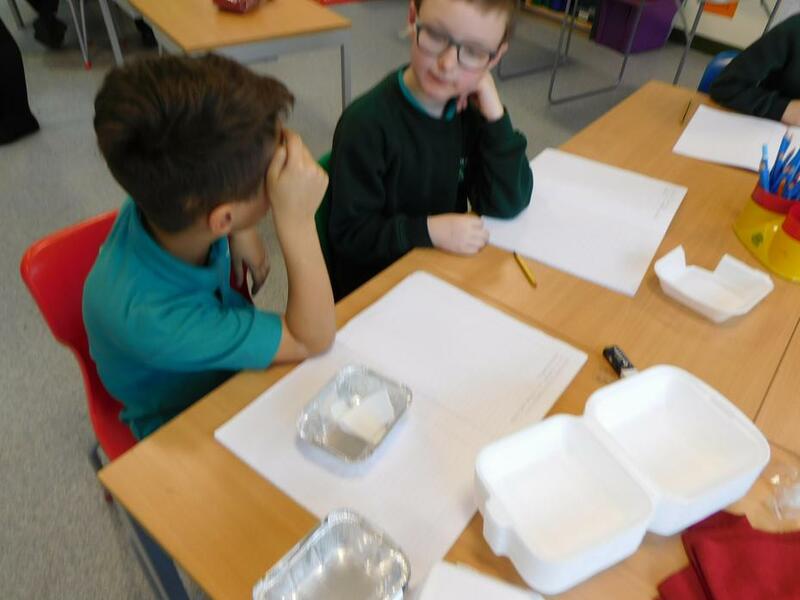 They will find out about the language, food and geographical features of the countries. 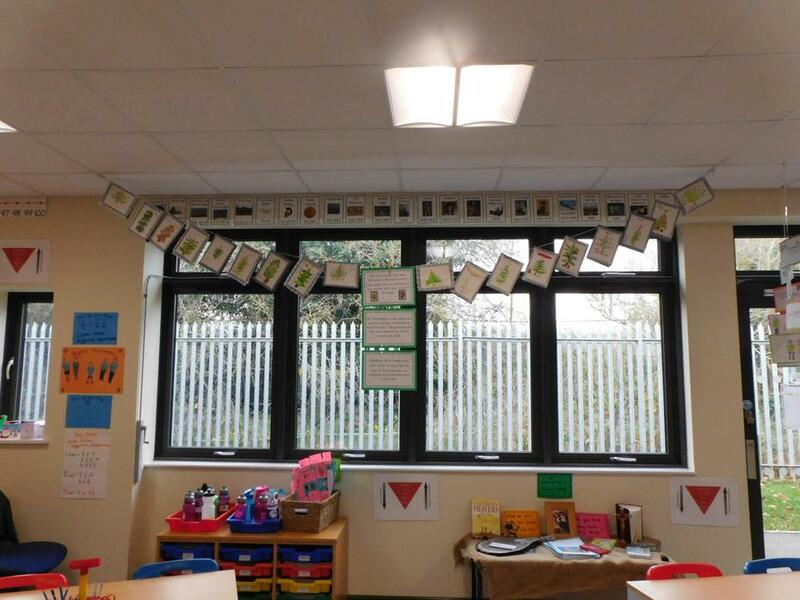 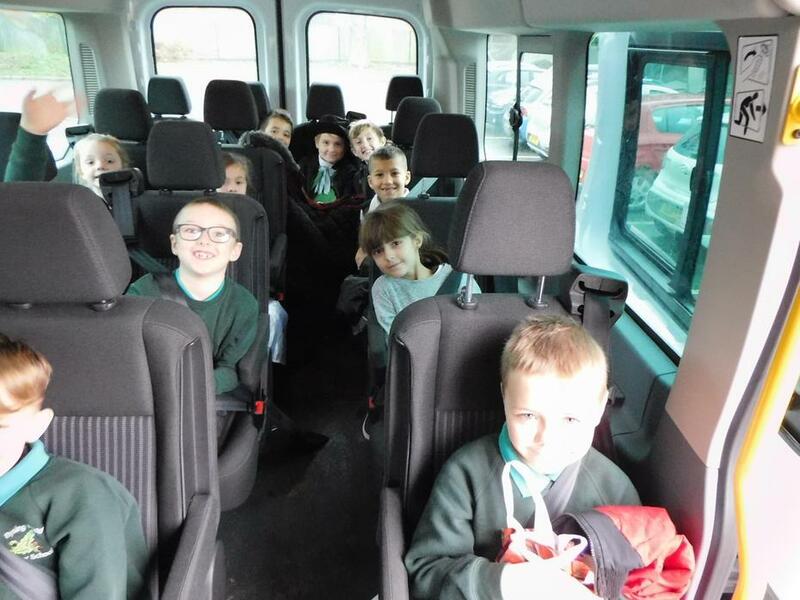 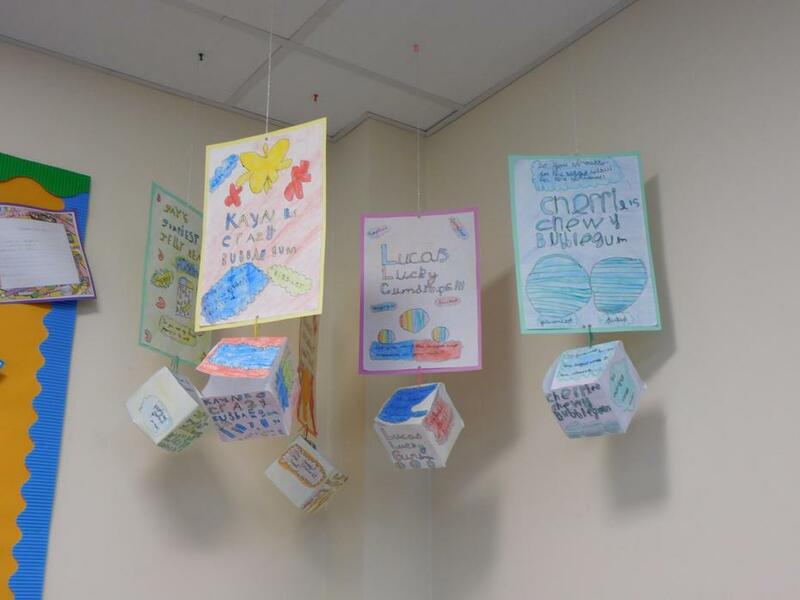 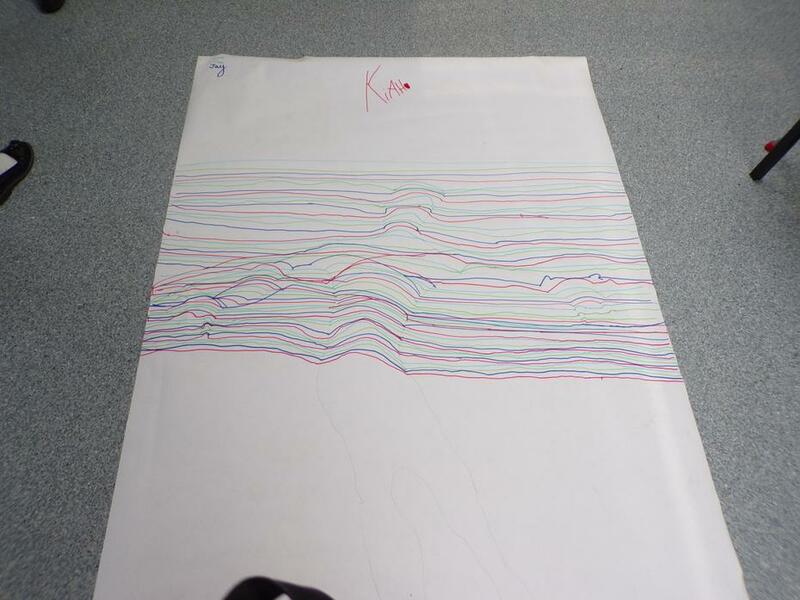 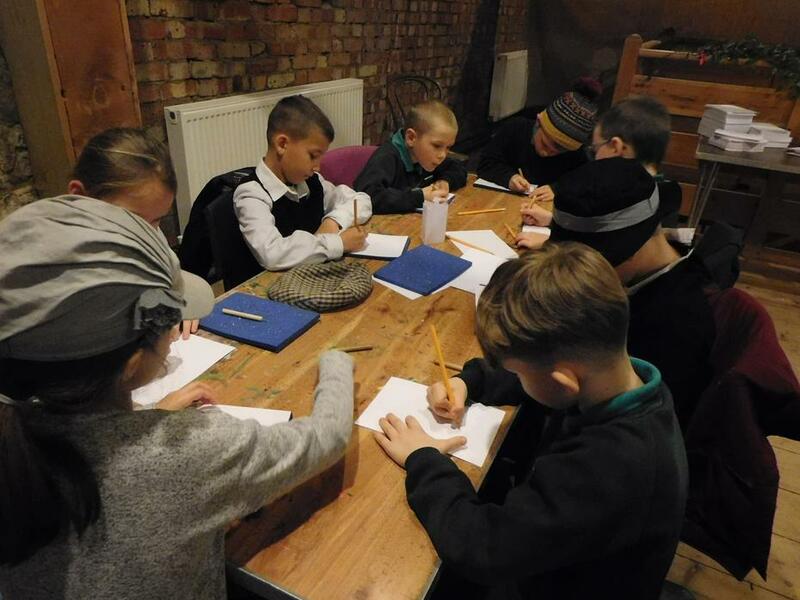 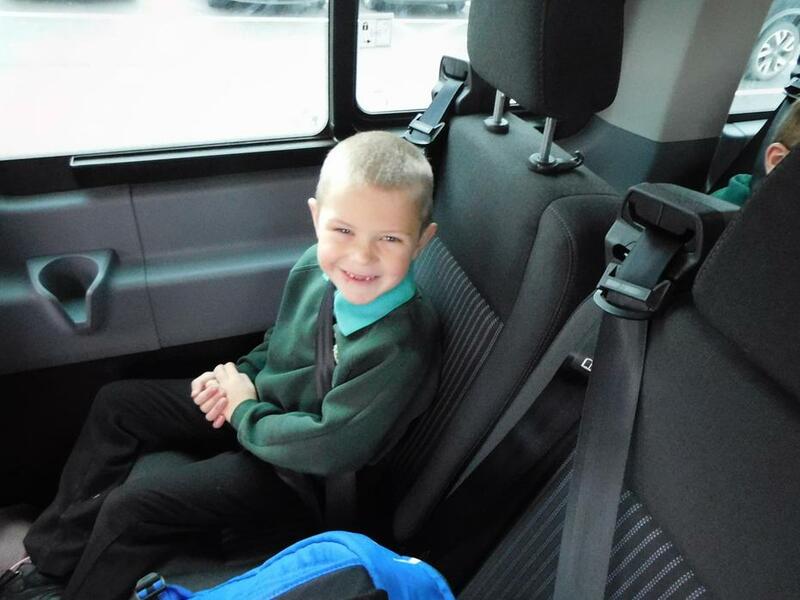 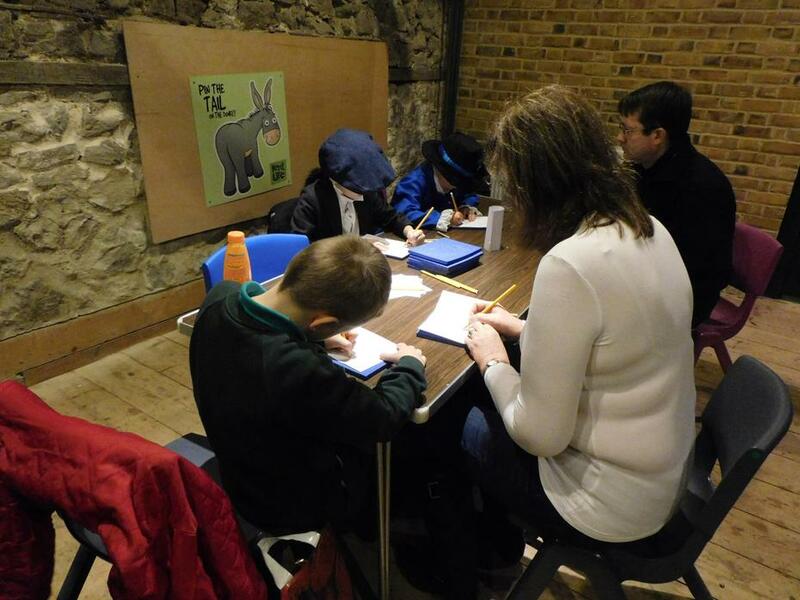 This will provide them lots of opportunities for writing such as diary entries and postcards. 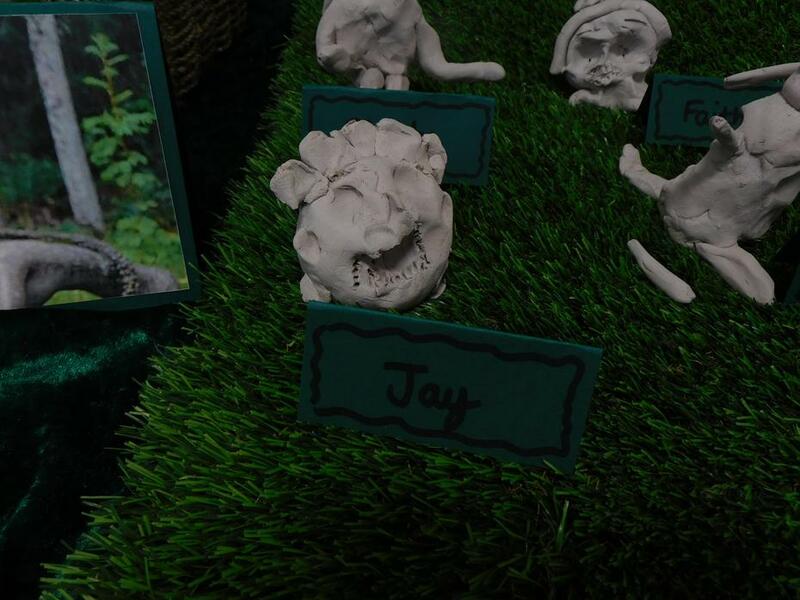 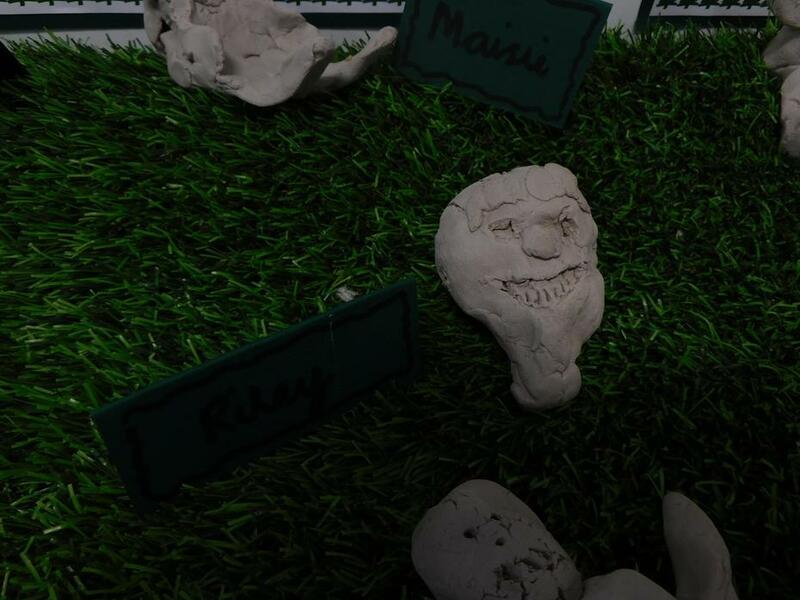 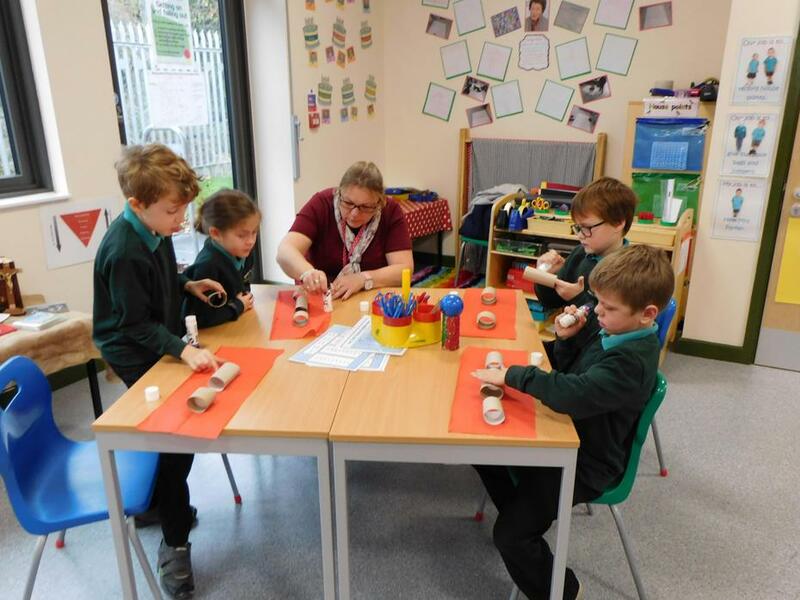 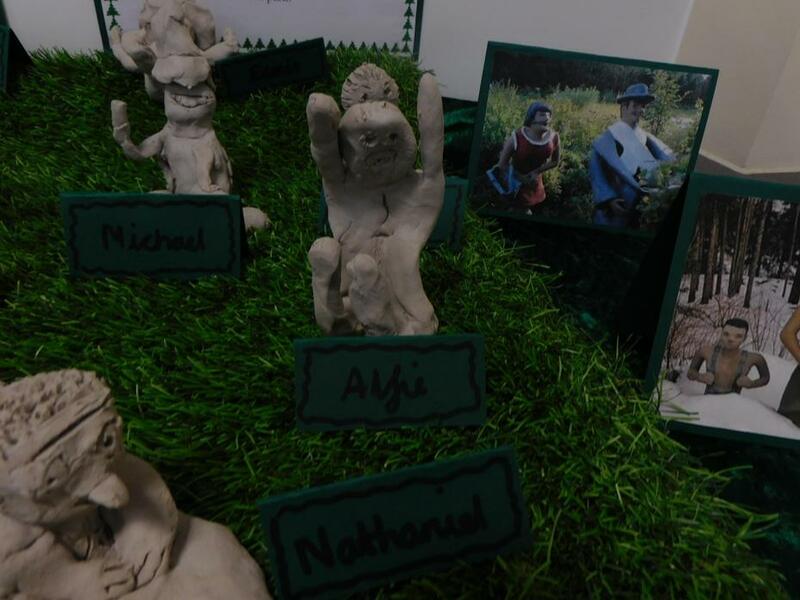 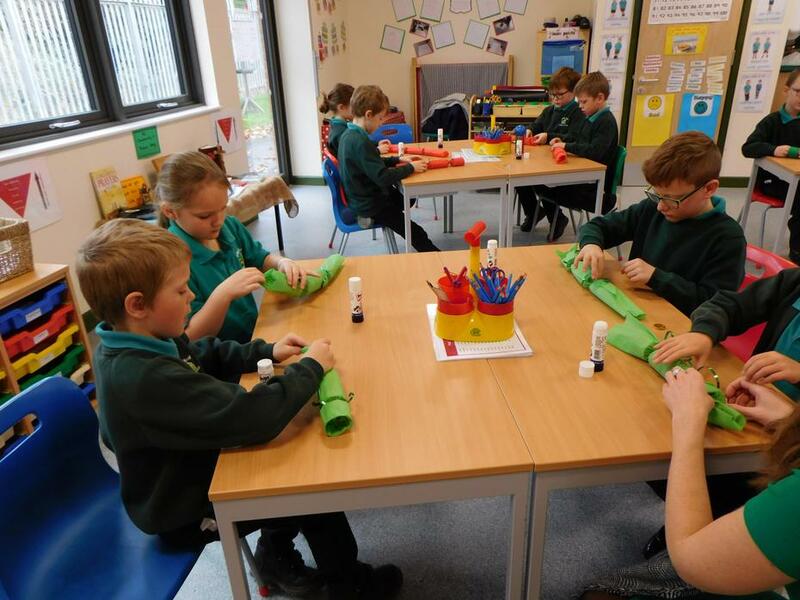 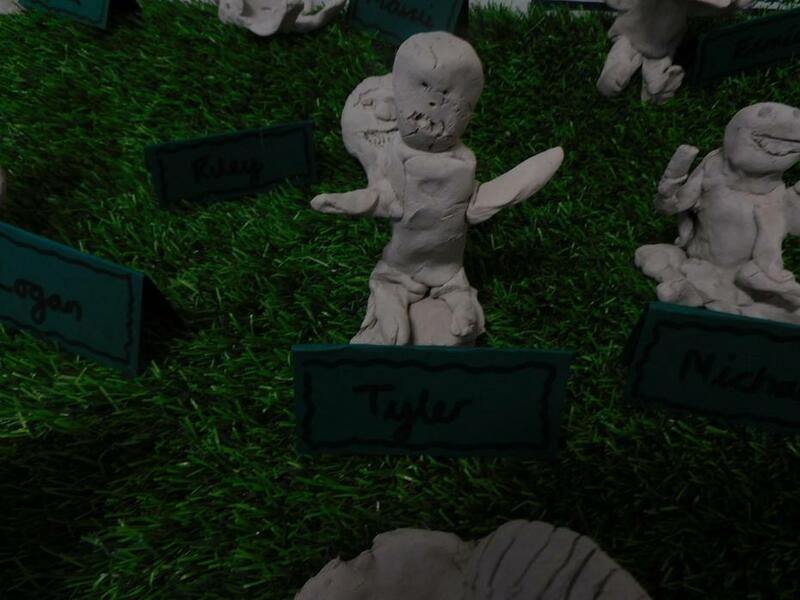 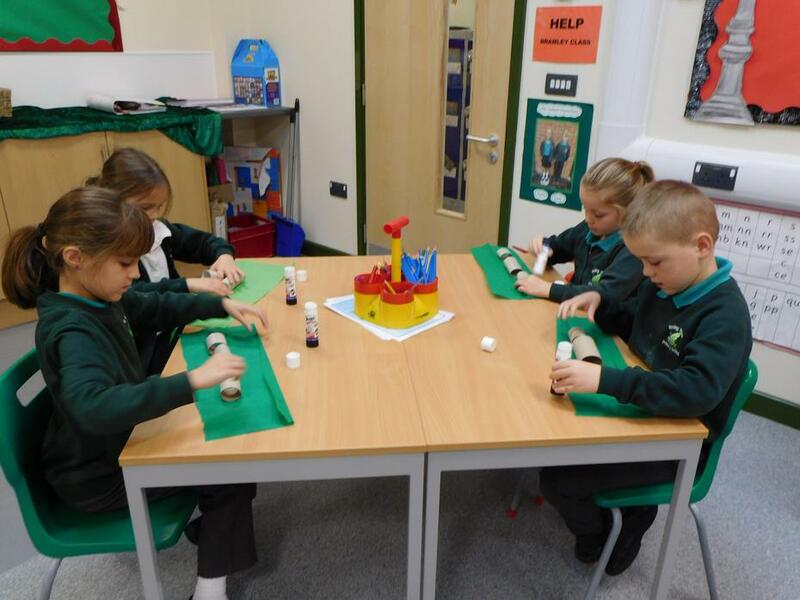 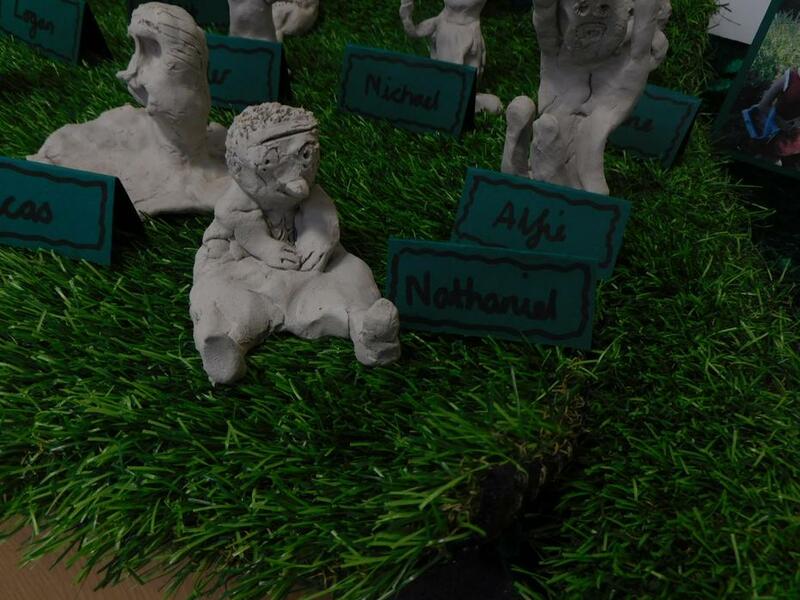 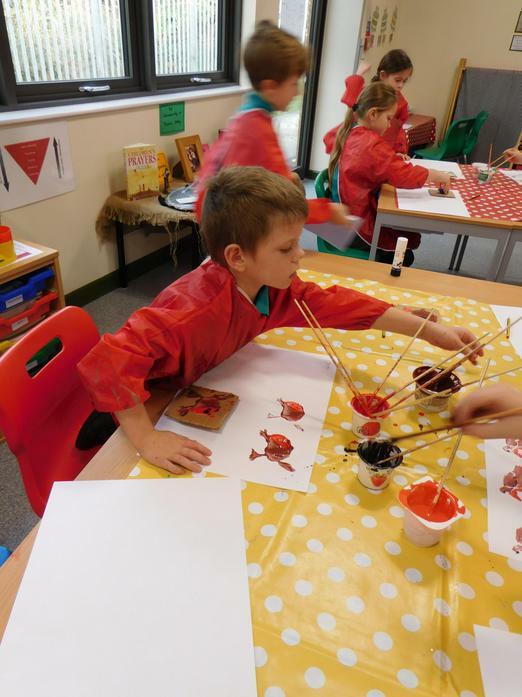 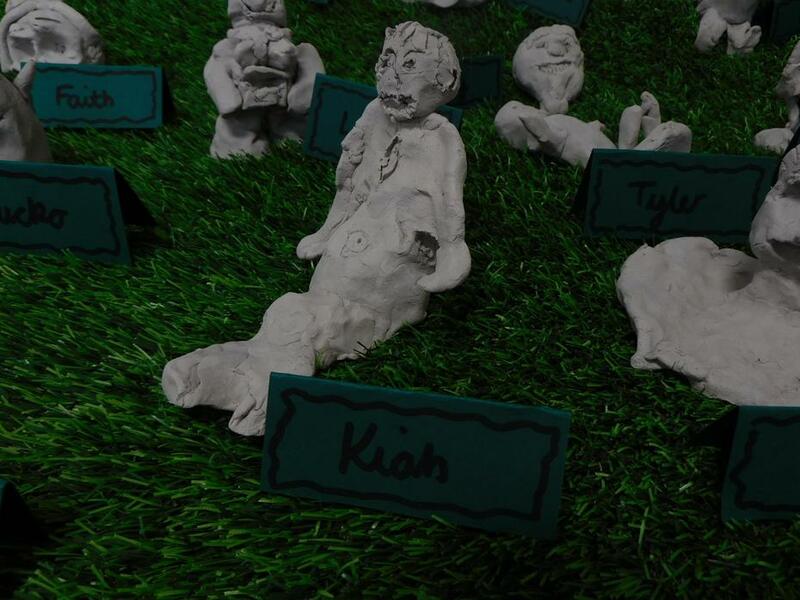 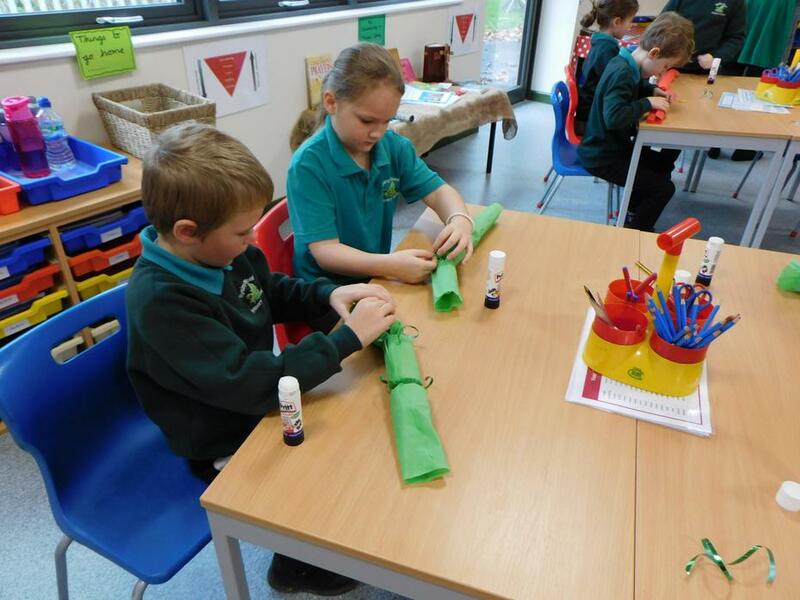 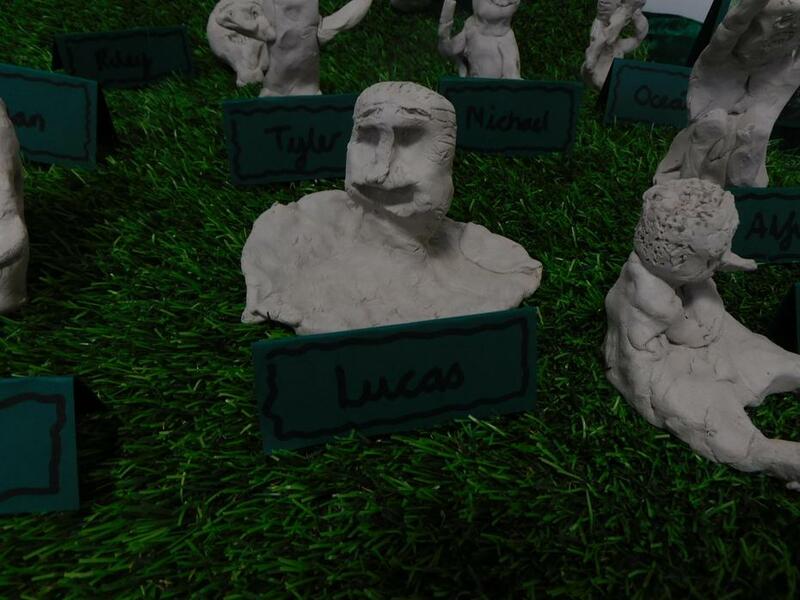 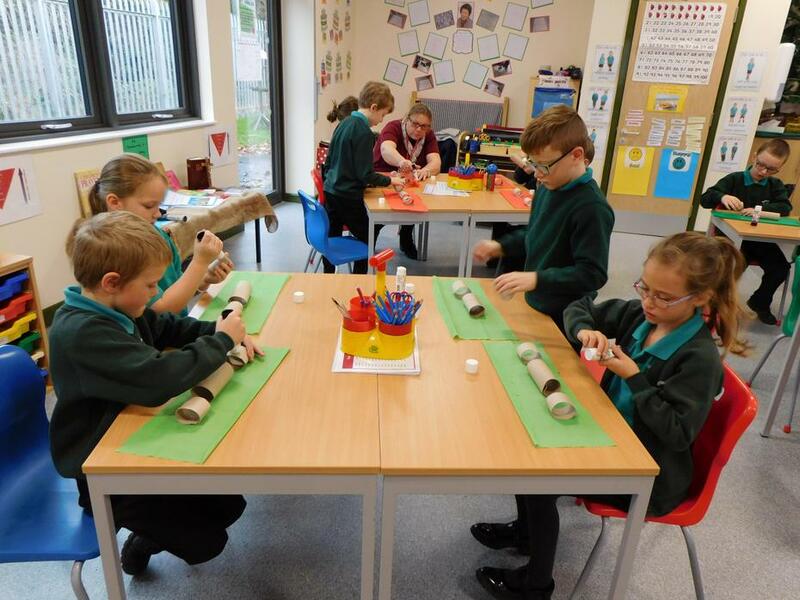 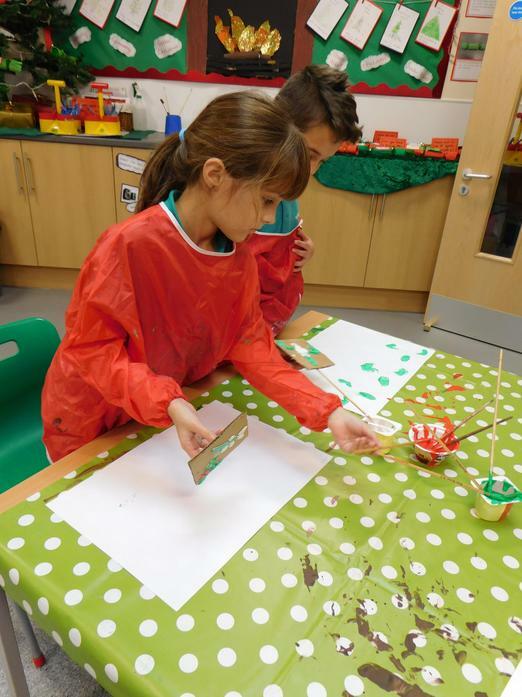 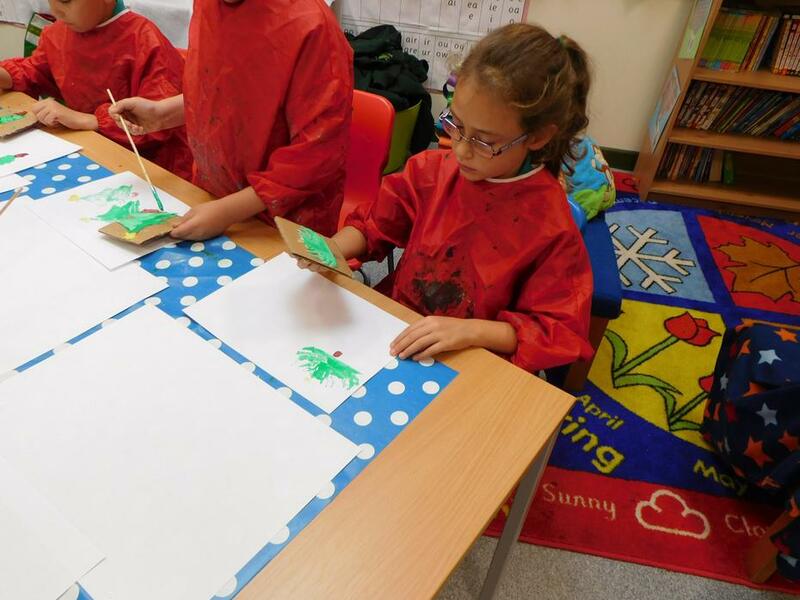 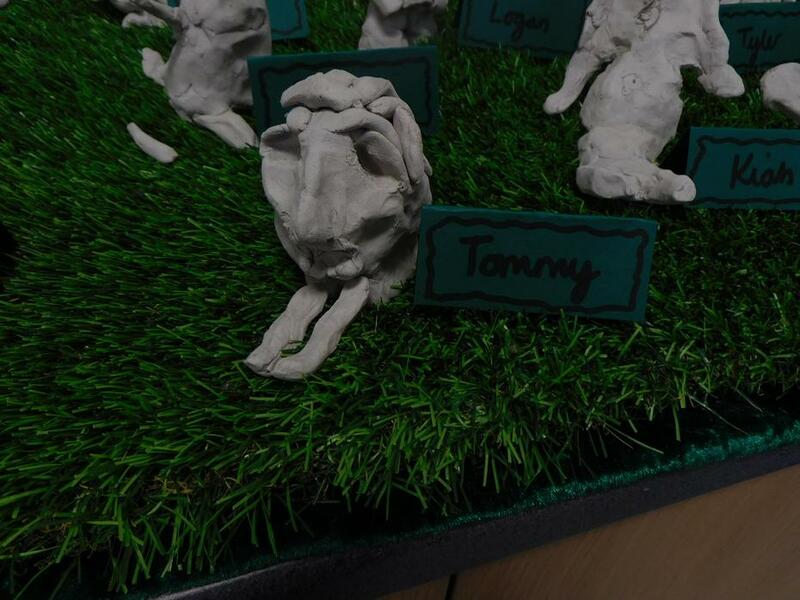 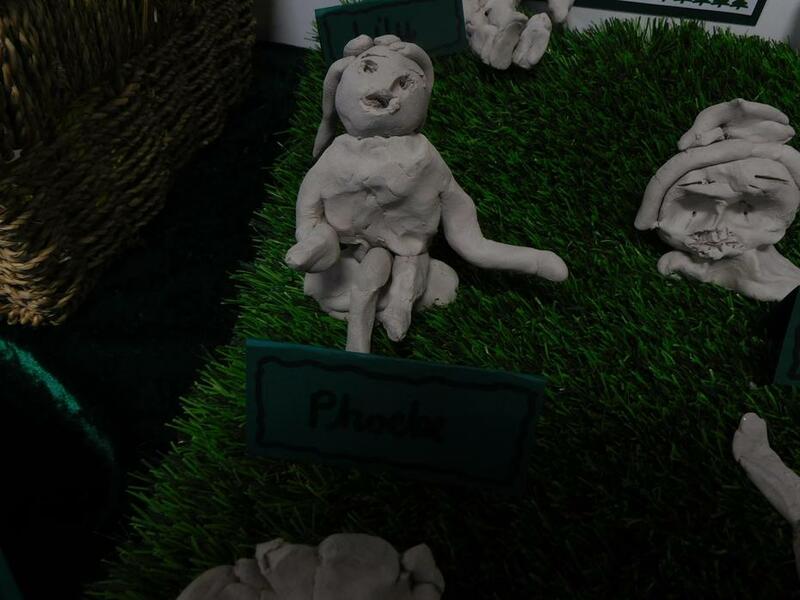 They will also learn about an artist and sculptor that come from the two countries and explore their work, creating clay sculptors and mosaics. 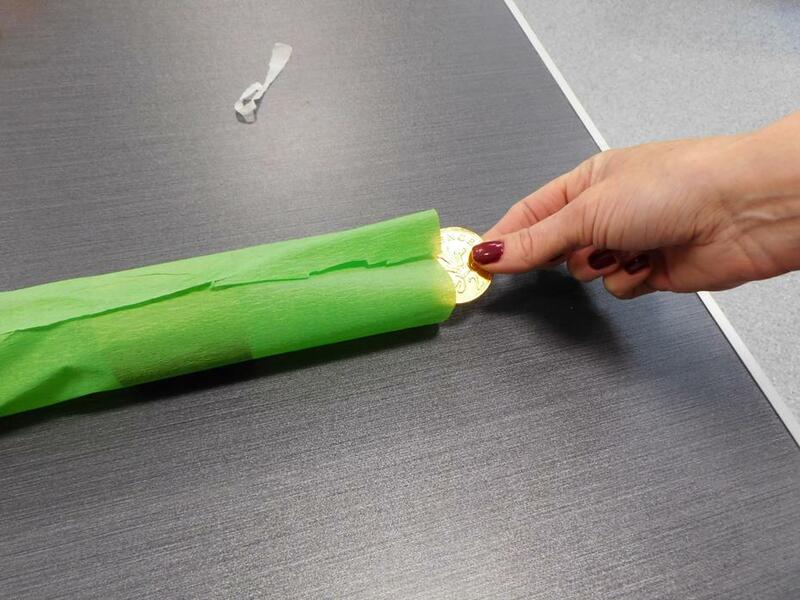 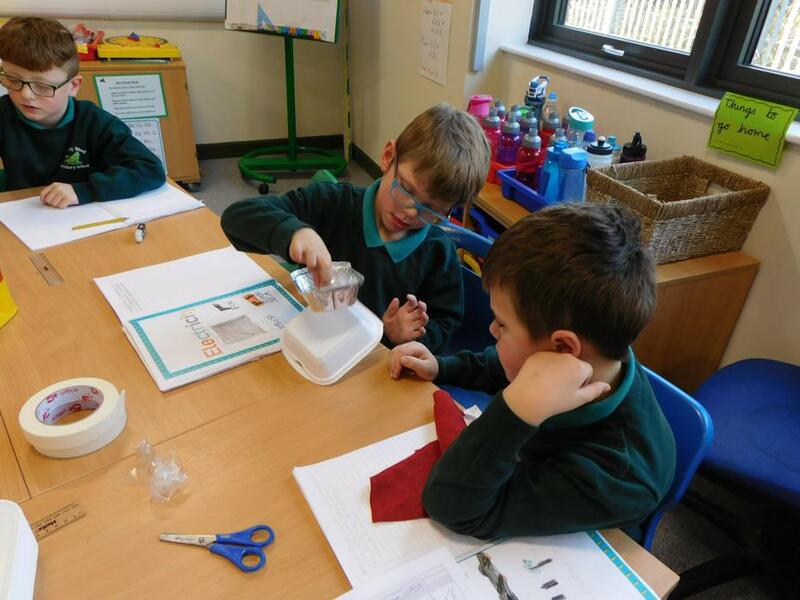 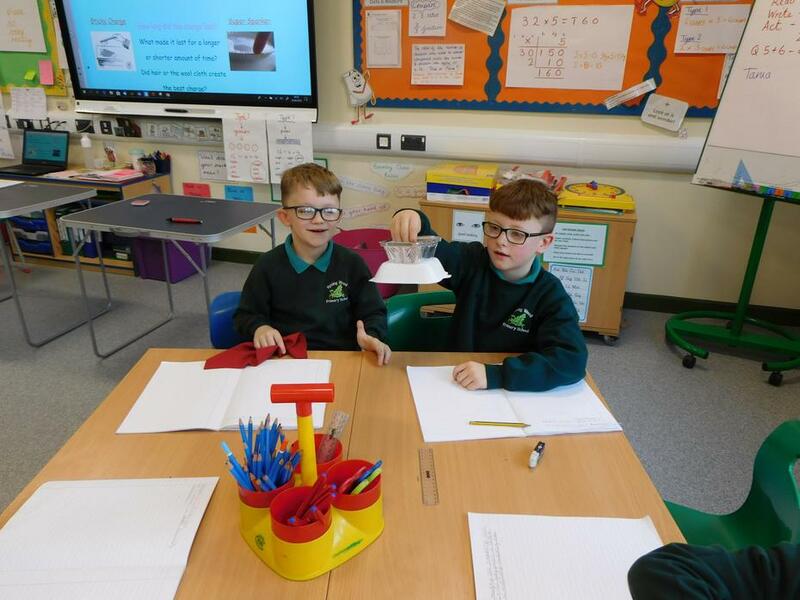 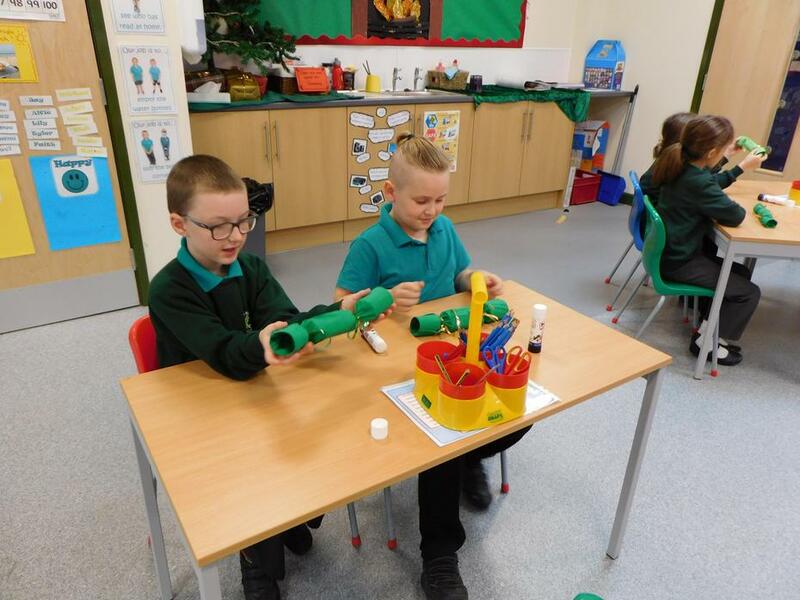 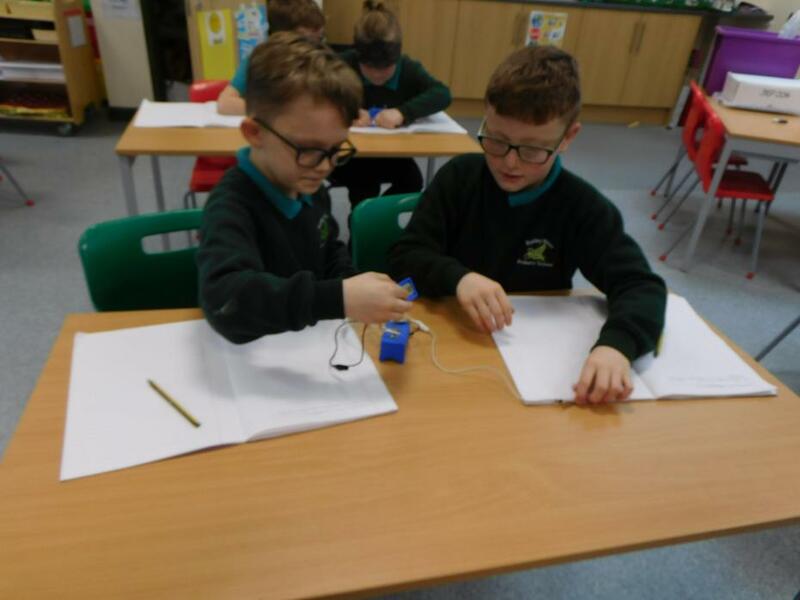 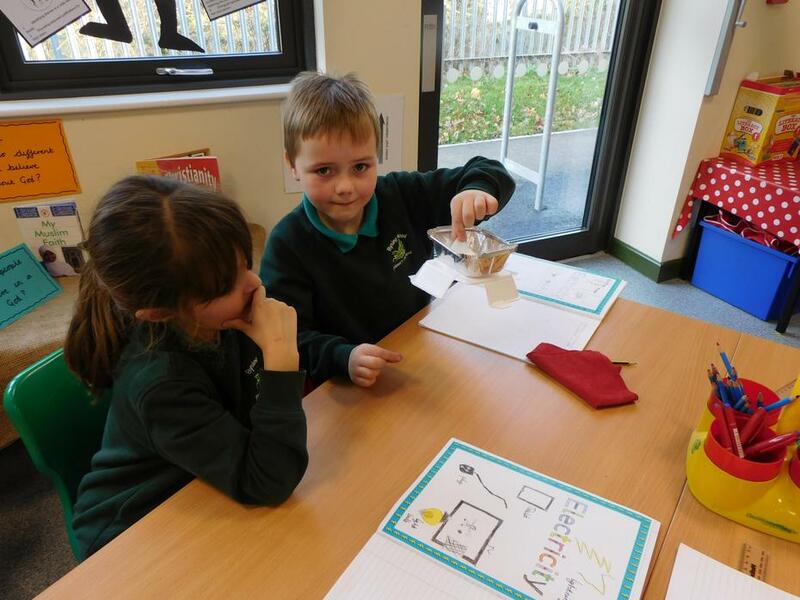 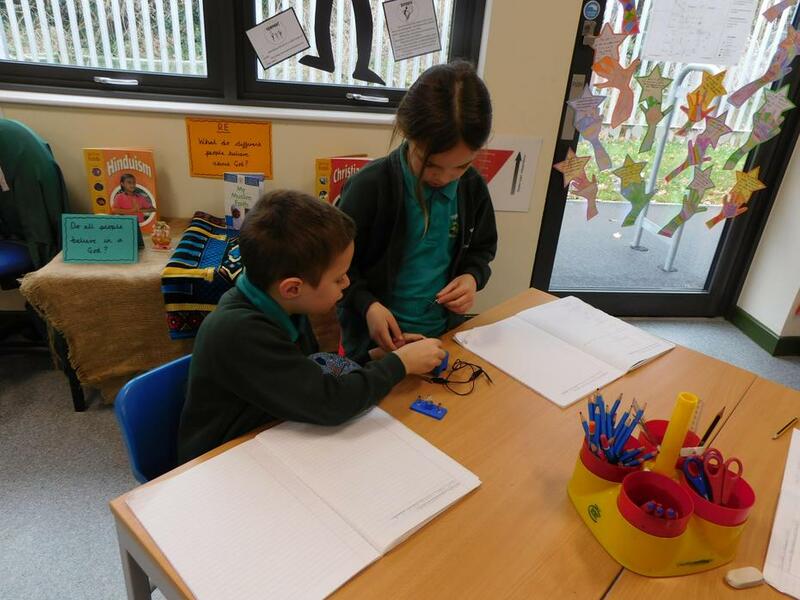 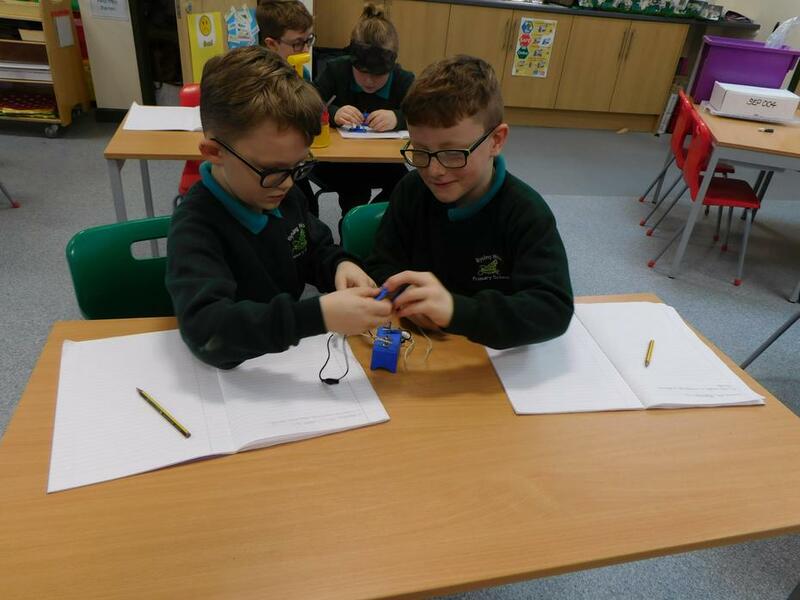 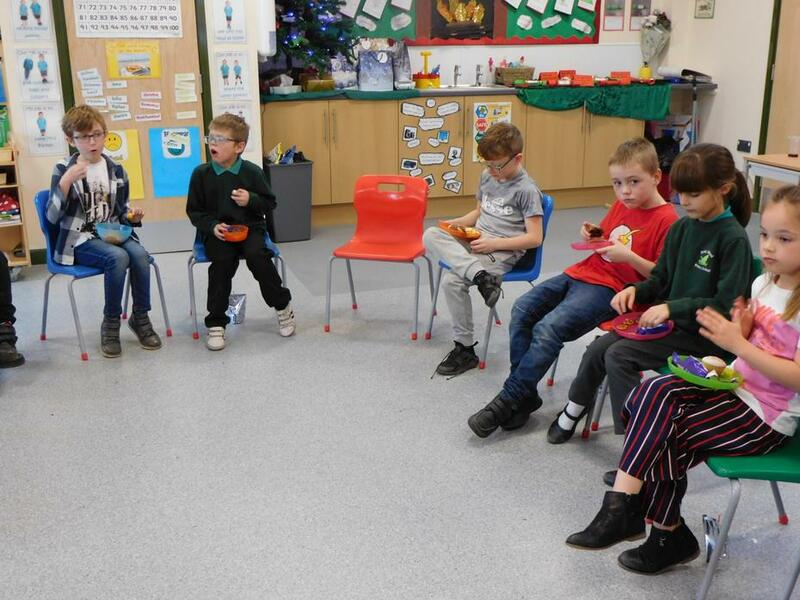 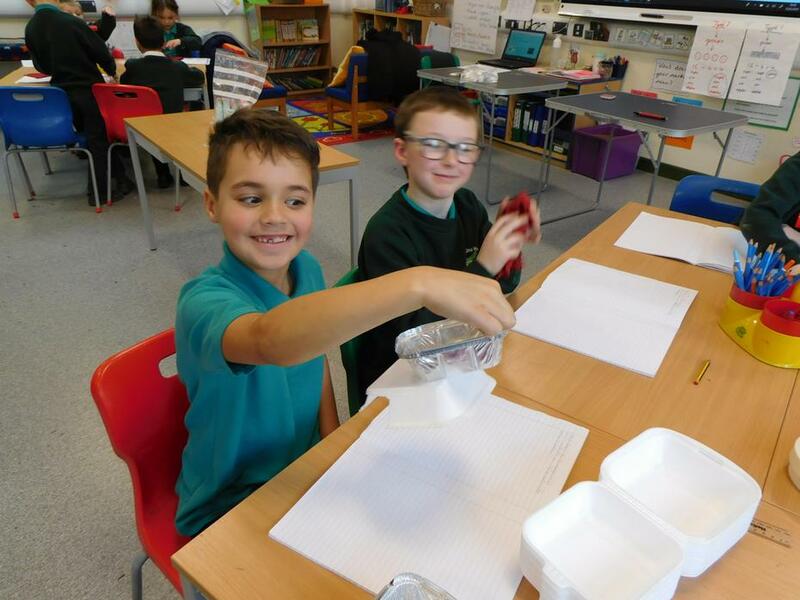 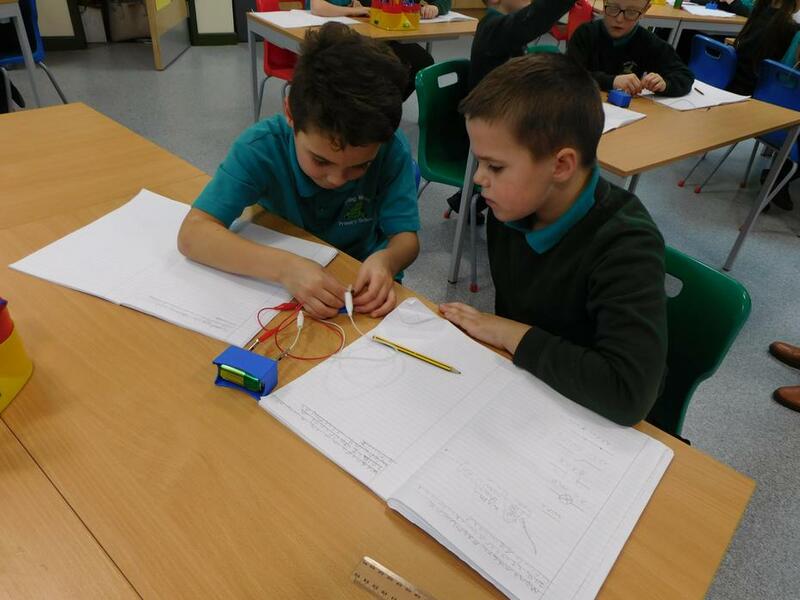 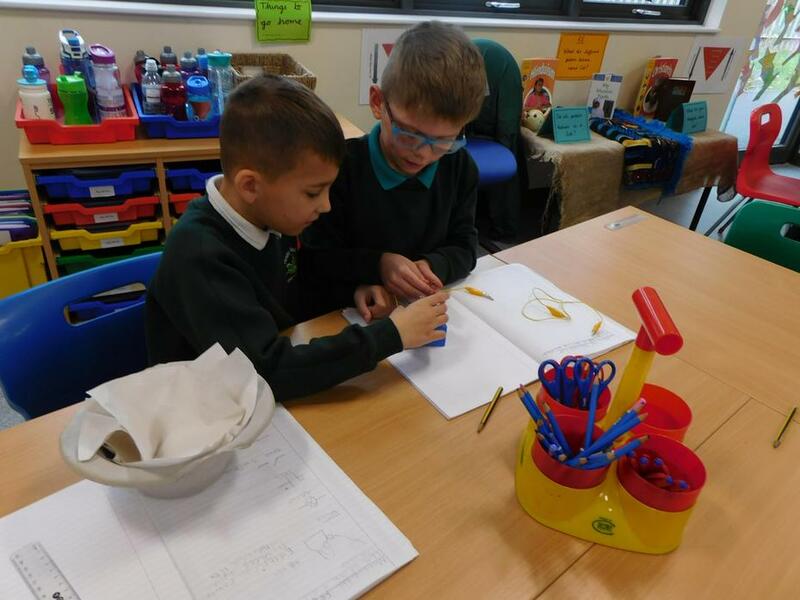 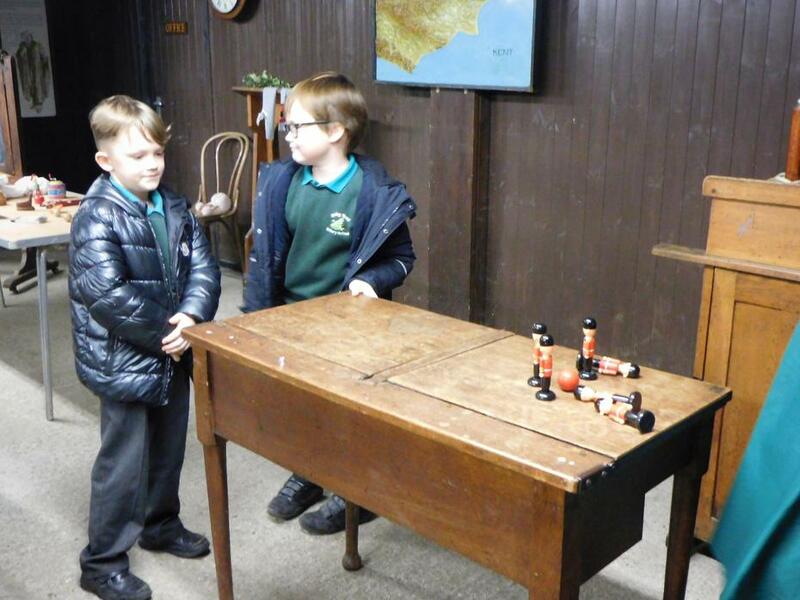 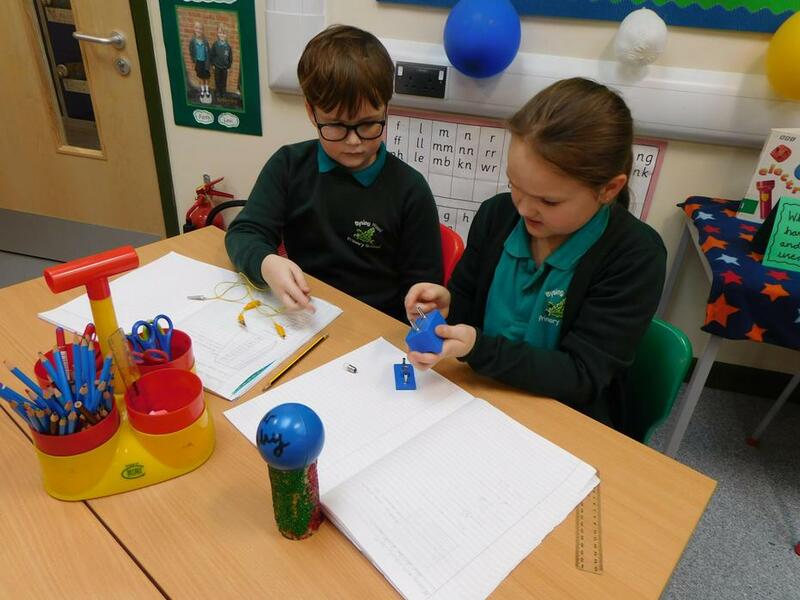 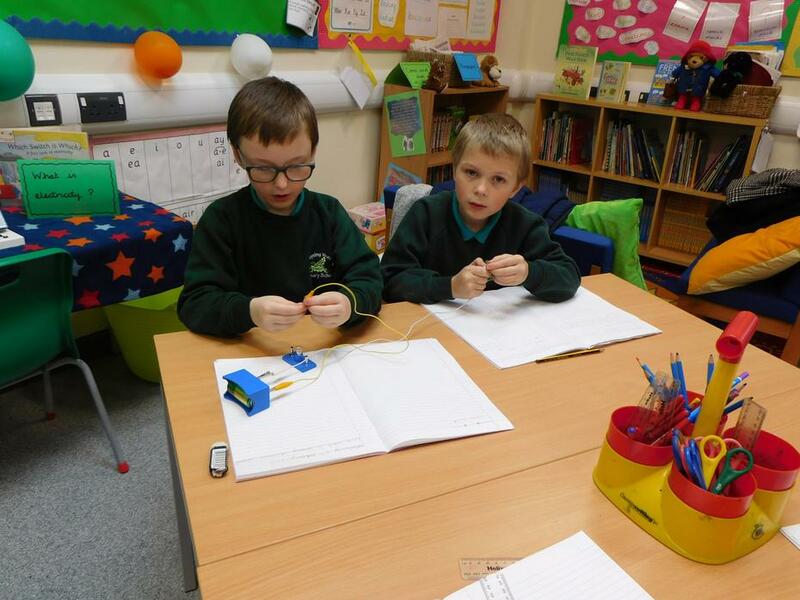 In science we will be learning about 'Electricity' and the children have a great deal of practical activities and investigations ahead of them which will provide them with lots of new knowledge and fun! 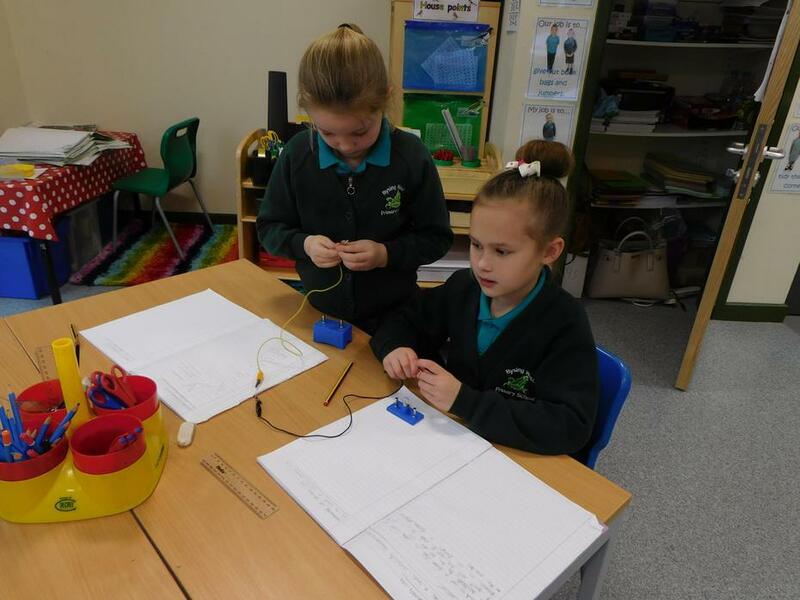 Burglar Alarms - using circuits in real life. 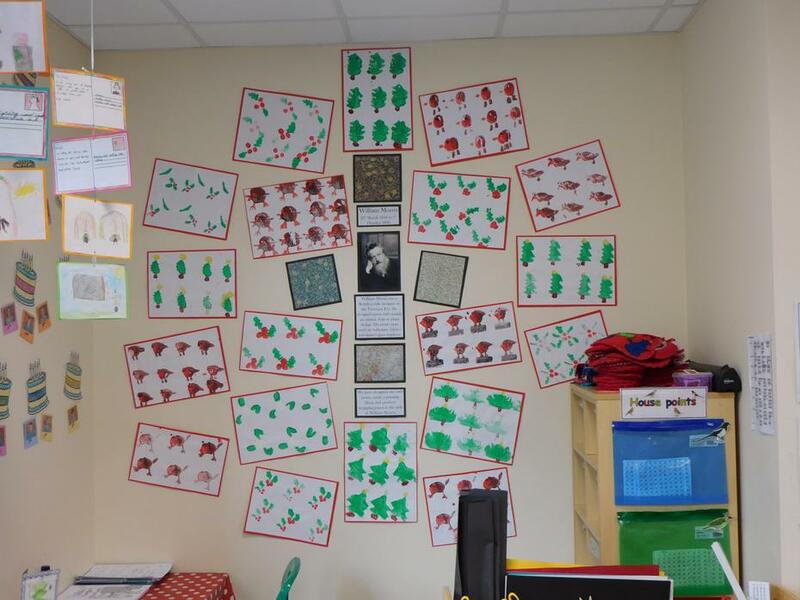 Mosaics in the style of the Spanish artist, Gaudi. 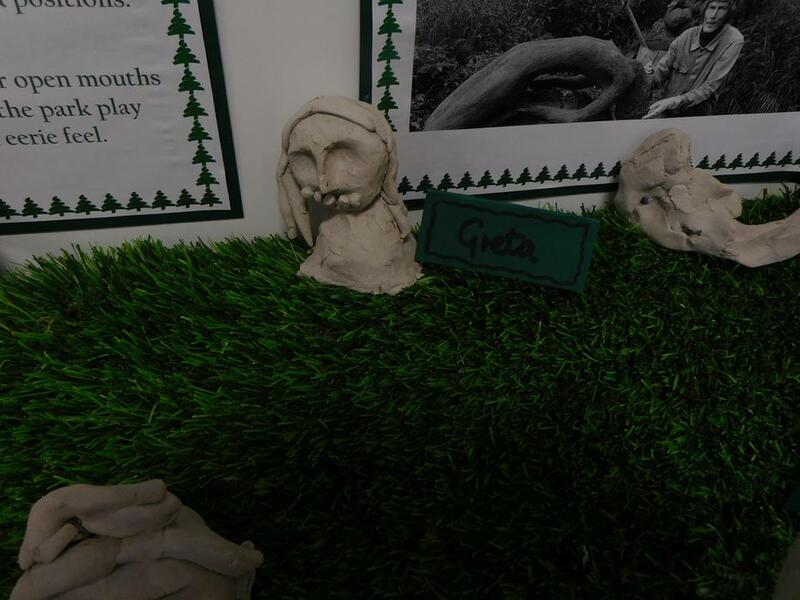 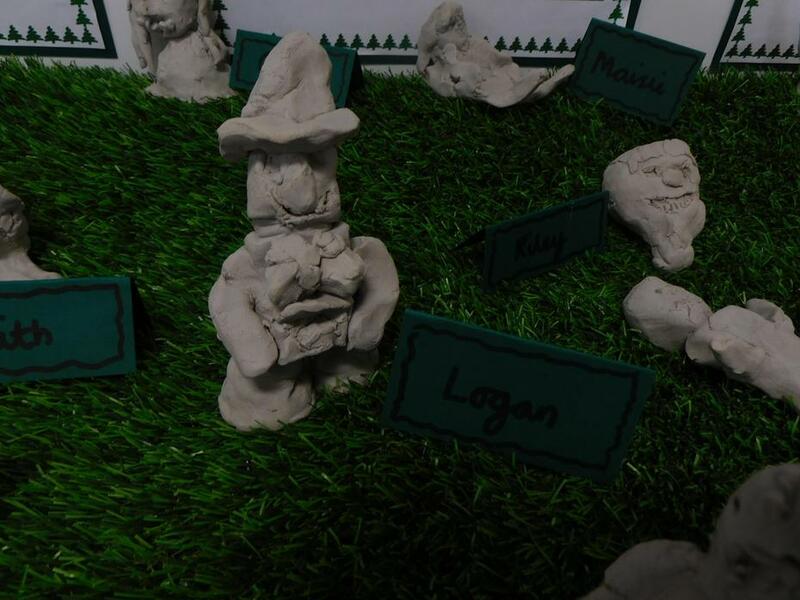 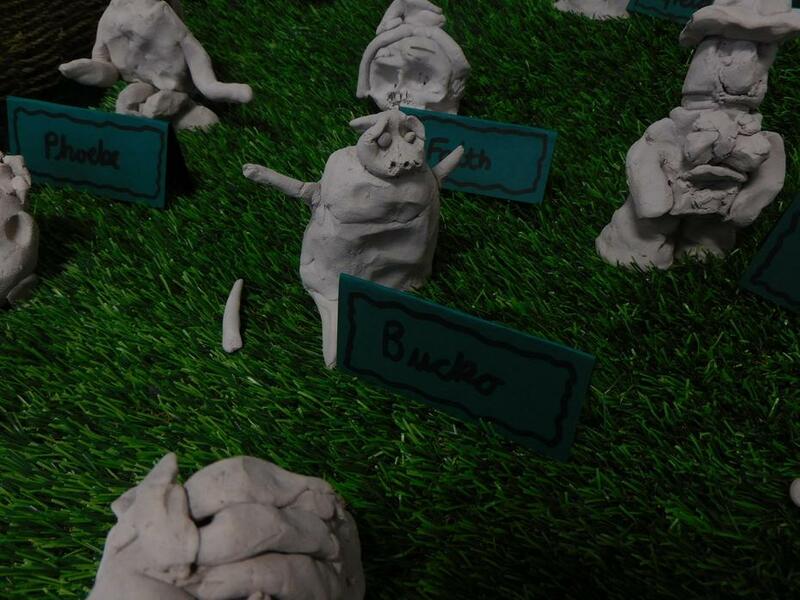 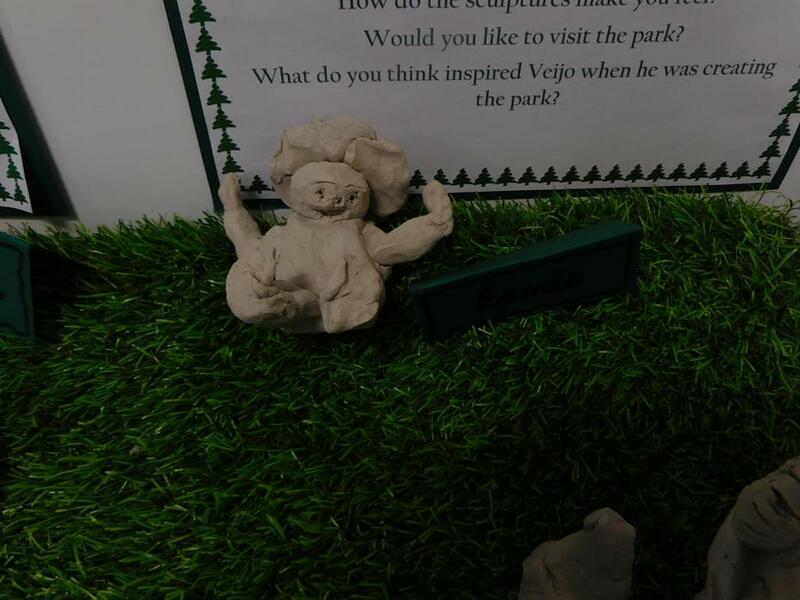 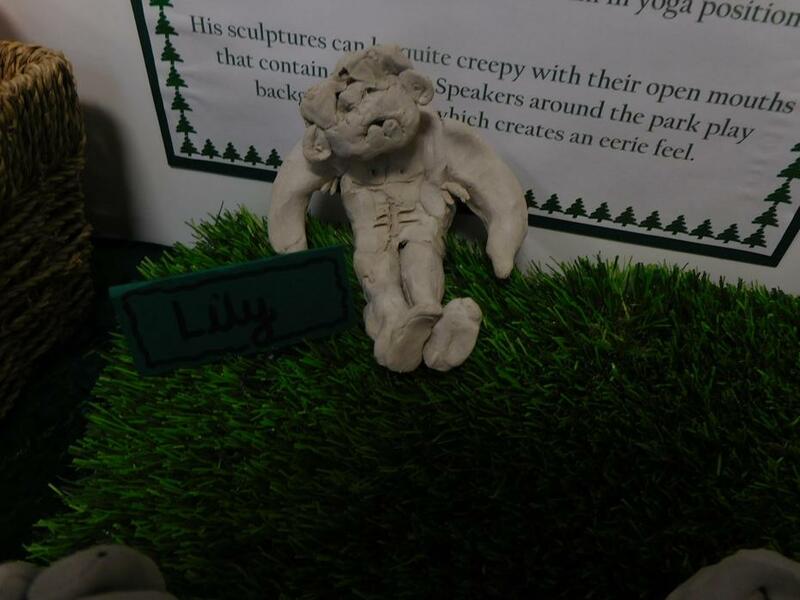 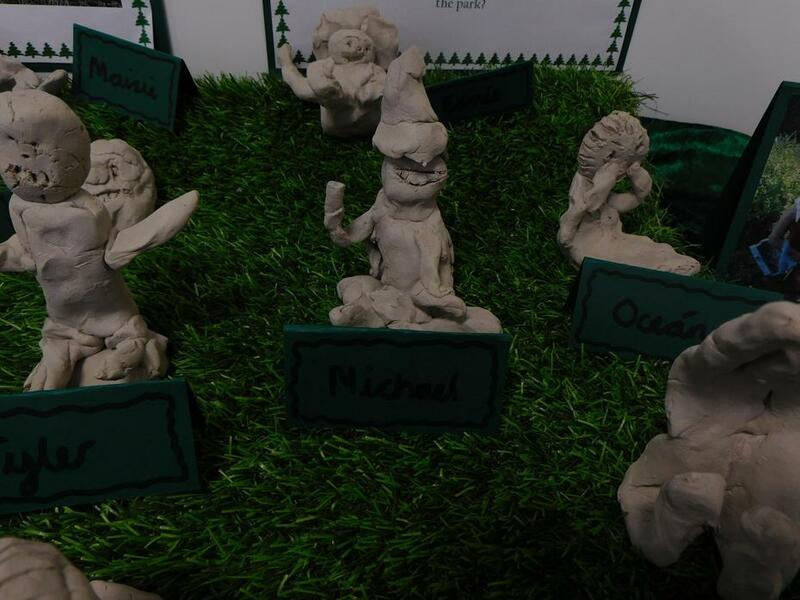 Look at our amazing finshed sculptures in the style of the Finnish sculptor Veijo Roenkenon. 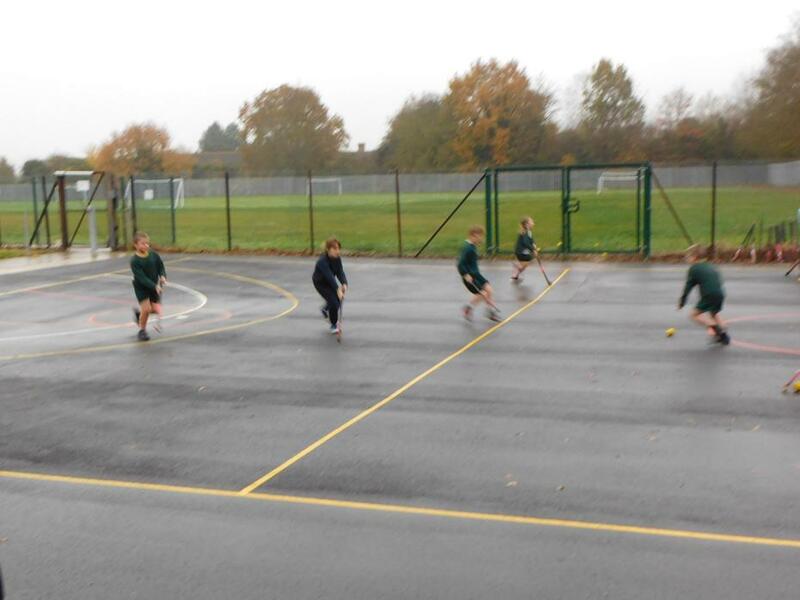 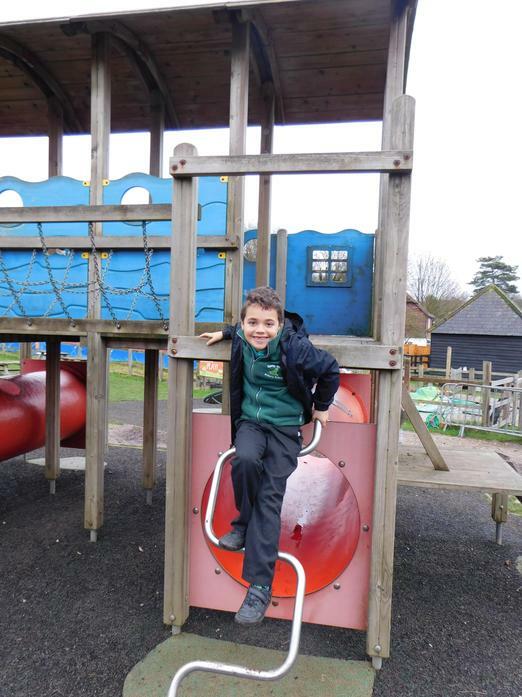 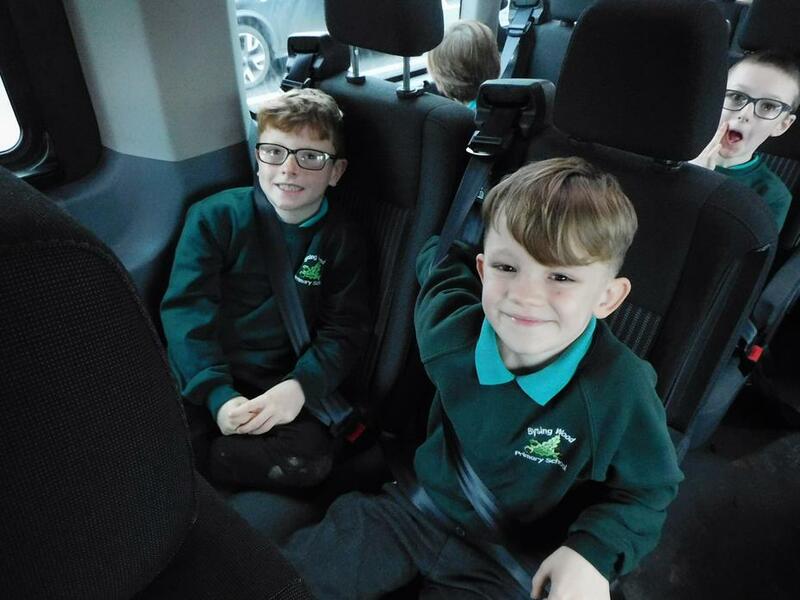 Welcome back from half term and we hope you all had an enjoyable break! 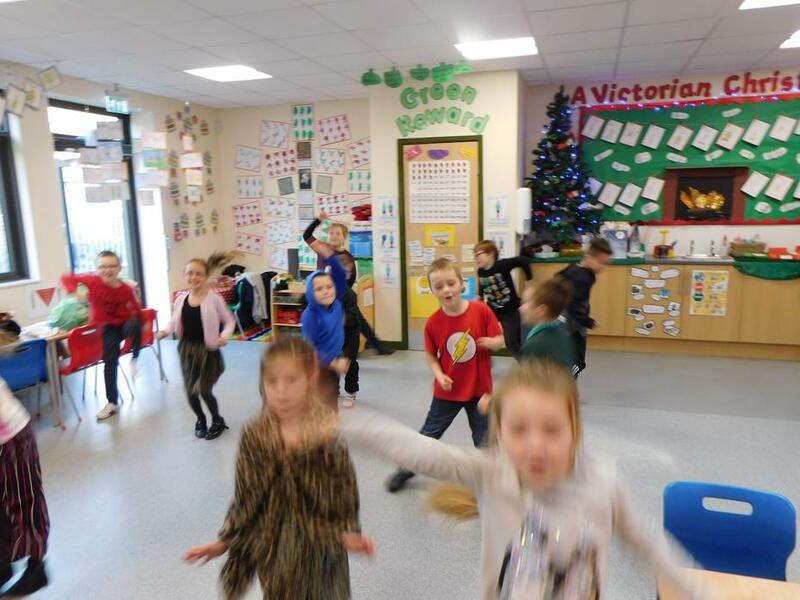 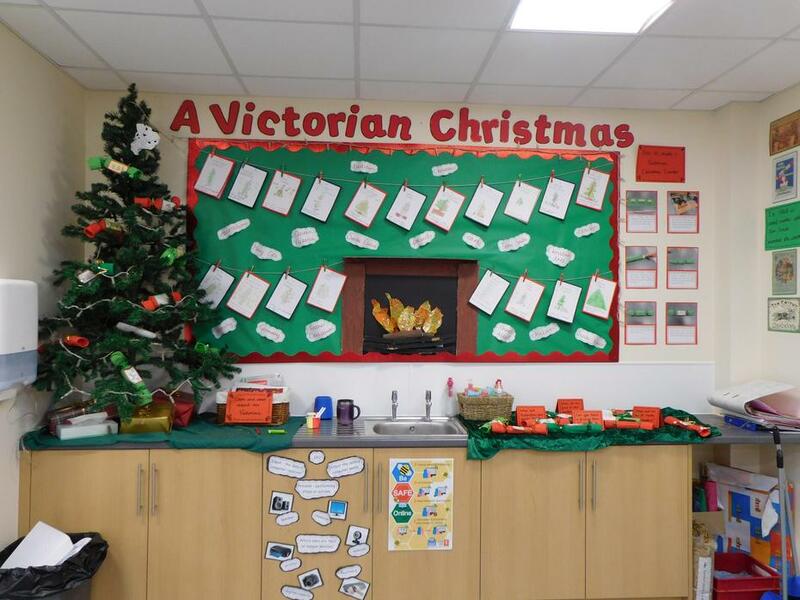 This is an exciting term in Bramley with our topic being 'A Victorian Christmas'. 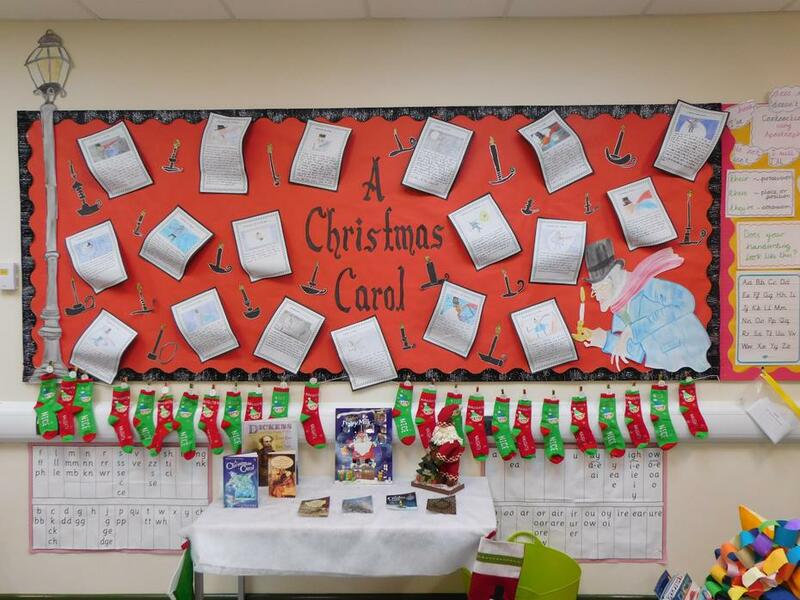 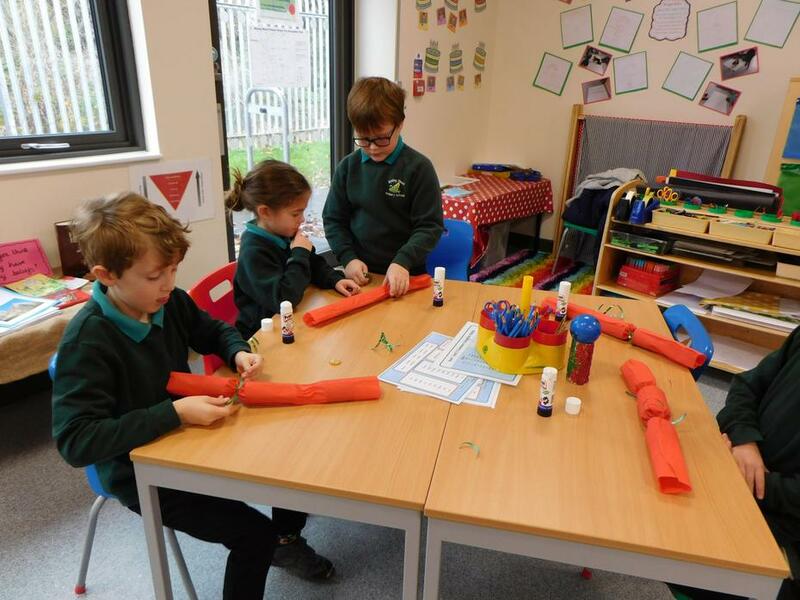 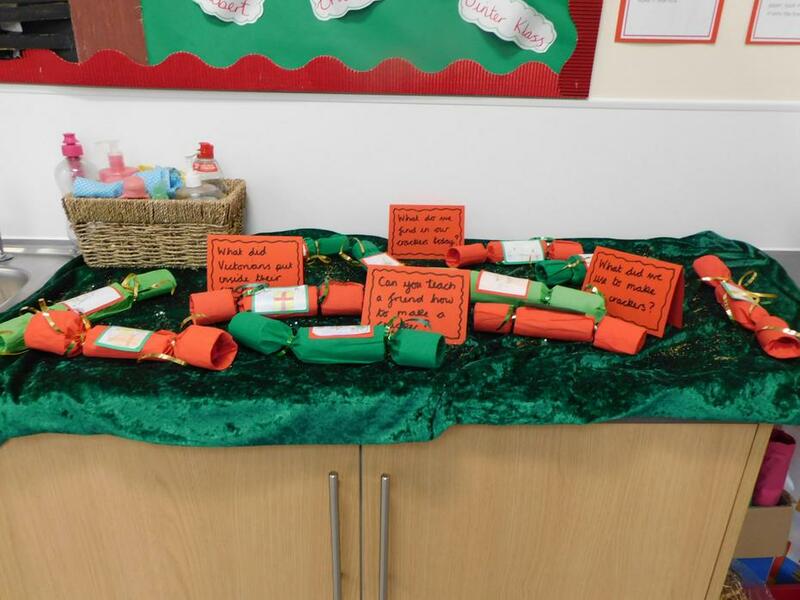 The children will be learning to write information books about the Victorians influence on Christmas and character descriptions from the story 'A Christmas Carol'. 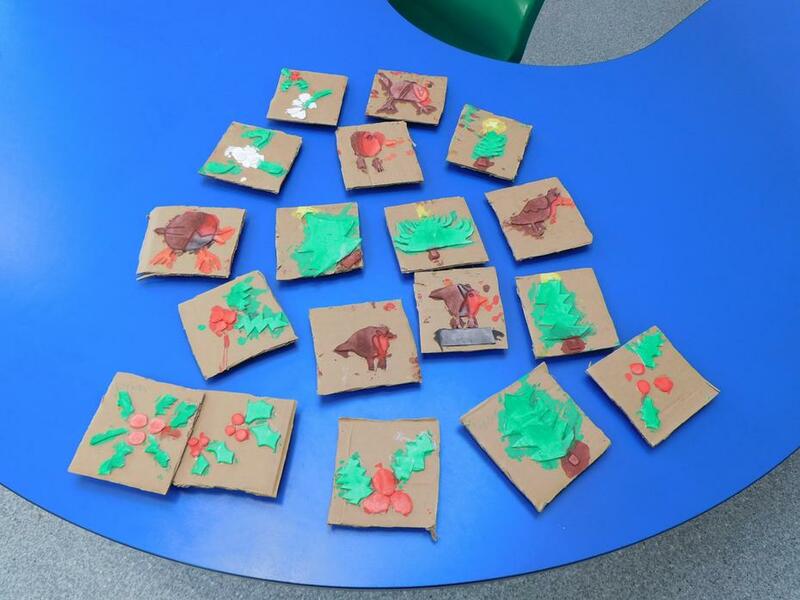 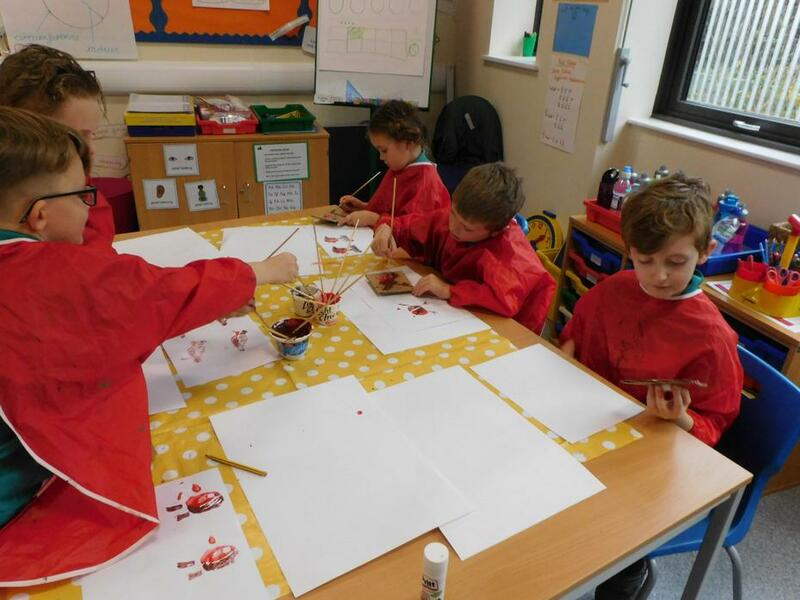 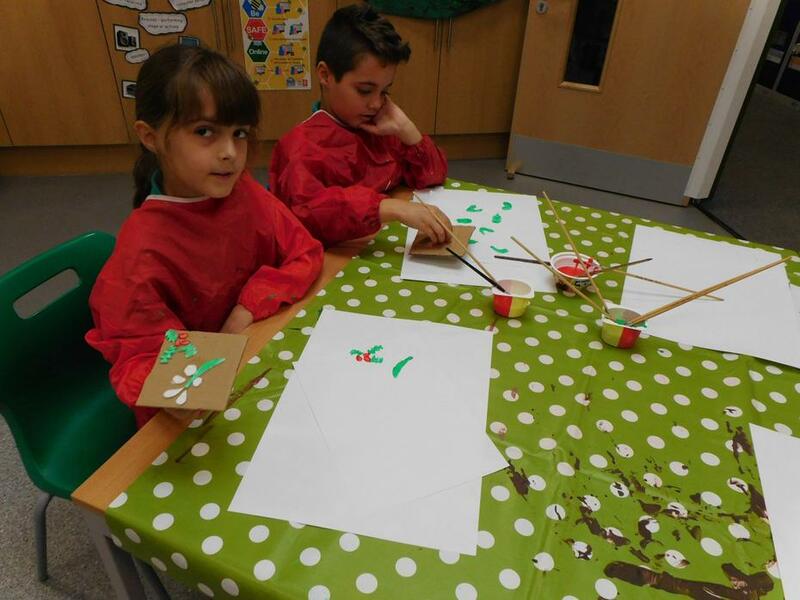 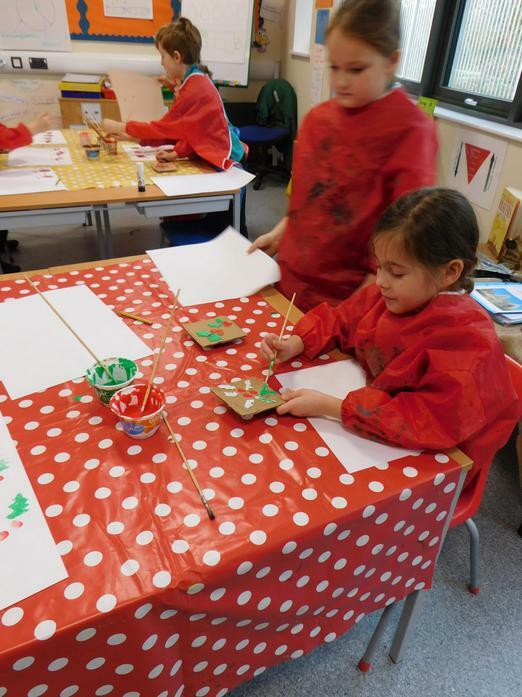 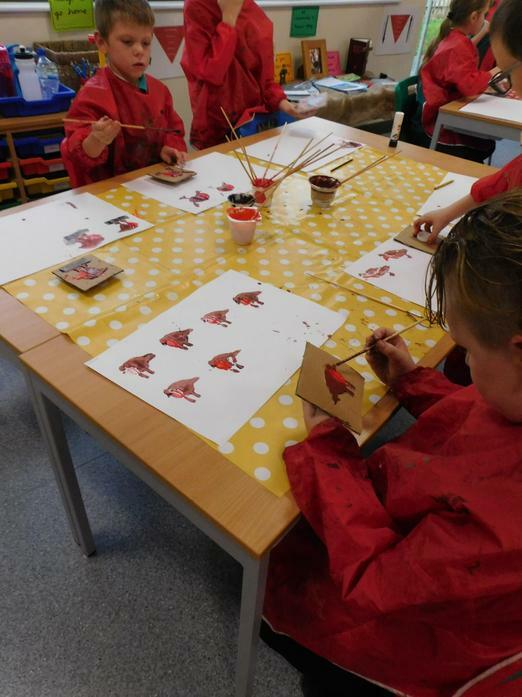 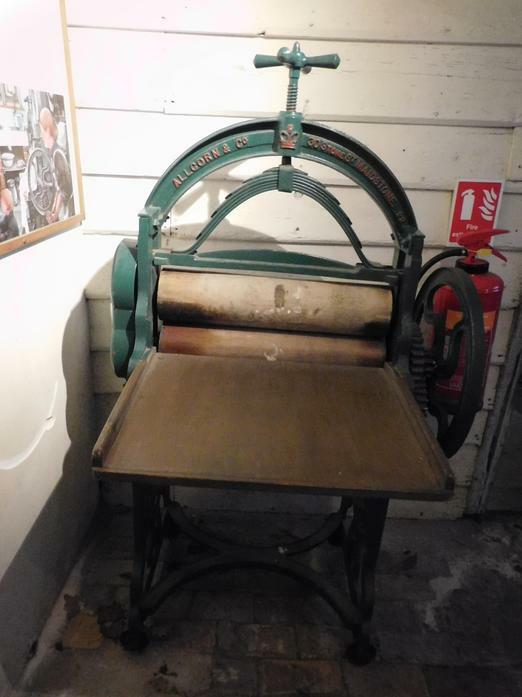 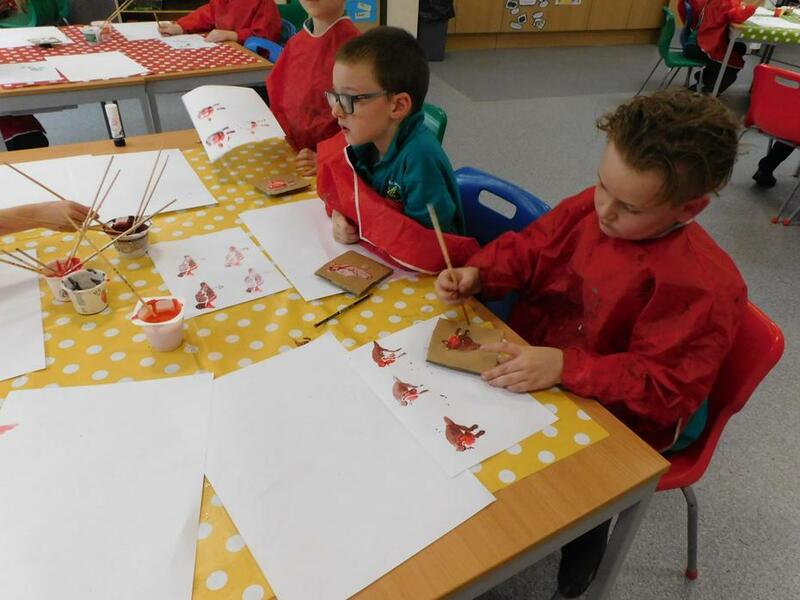 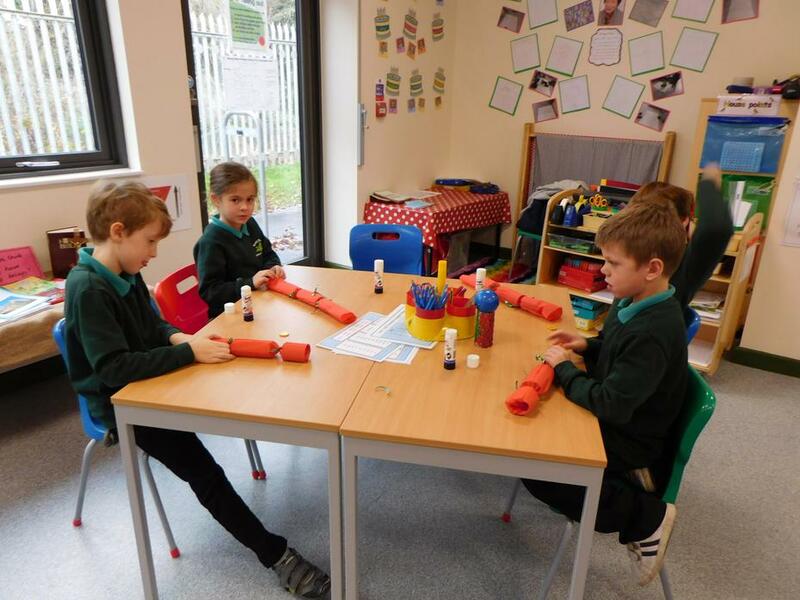 They will be making Victorian Christmas cards and crackers, creating prints in the style of William Morris and learning about the author Charles Dickens. 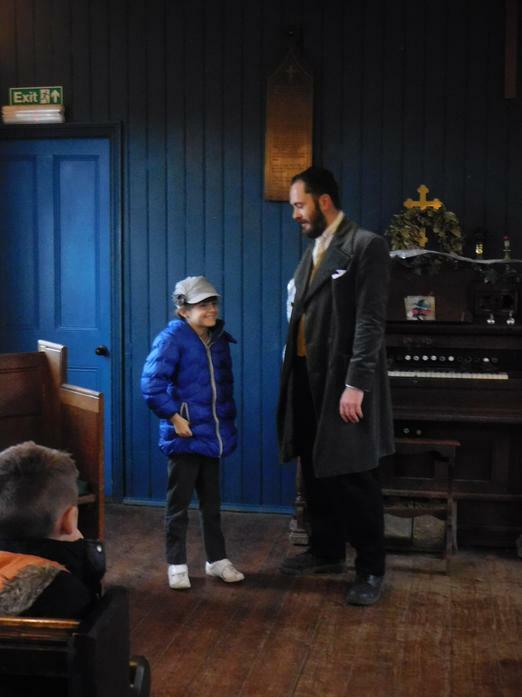 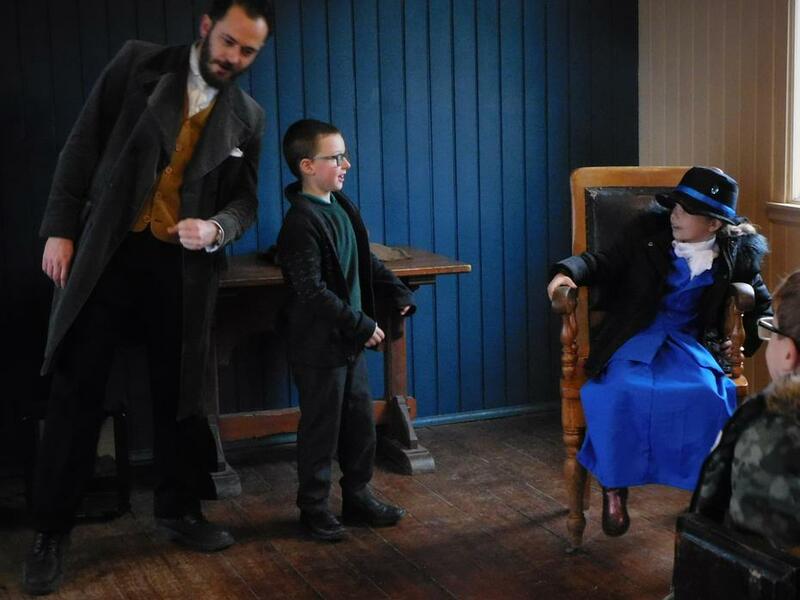 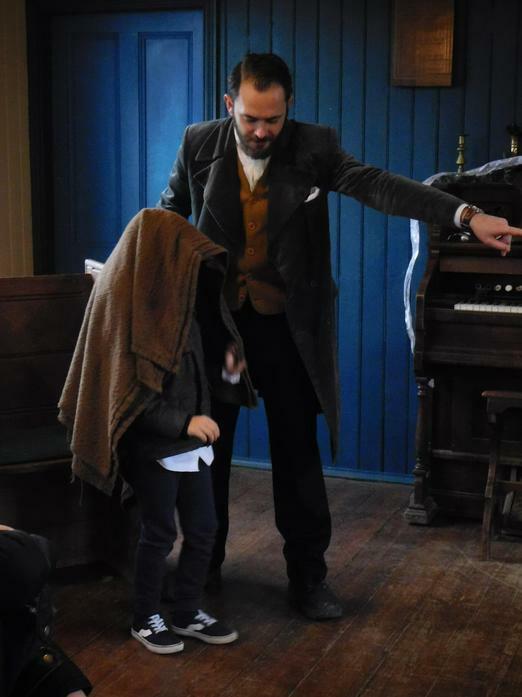 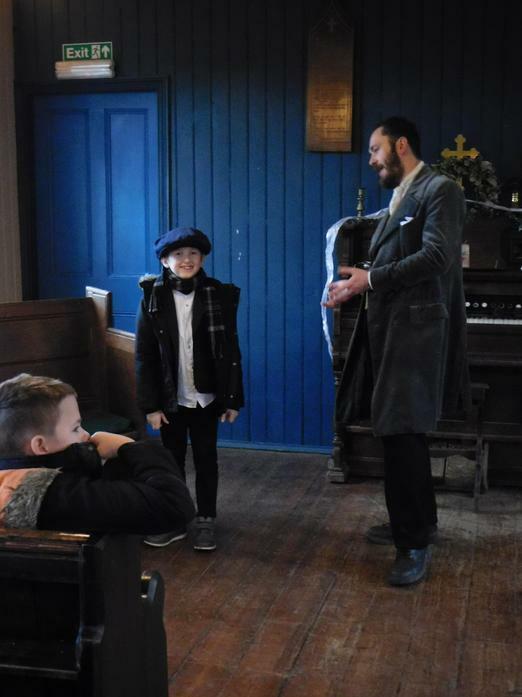 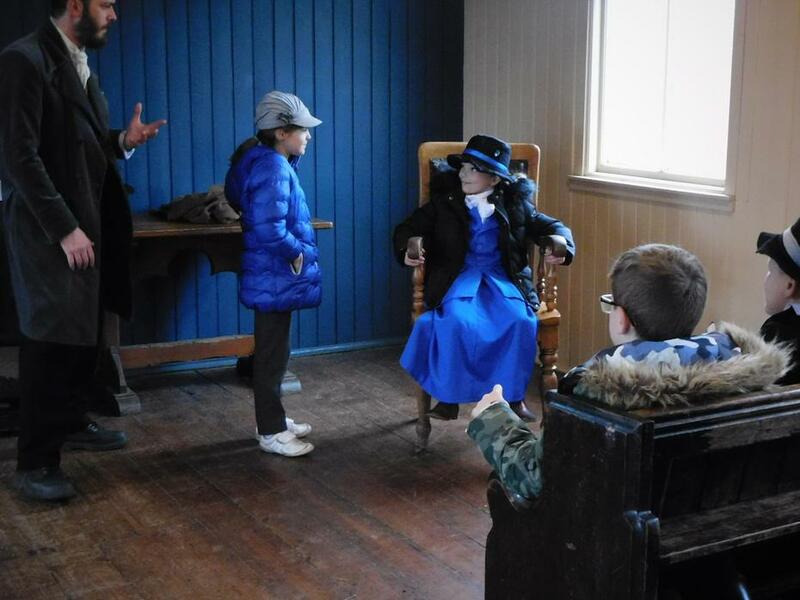 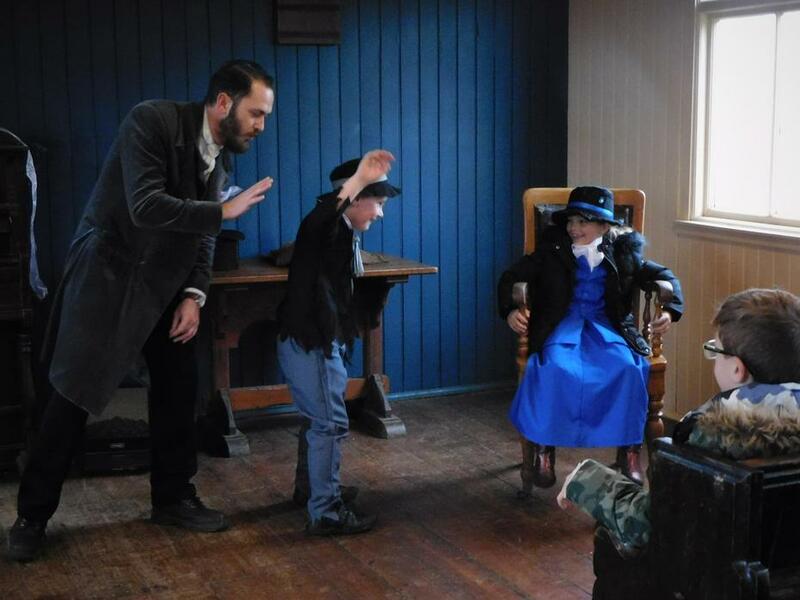 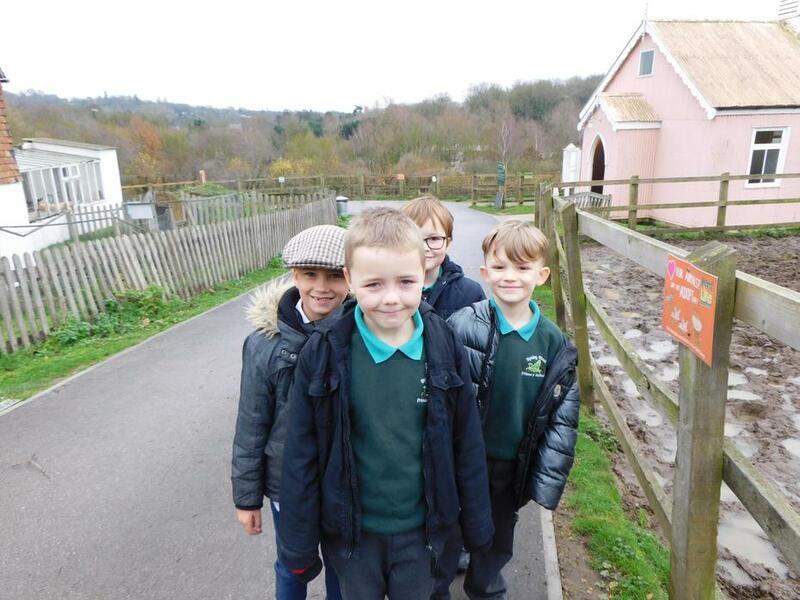 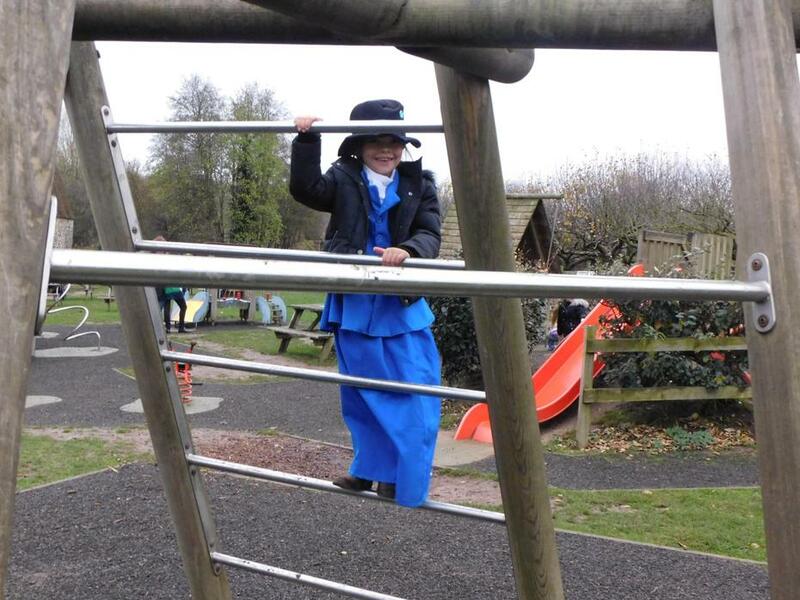 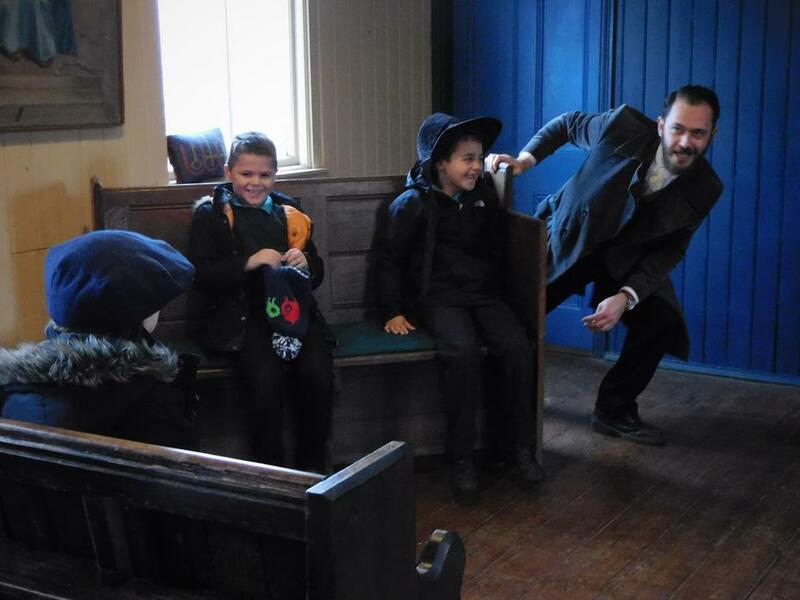 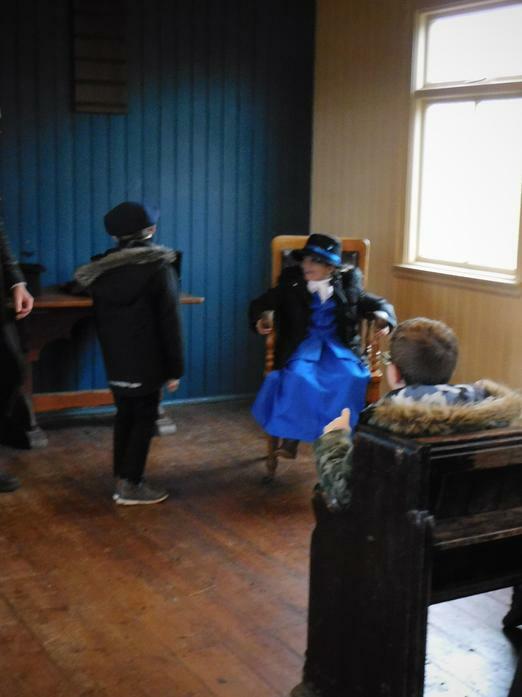 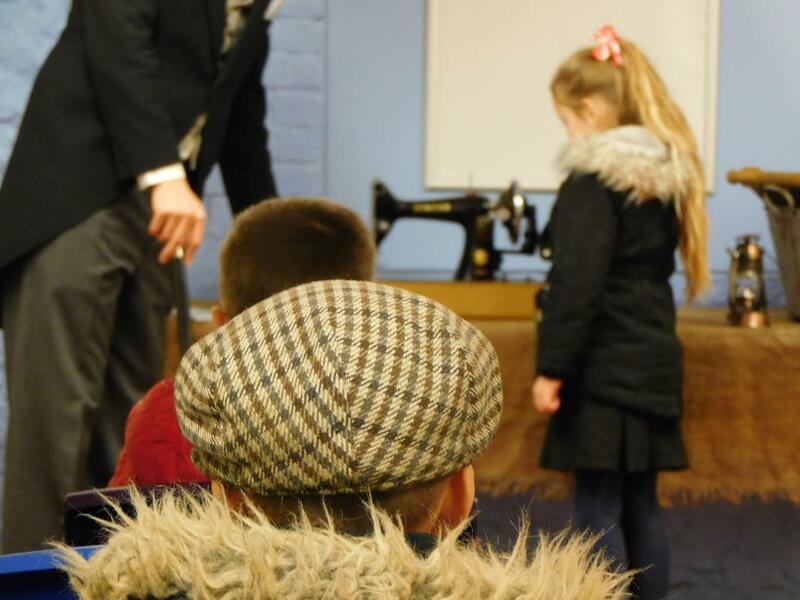 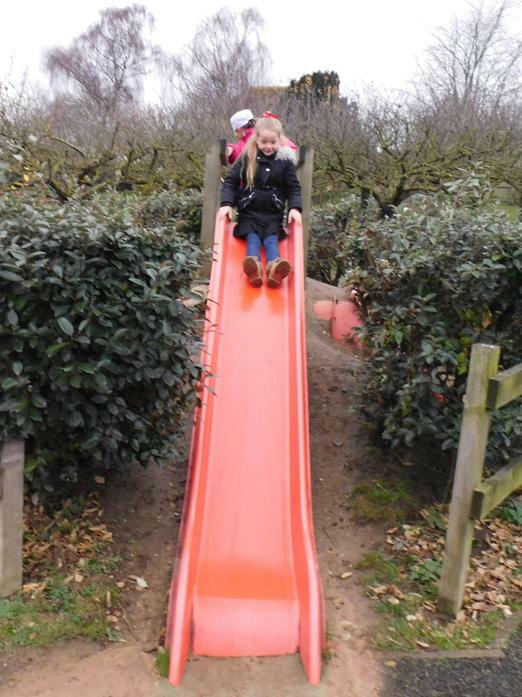 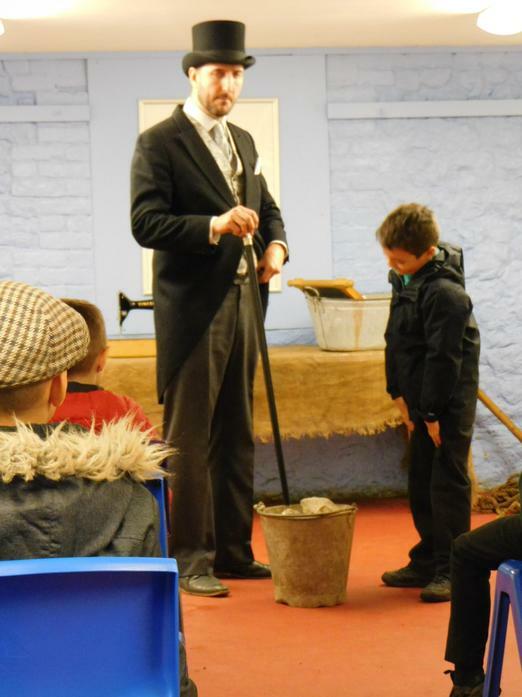 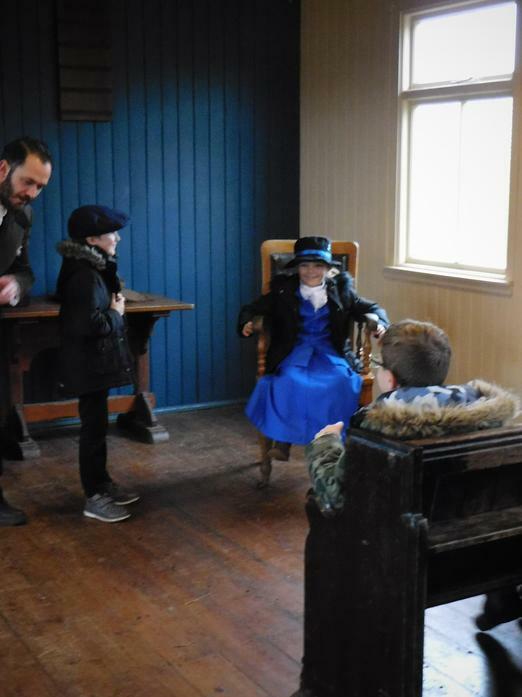 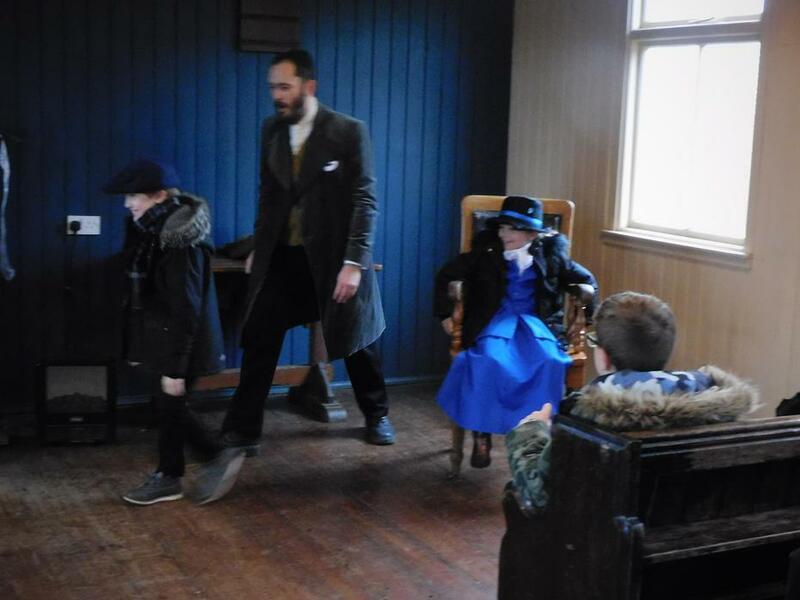 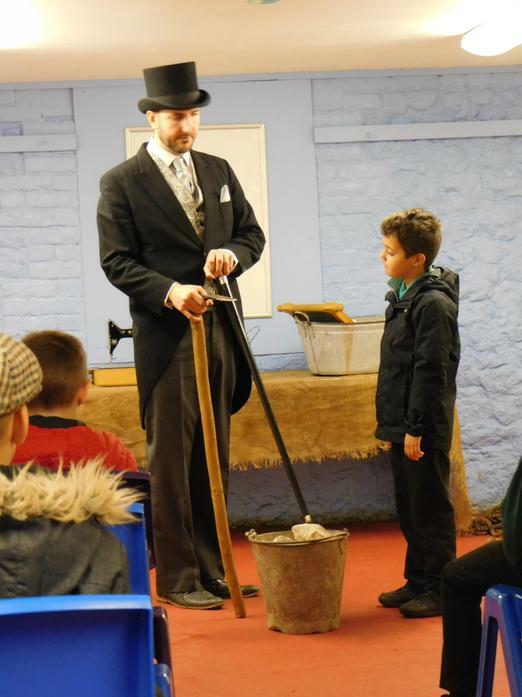 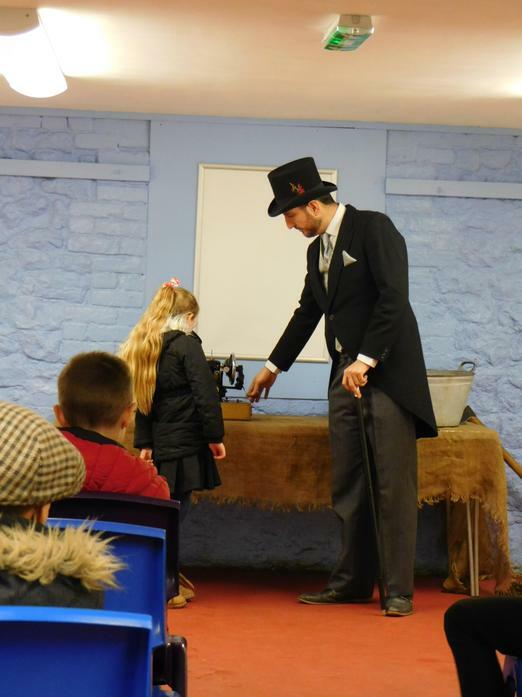 This term will also include our trip to Kent Life on Thursday 6th December, where the children will take part in a range of Victorian Christmas activities whilst dressed as Victorian children. 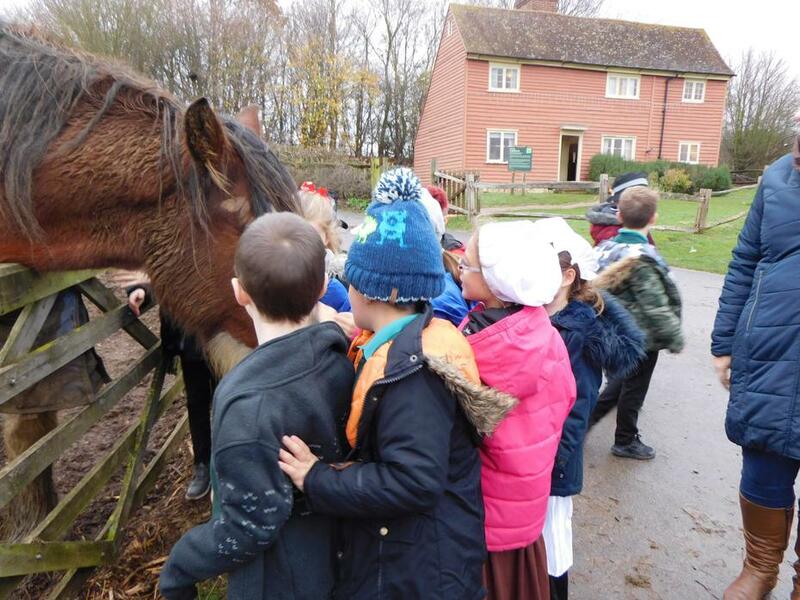 We hope this we be a wonderful experience for them all. 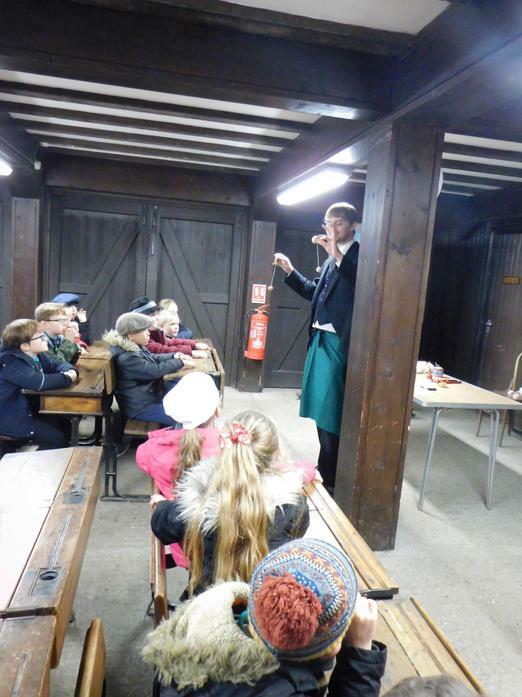 The trip has a cost of £10, payments can be given in at the office. 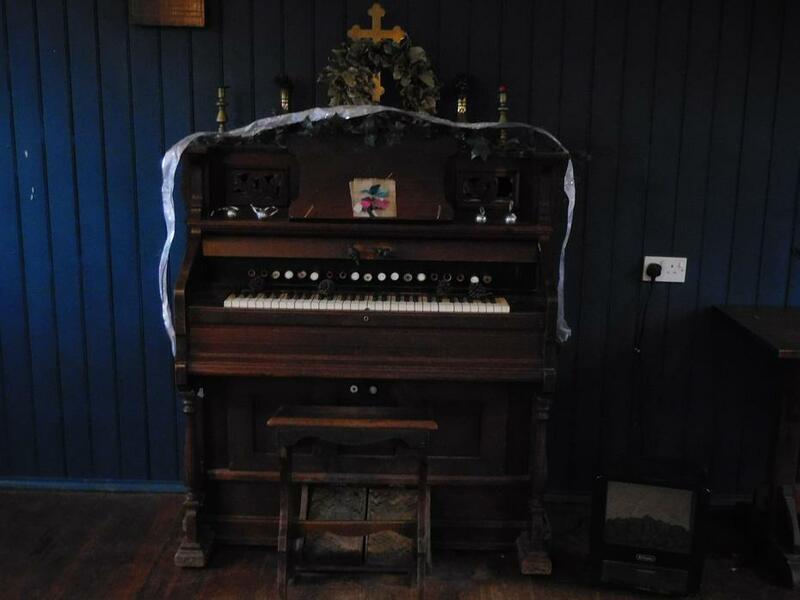 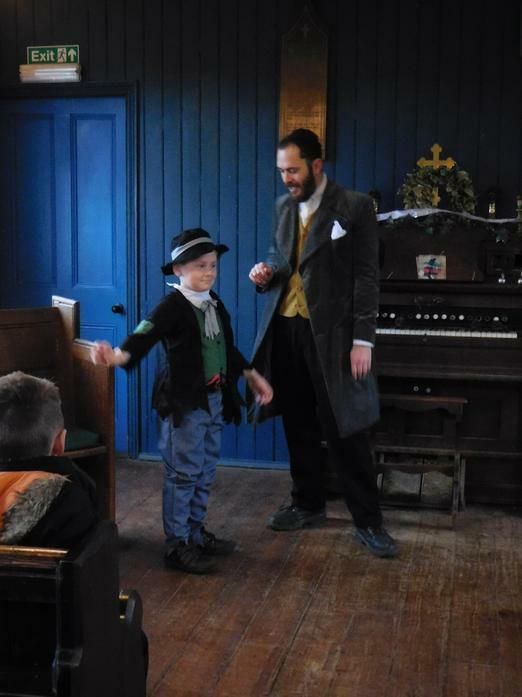 Keep checking our page for Victorian festivities. 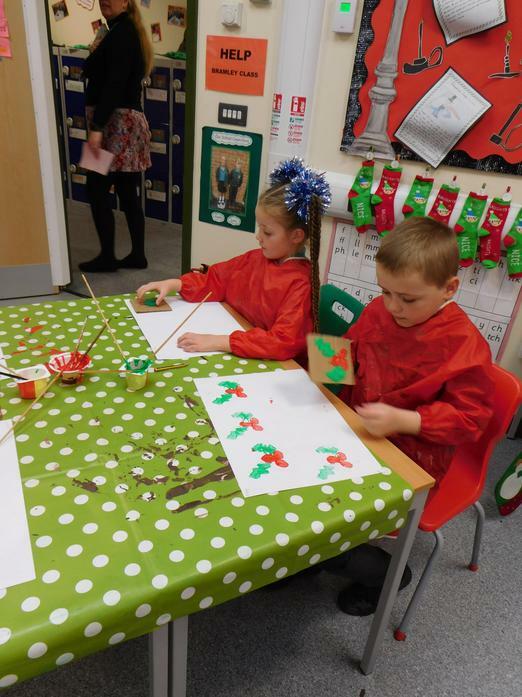 The countdown to Christmas begins!!! 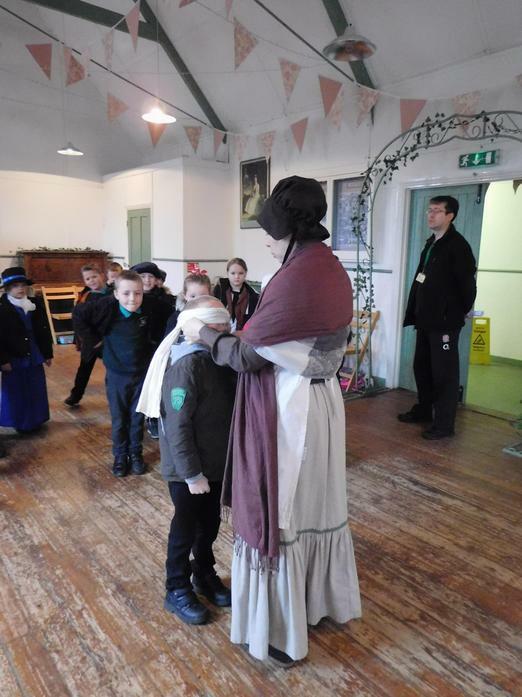 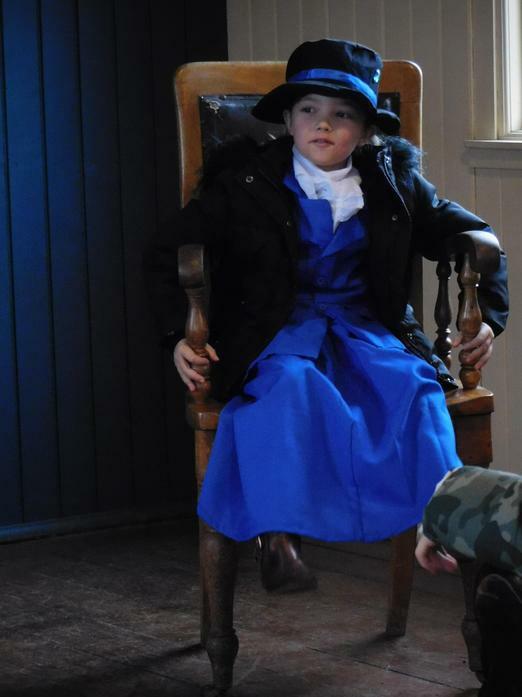 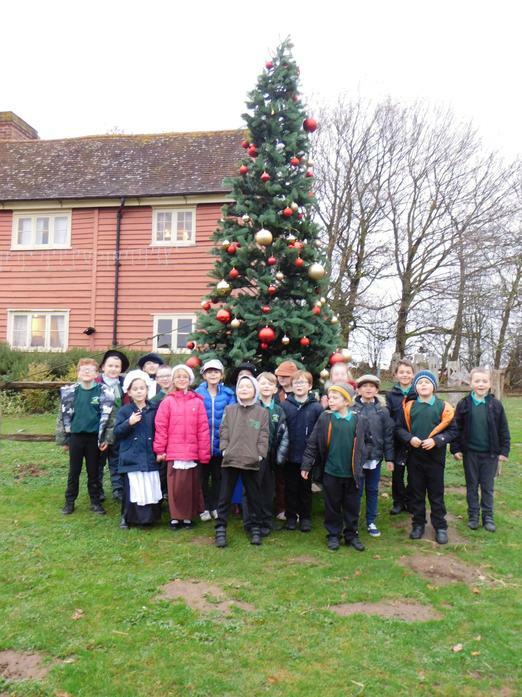 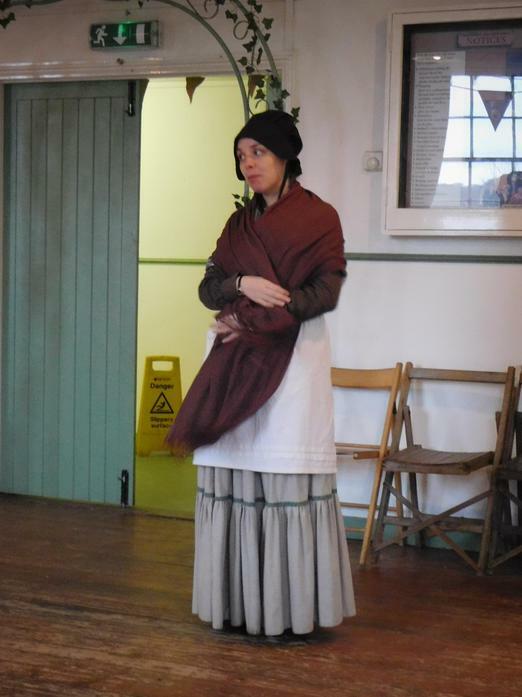 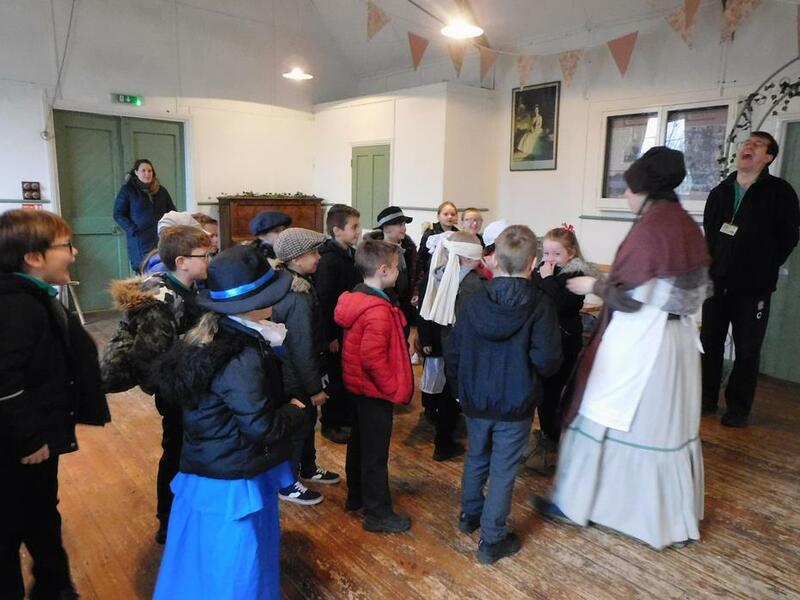 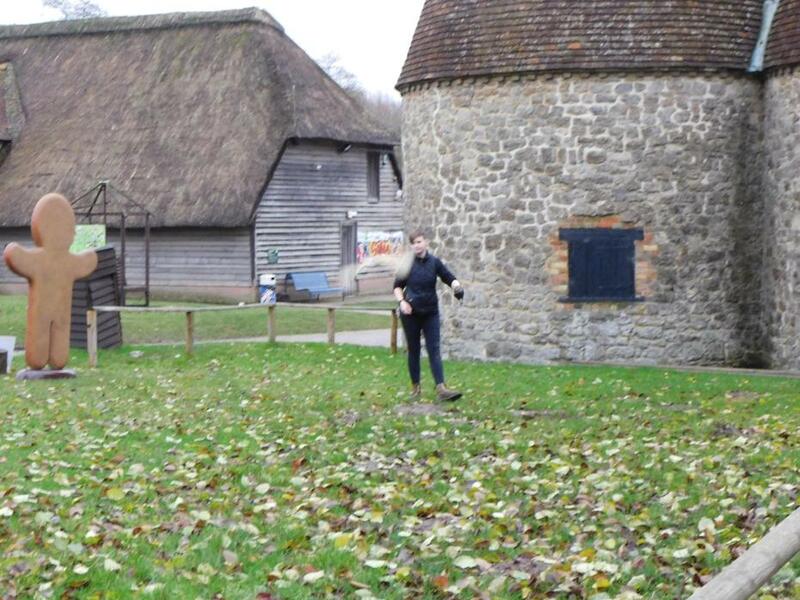 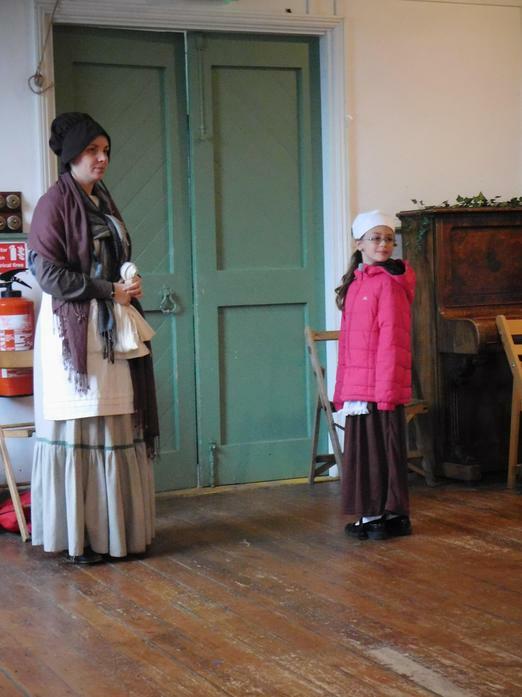 We had a fantastic day at Kent Life learning about Victorians and A Victorian Christmas. 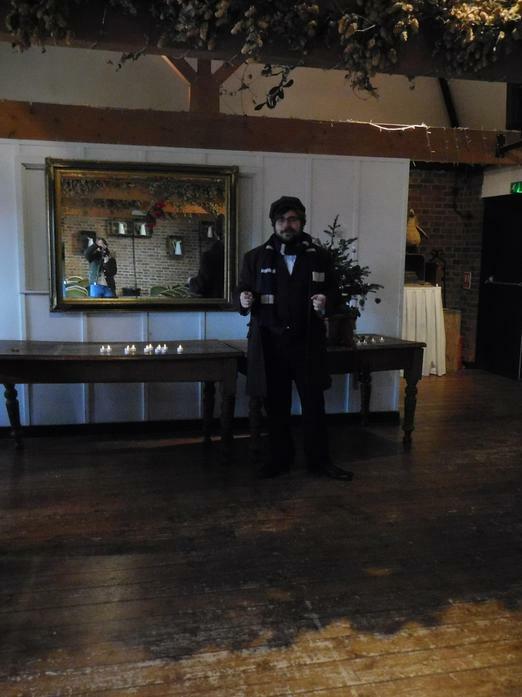 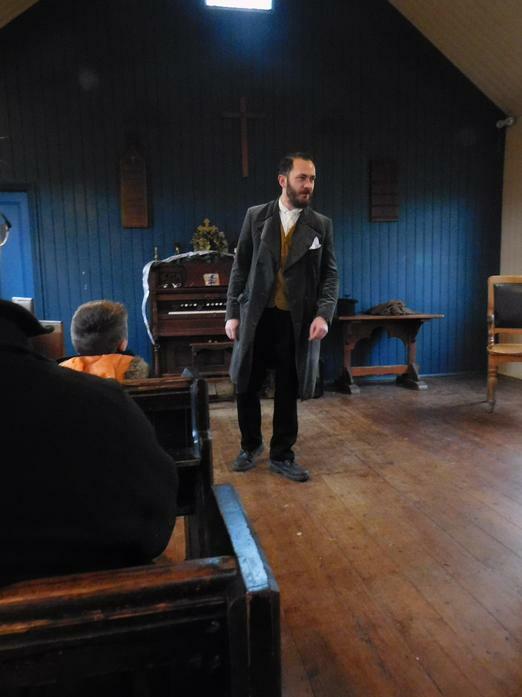 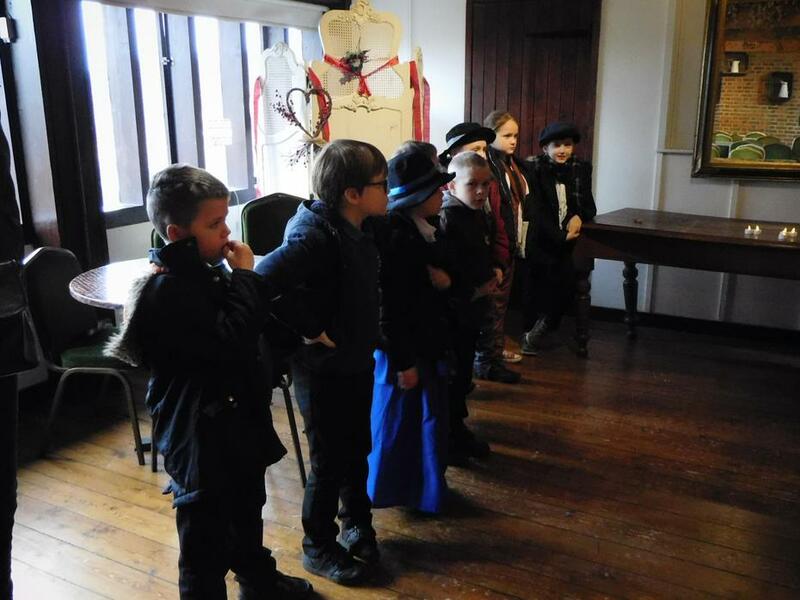 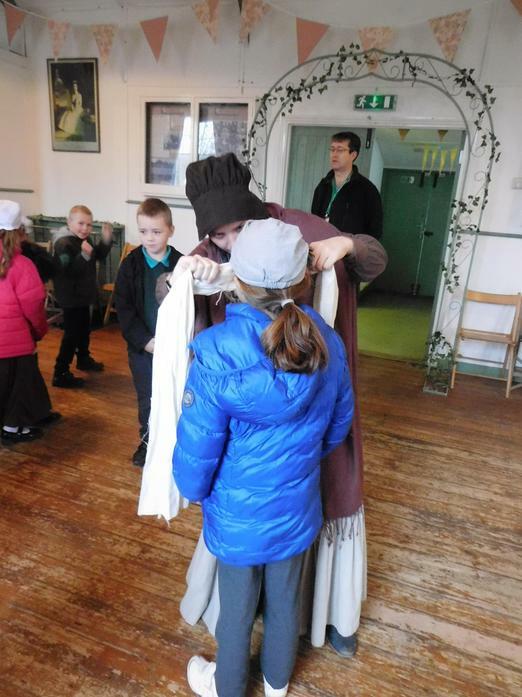 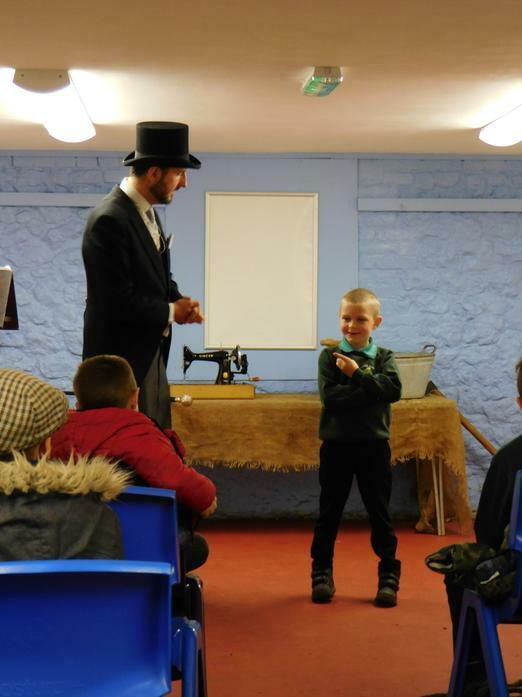 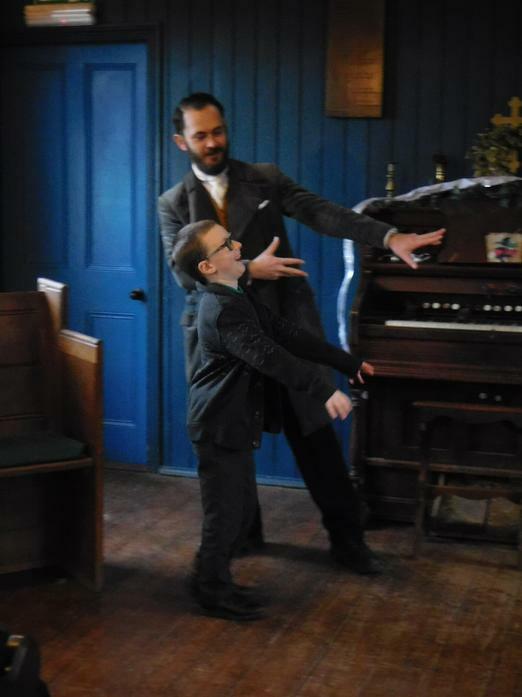 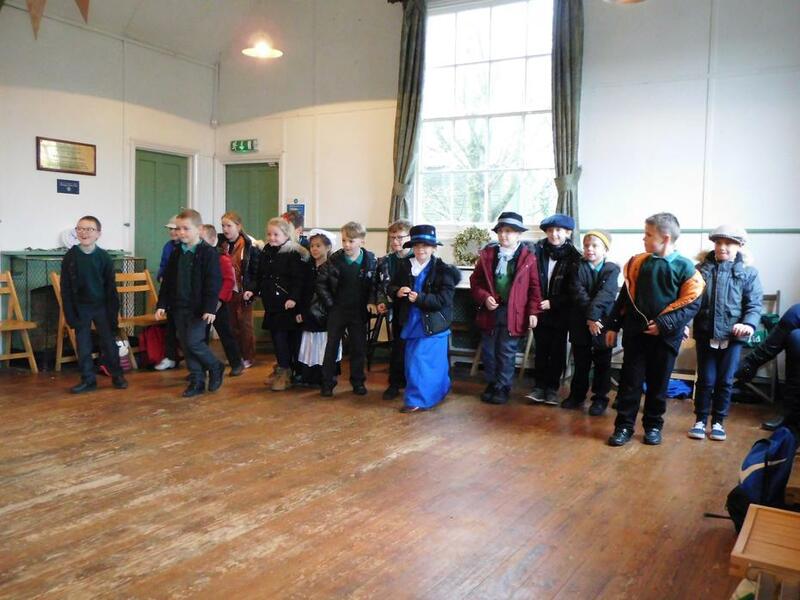 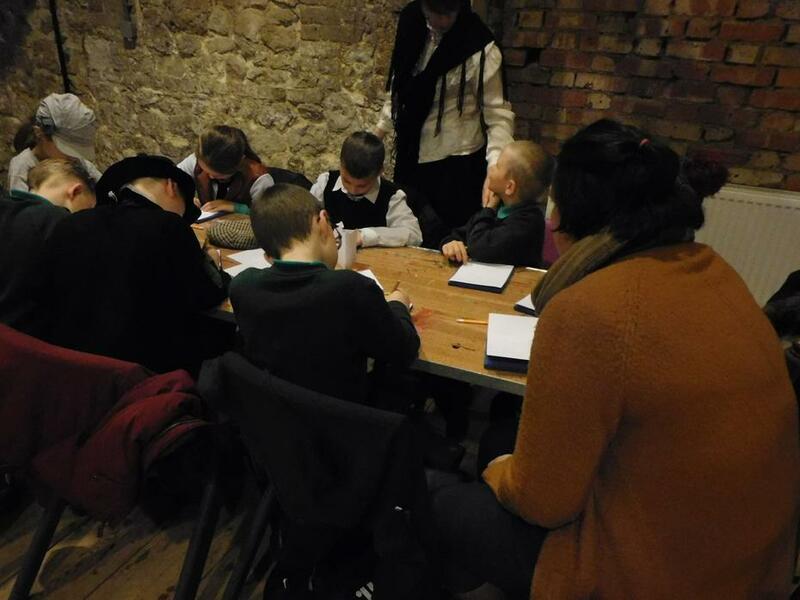 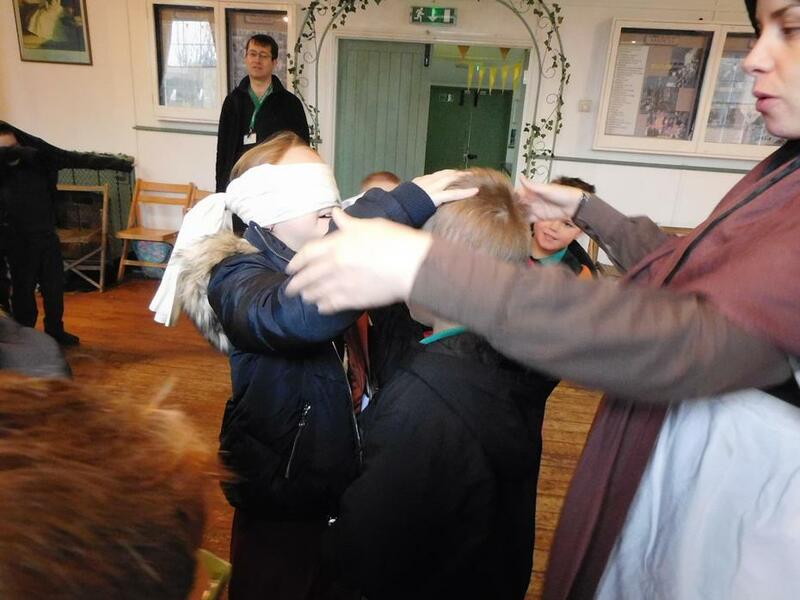 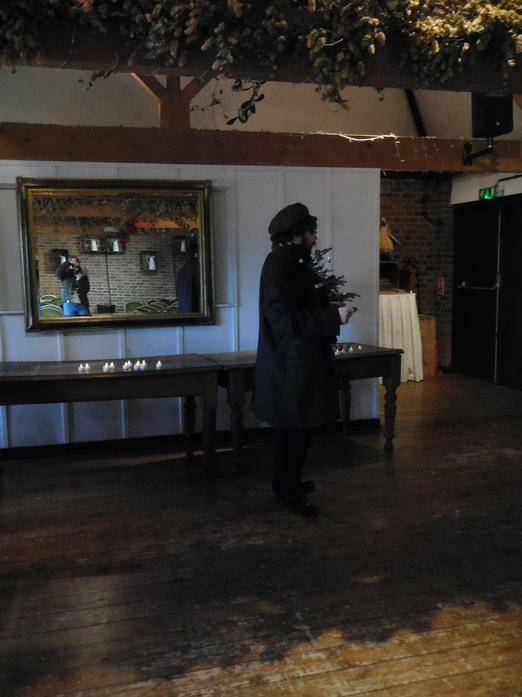 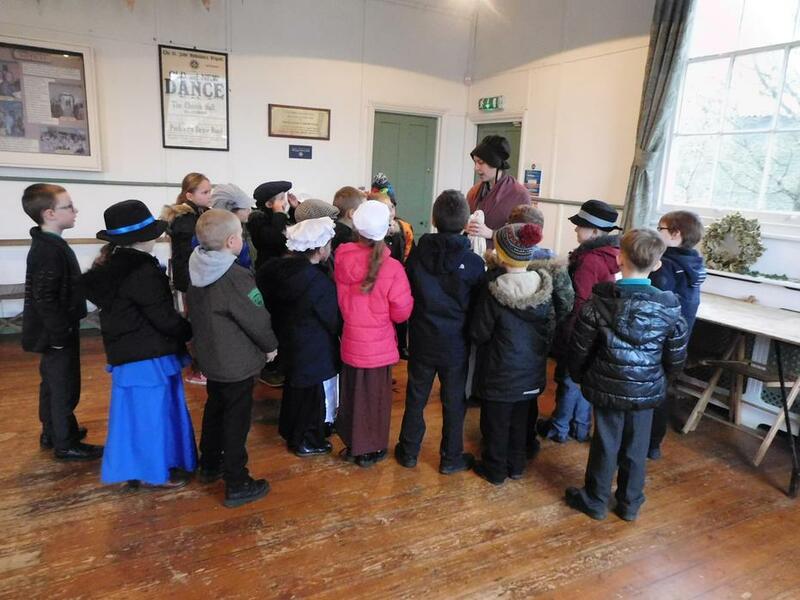 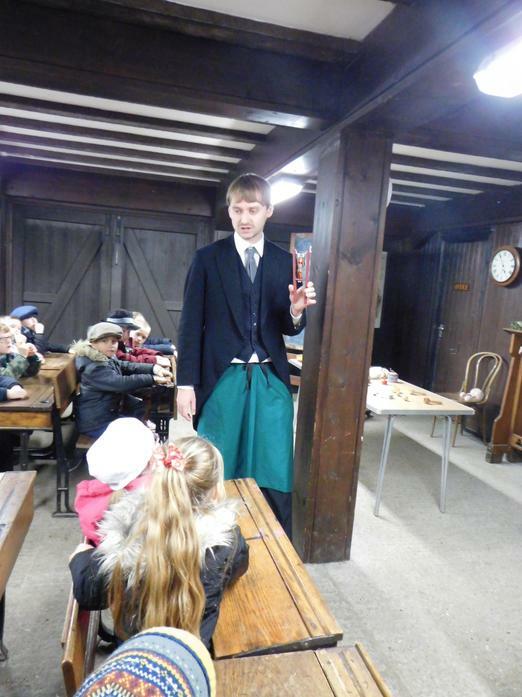 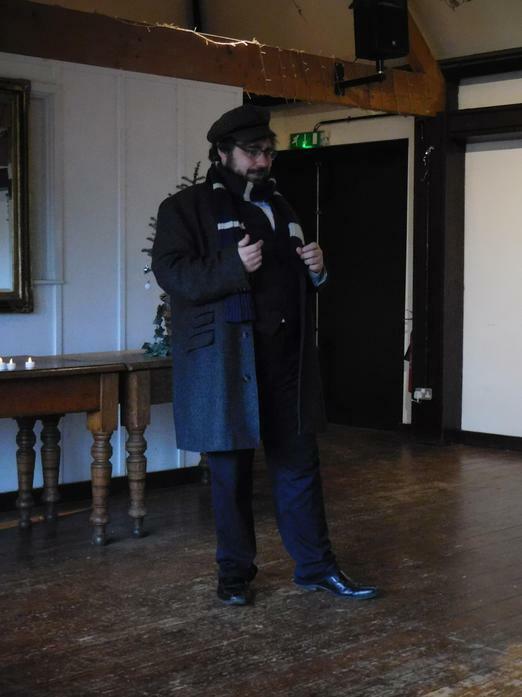 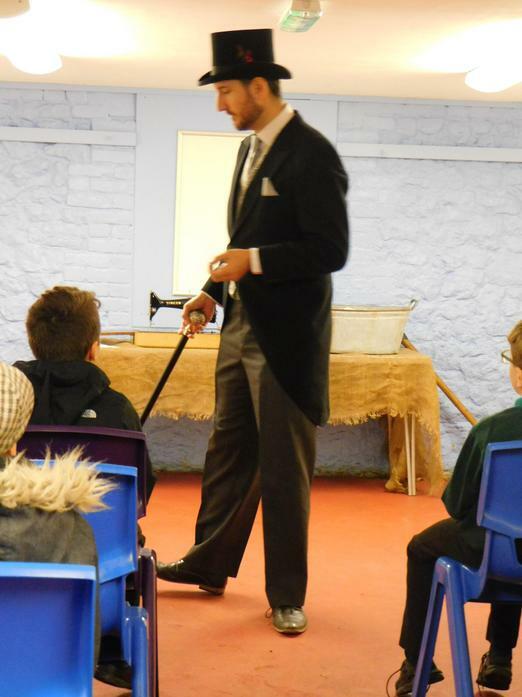 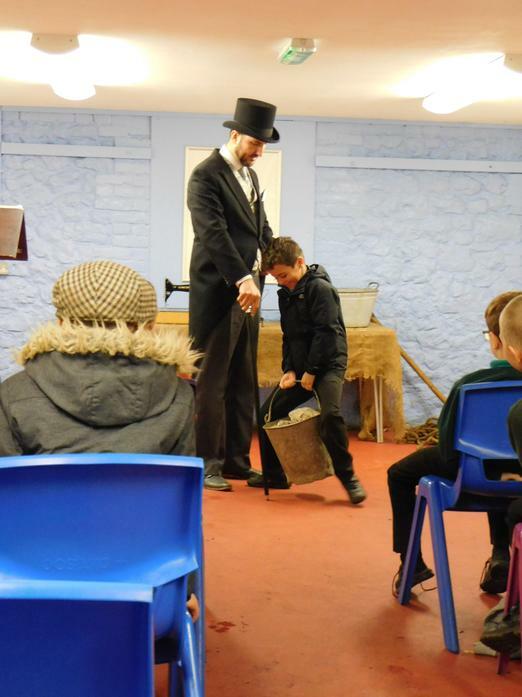 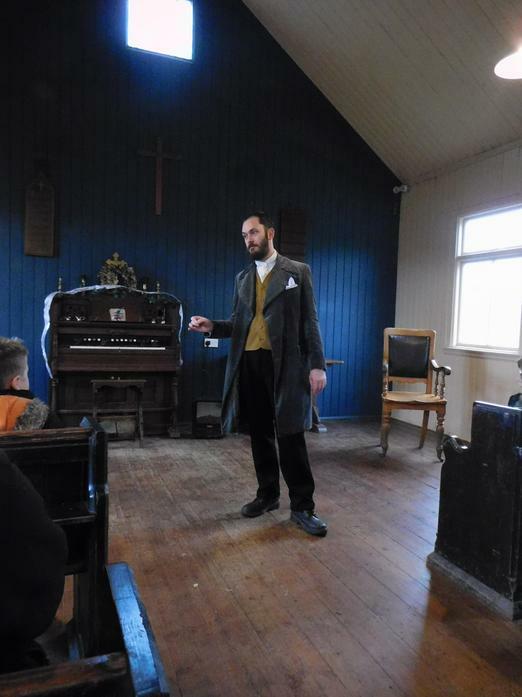 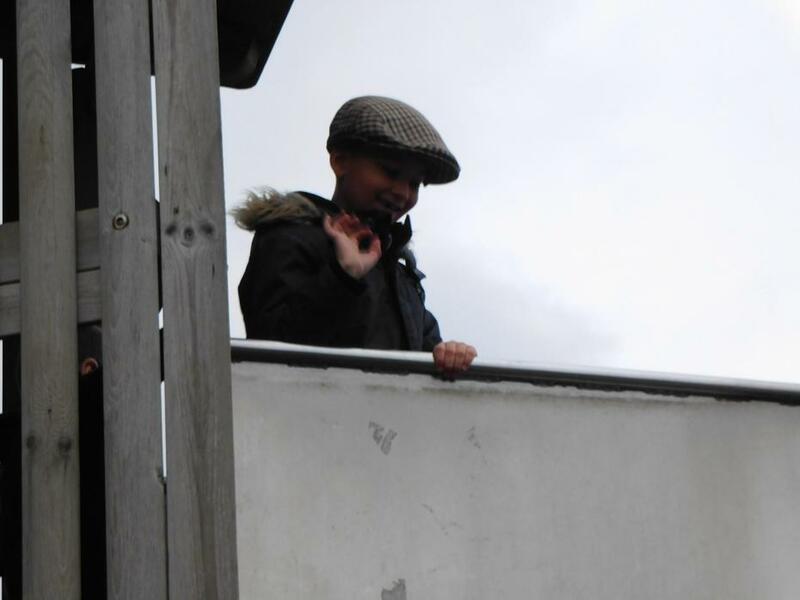 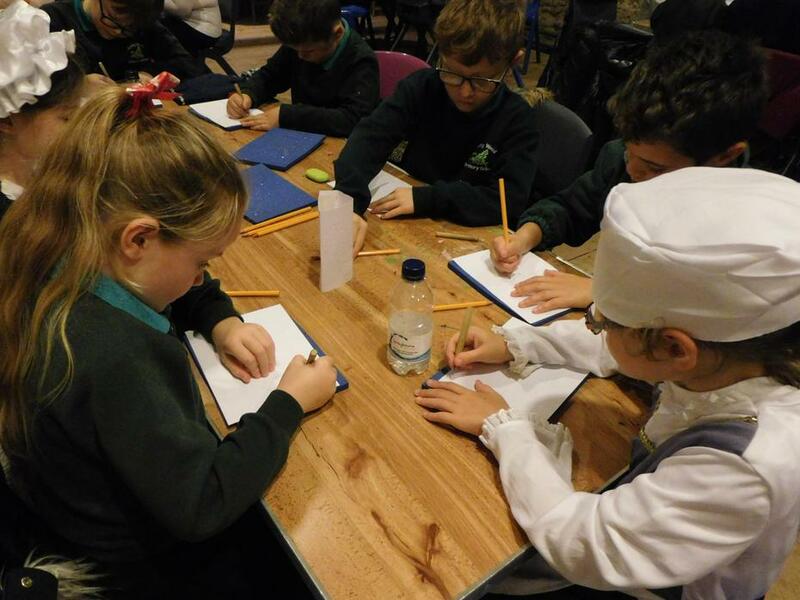 We took part in workshops and even met Charlie Dickens! 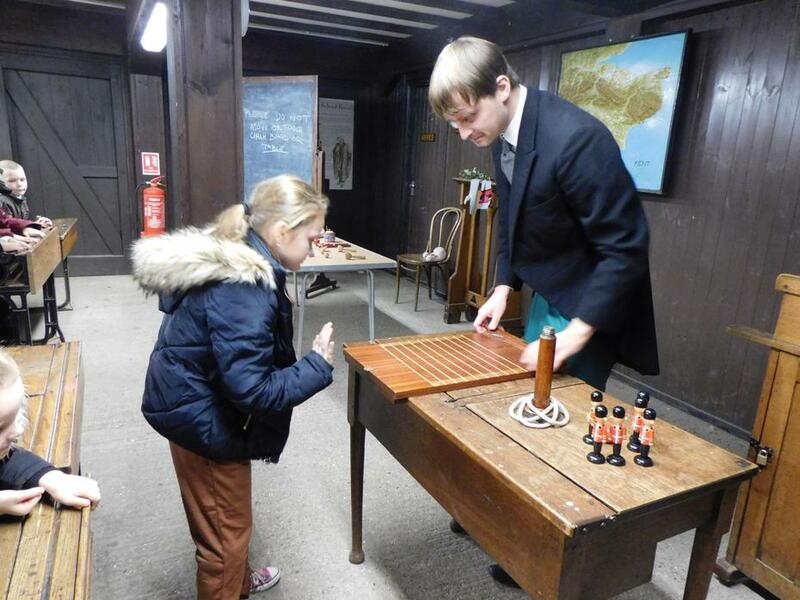 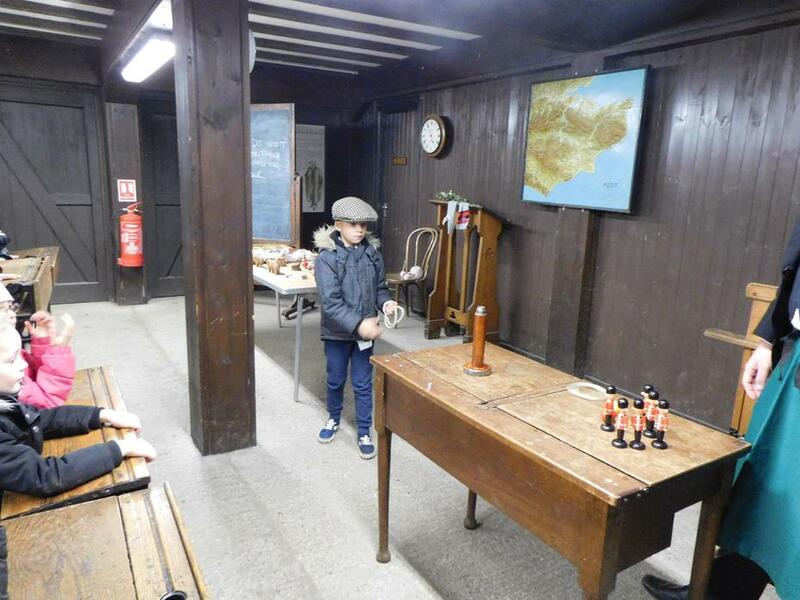 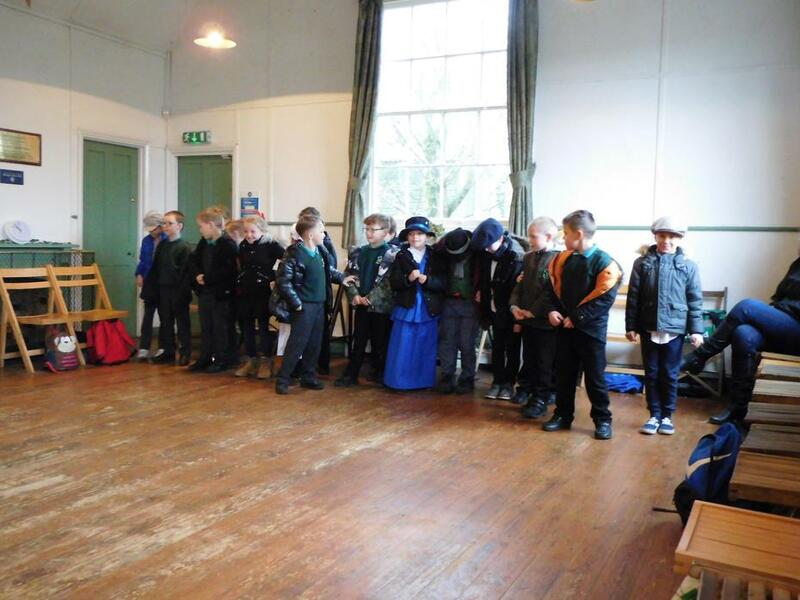 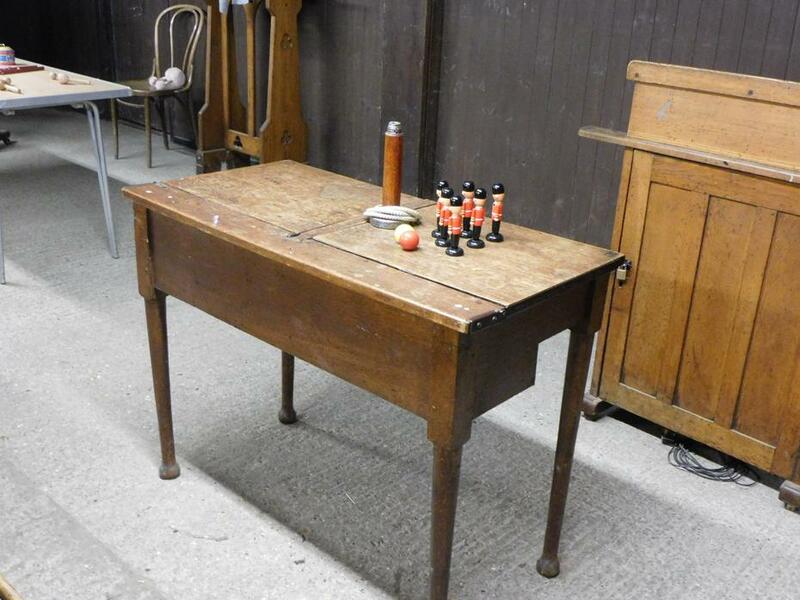 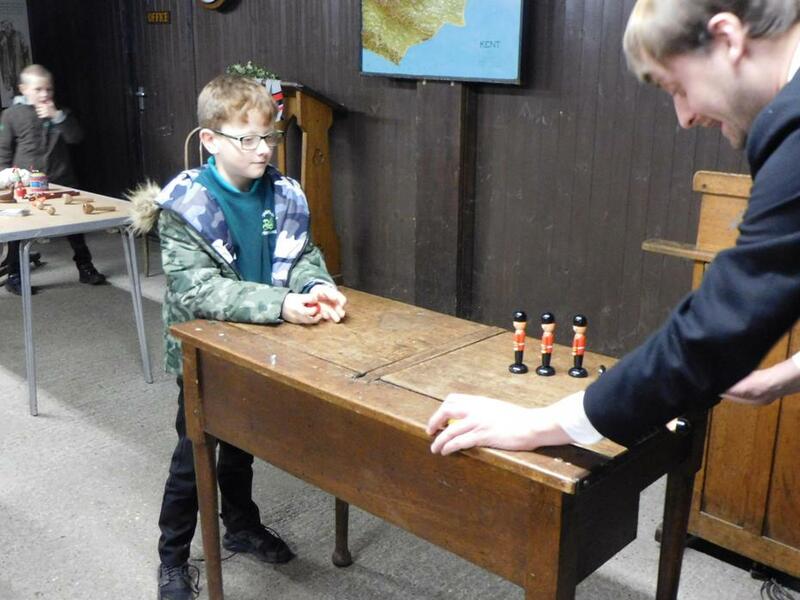 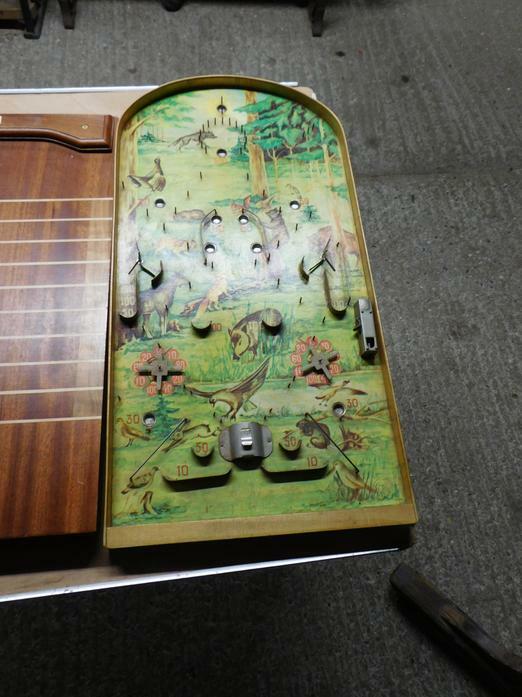 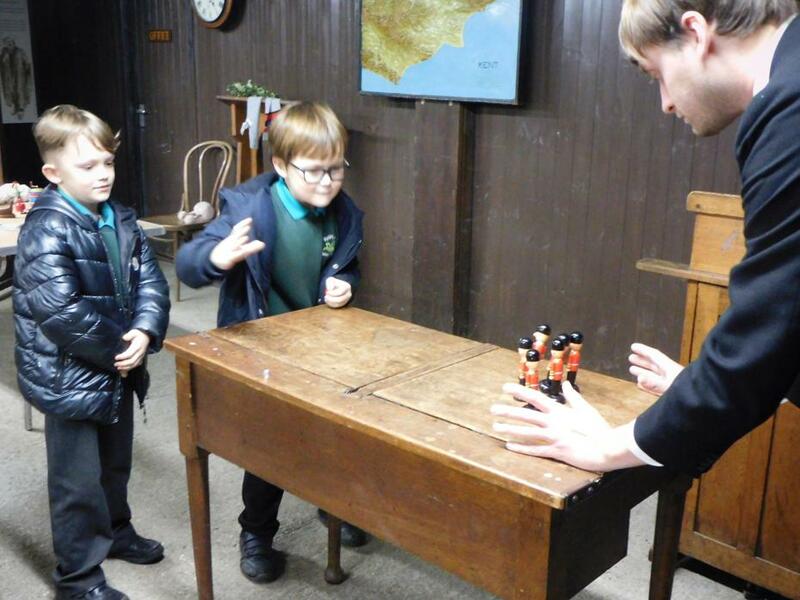 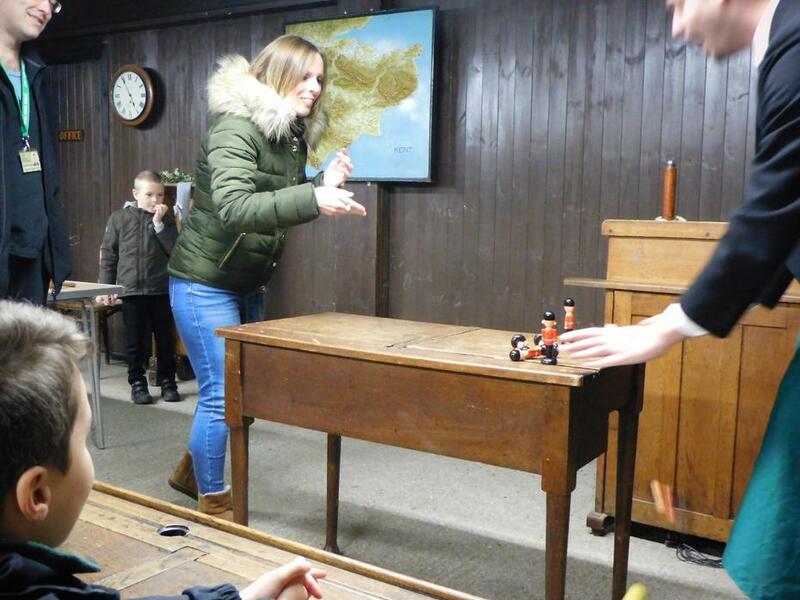 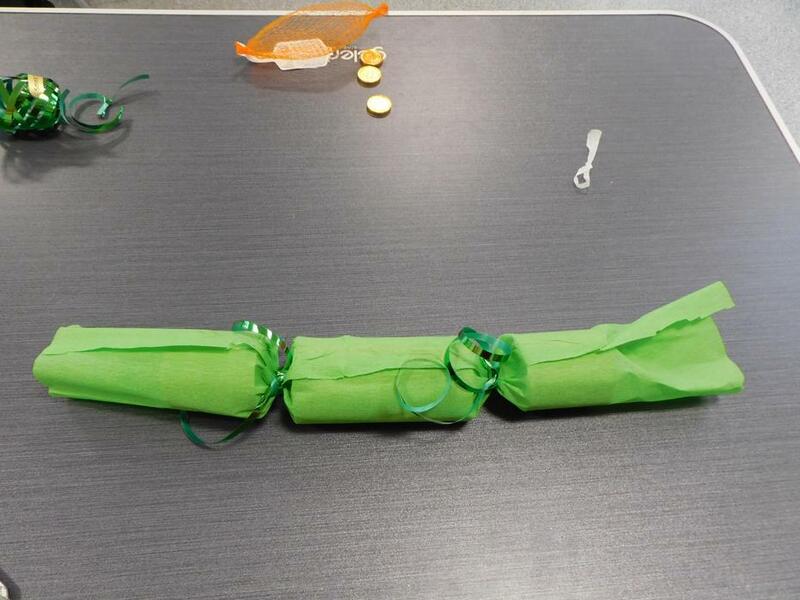 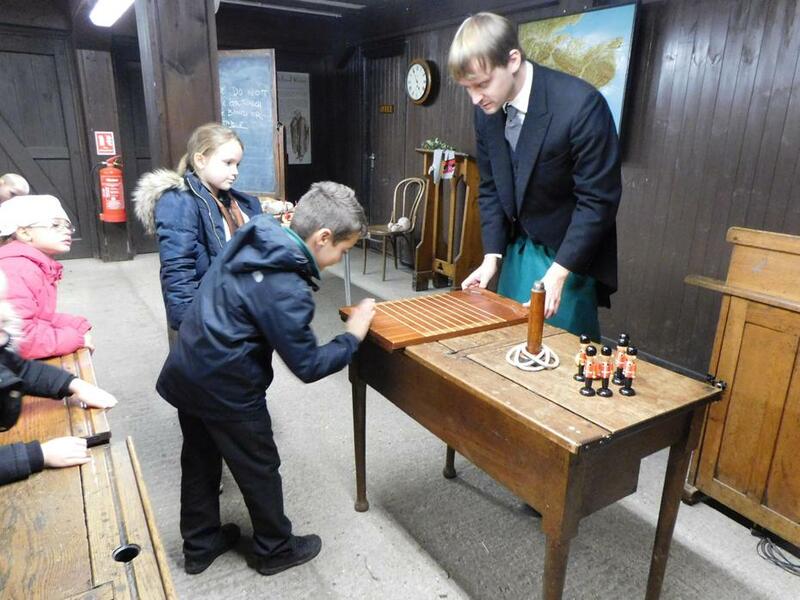 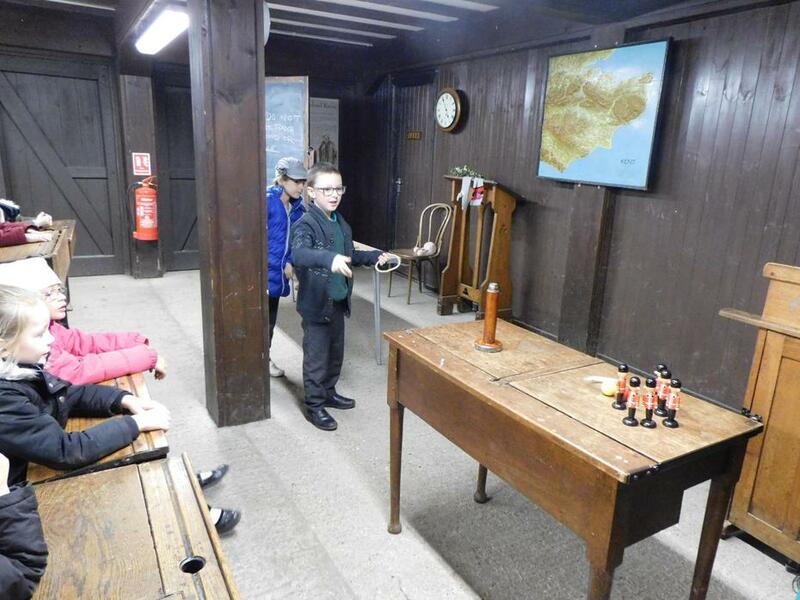 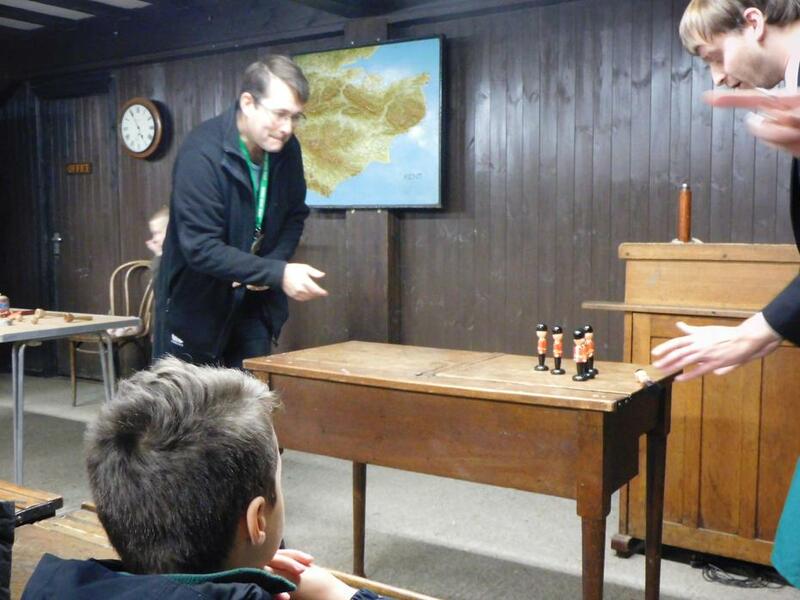 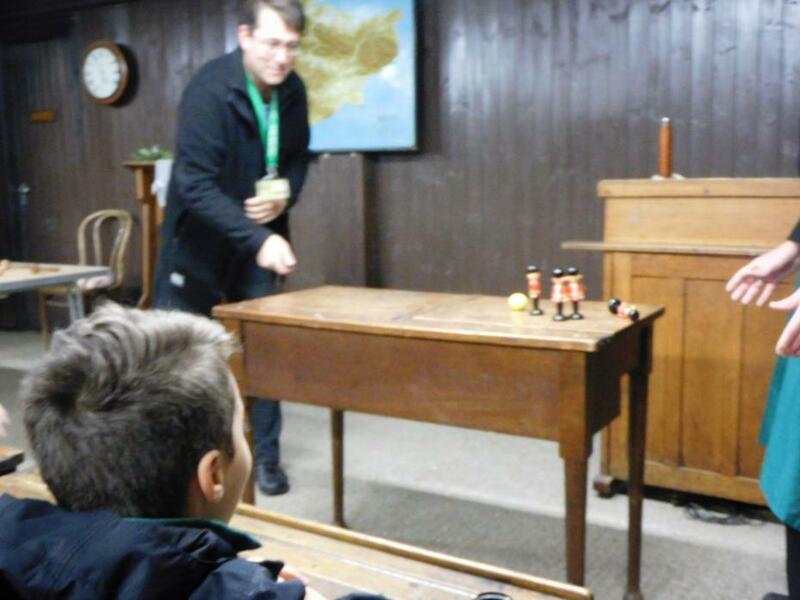 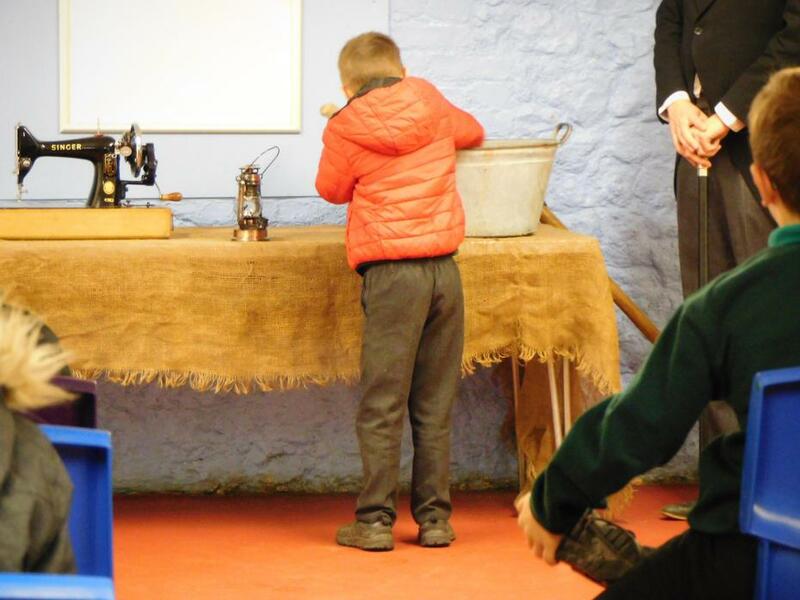 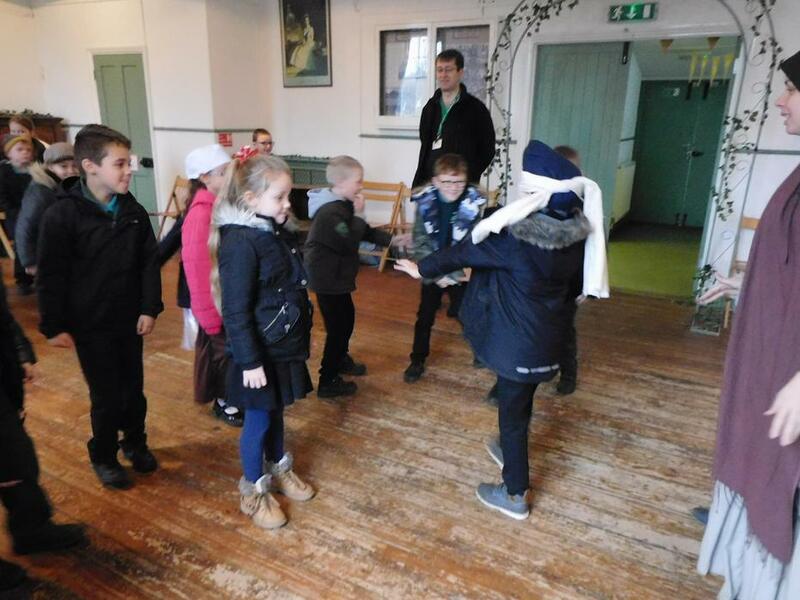 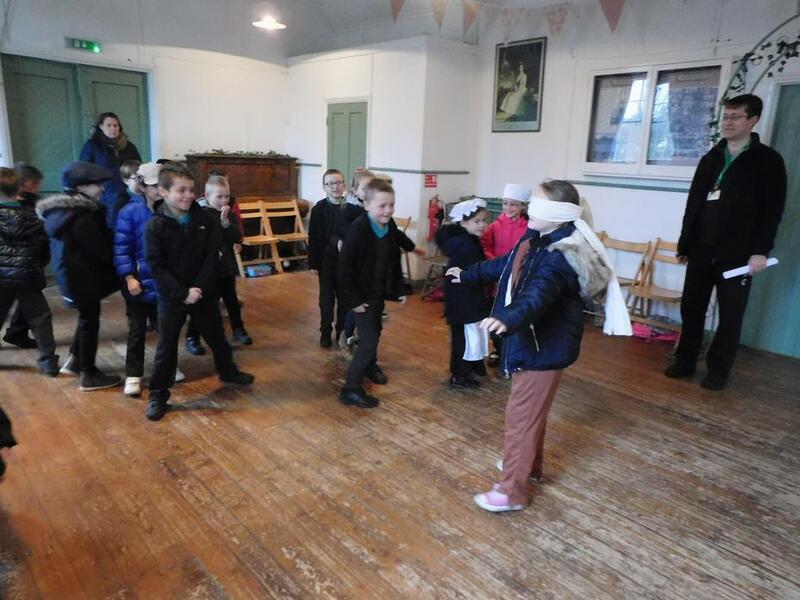 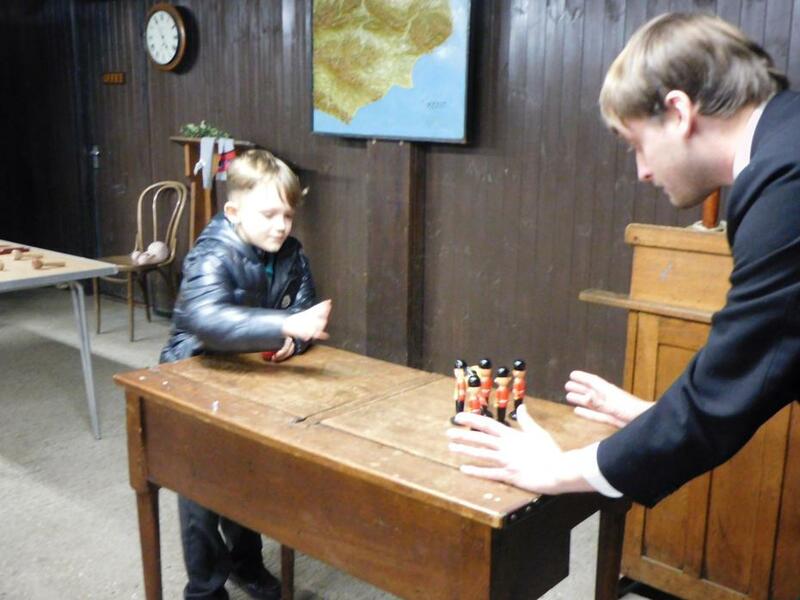 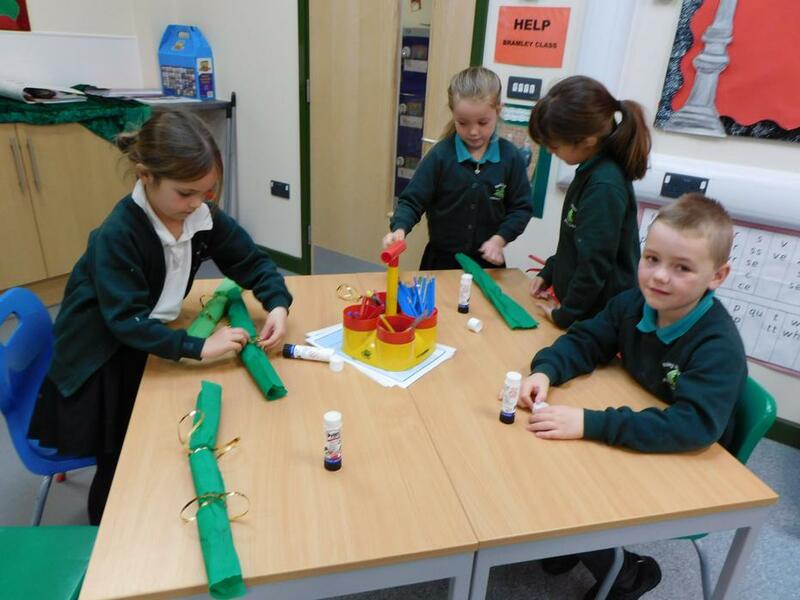 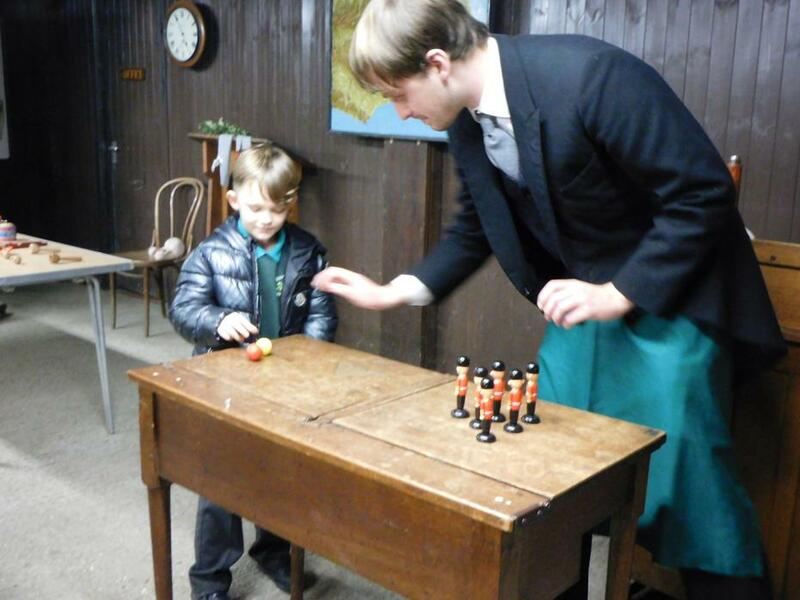 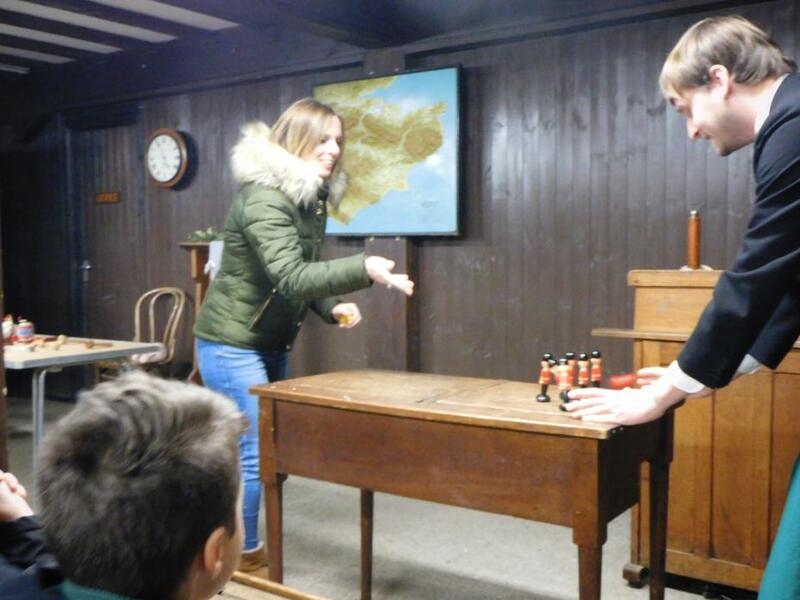 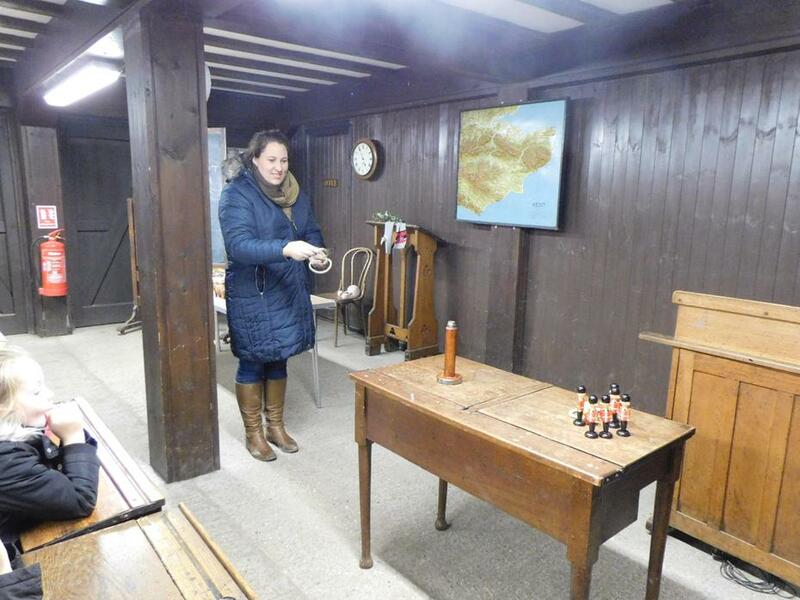 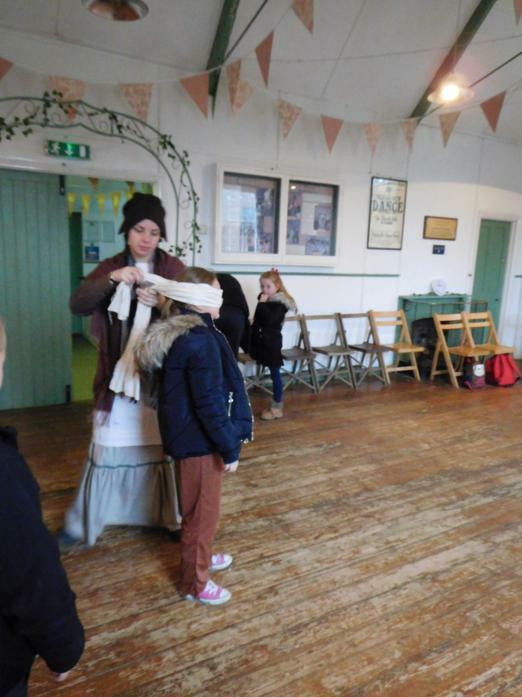 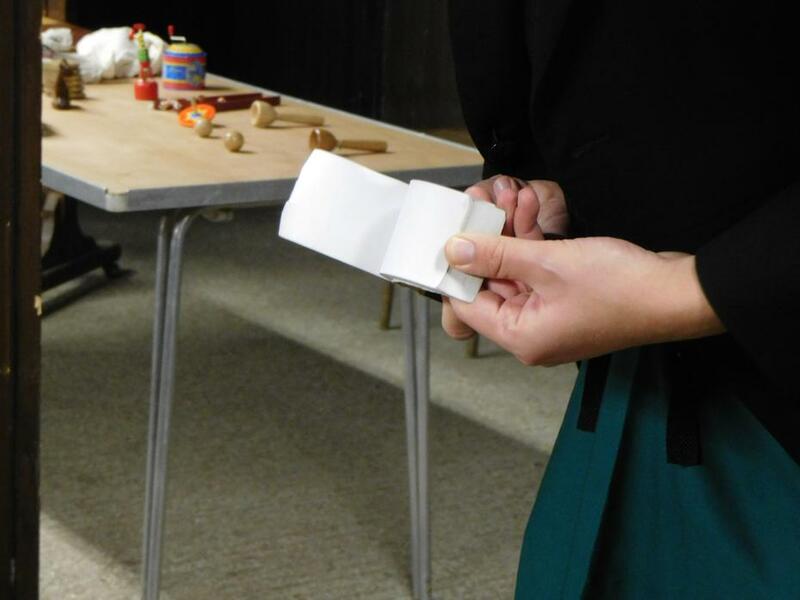 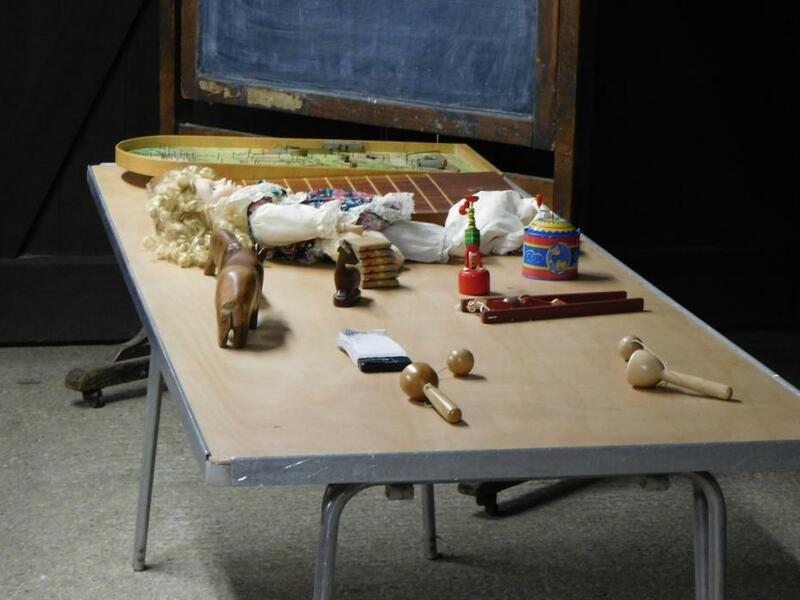 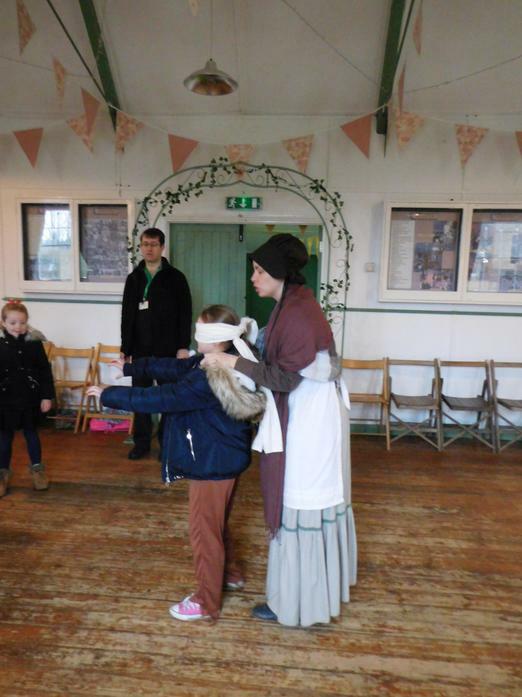 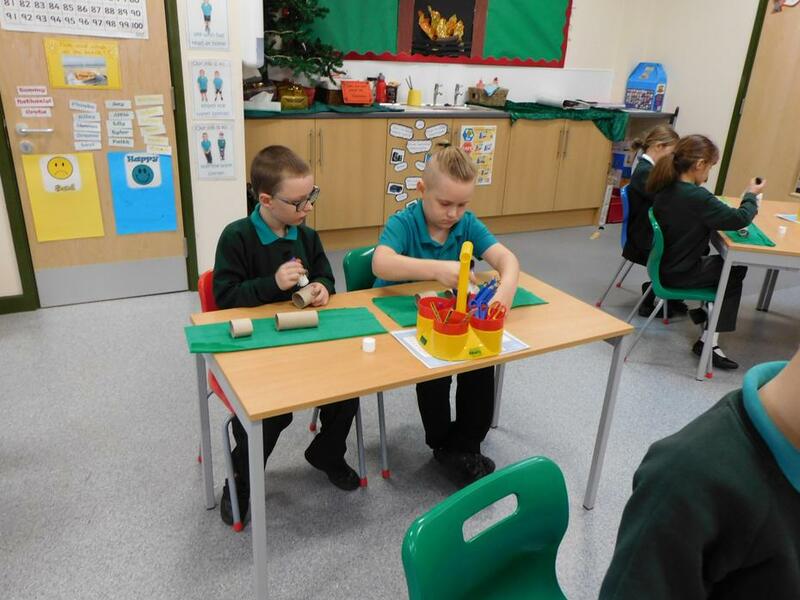 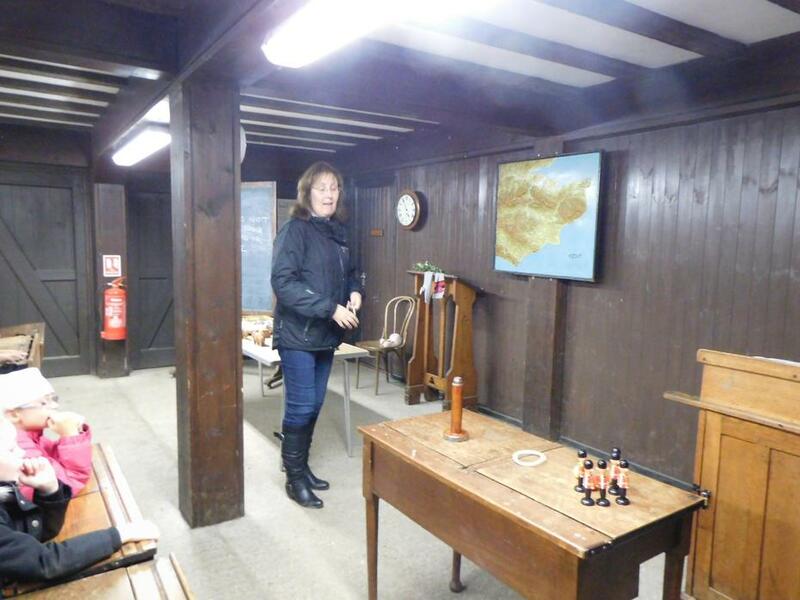 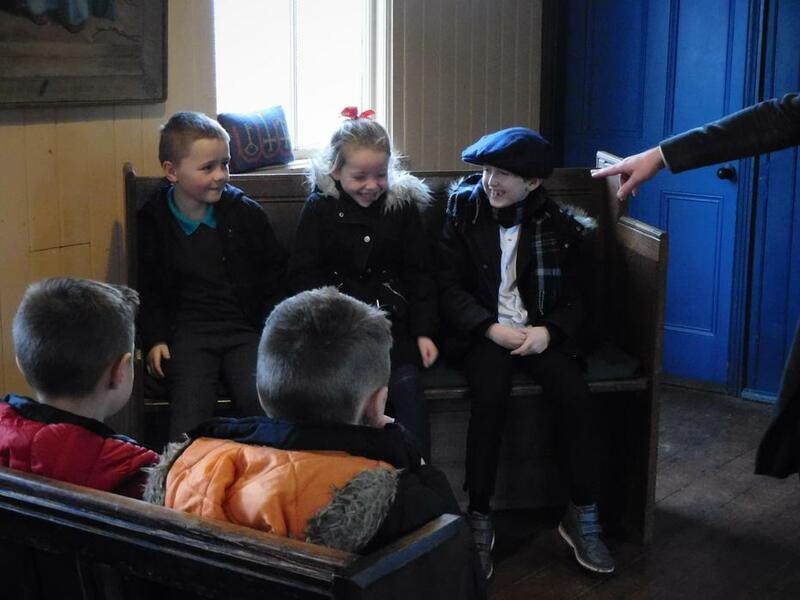 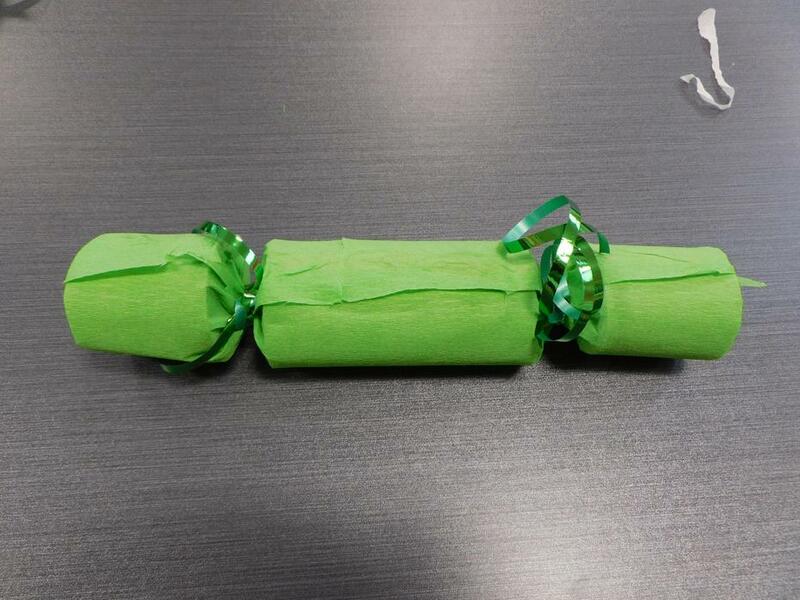 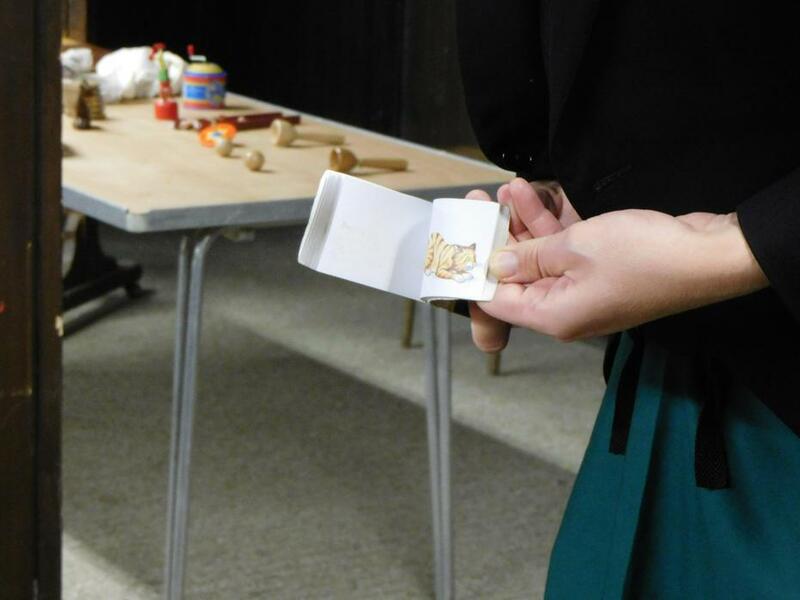 We learnt how to play parlour games as well as playing with the toys a Victorian child may receive at Christmas. 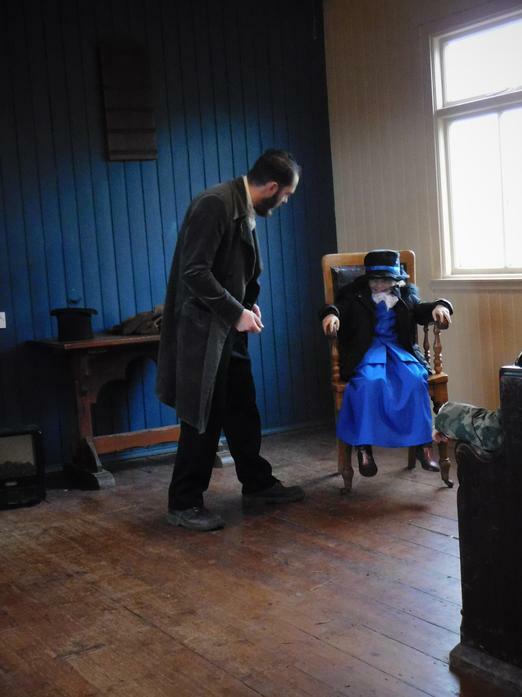 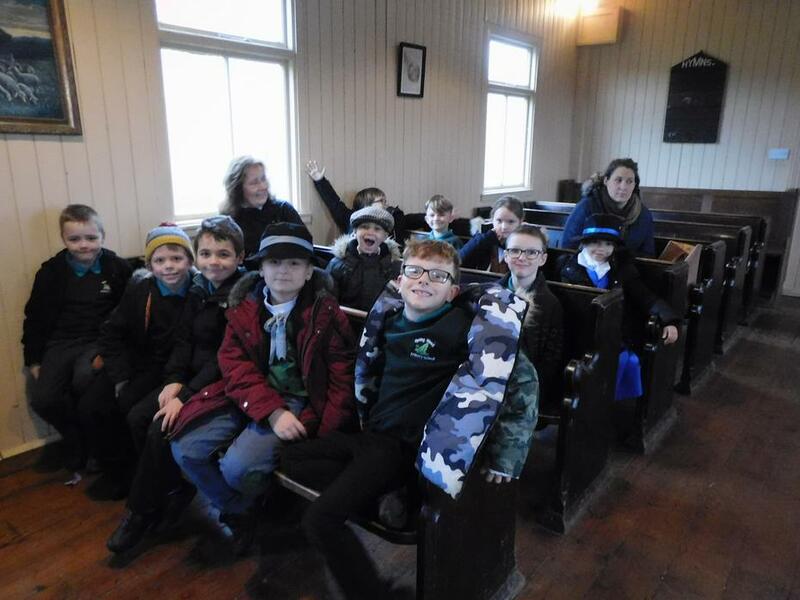 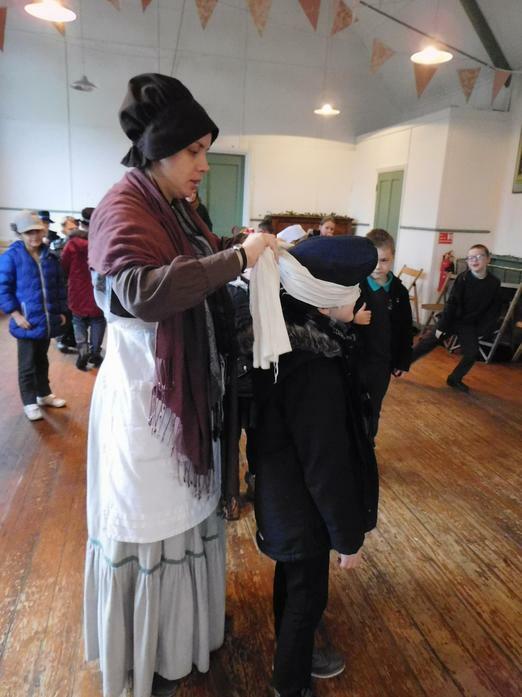 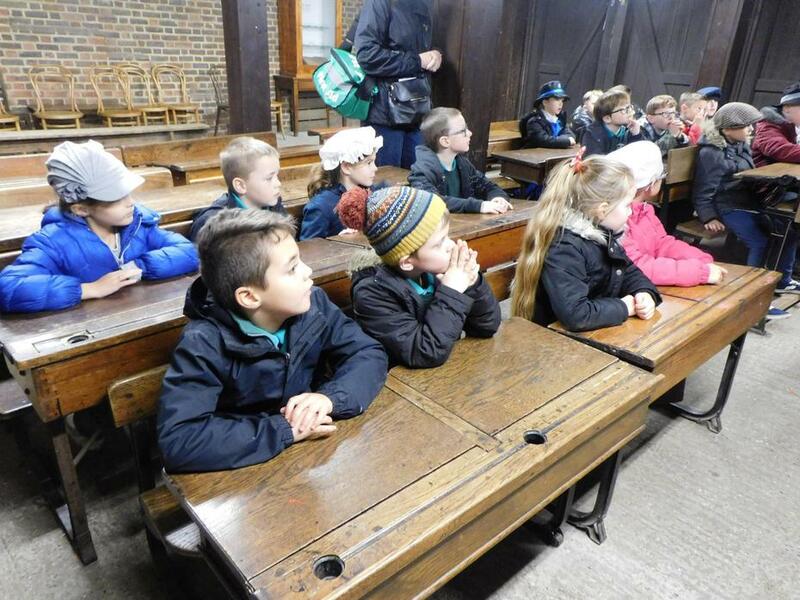 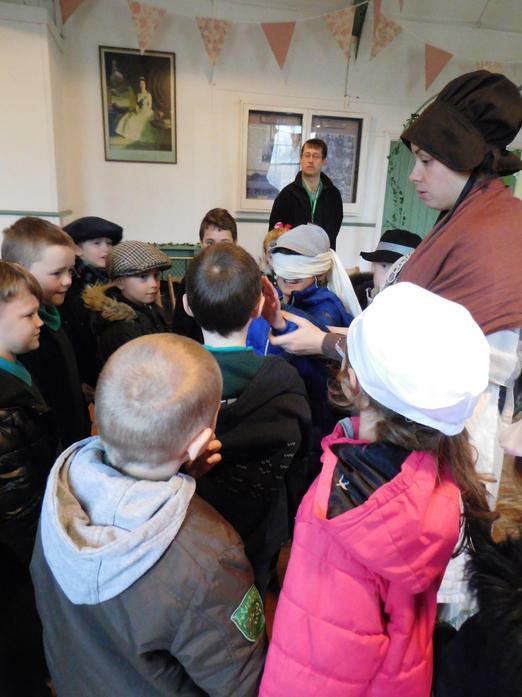 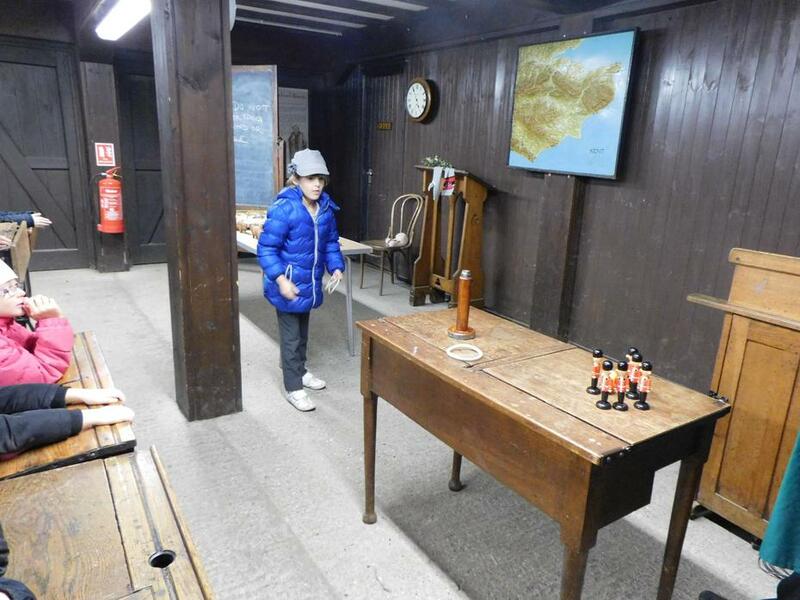 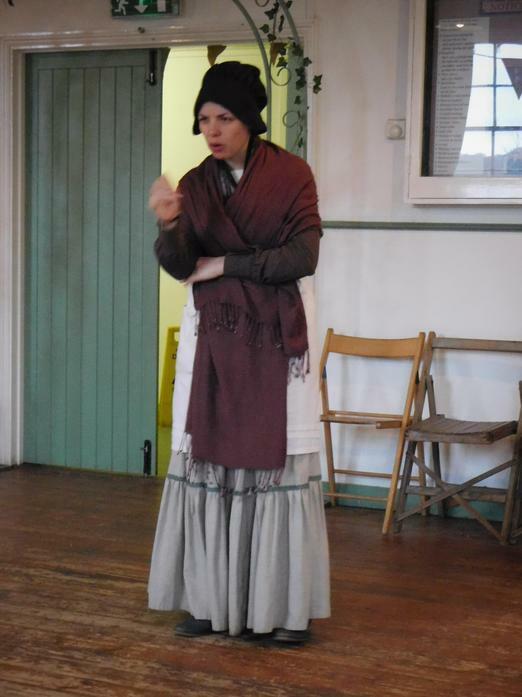 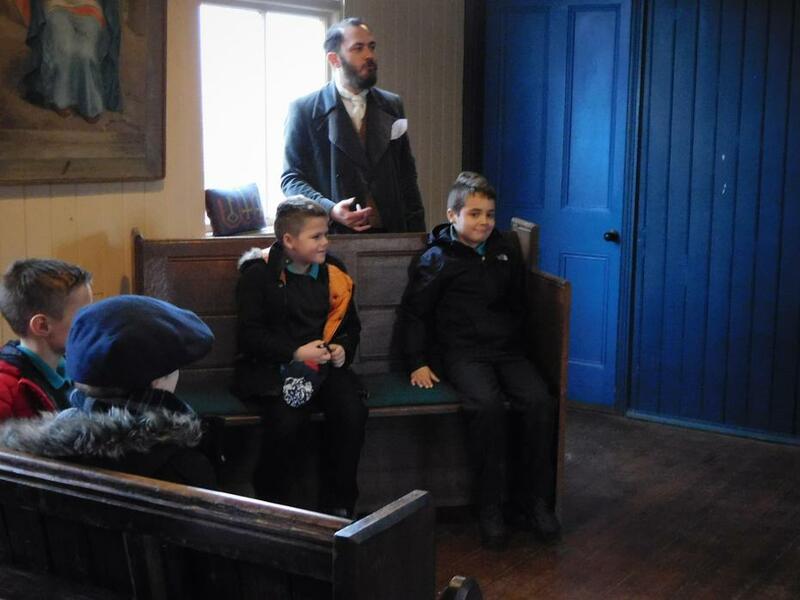 Finding out about the workhouse was a bit grim. 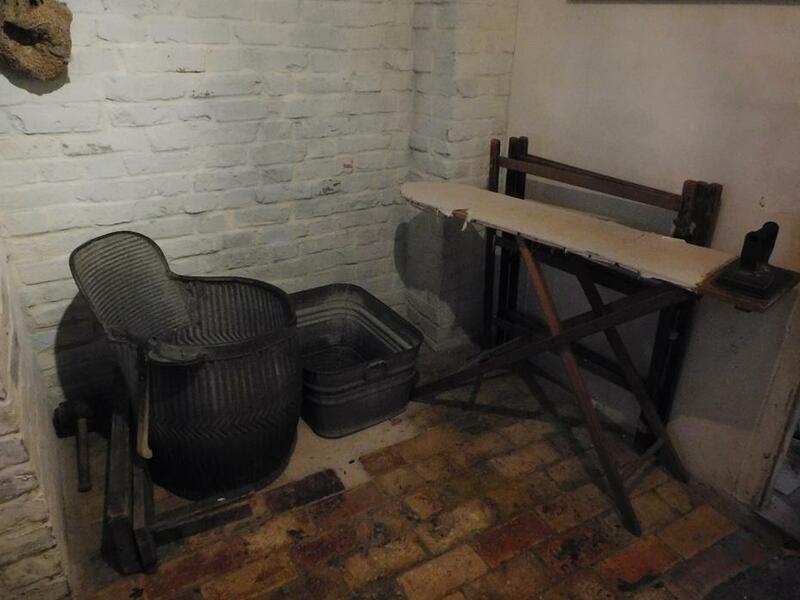 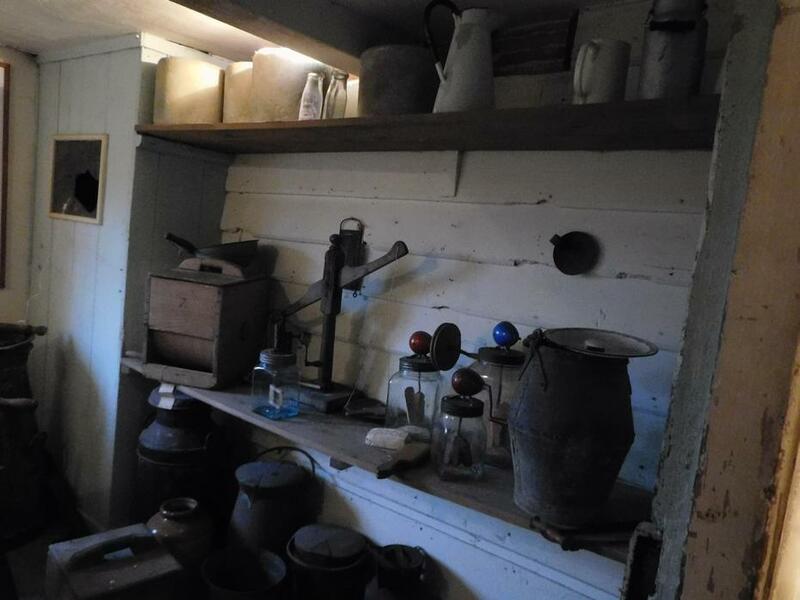 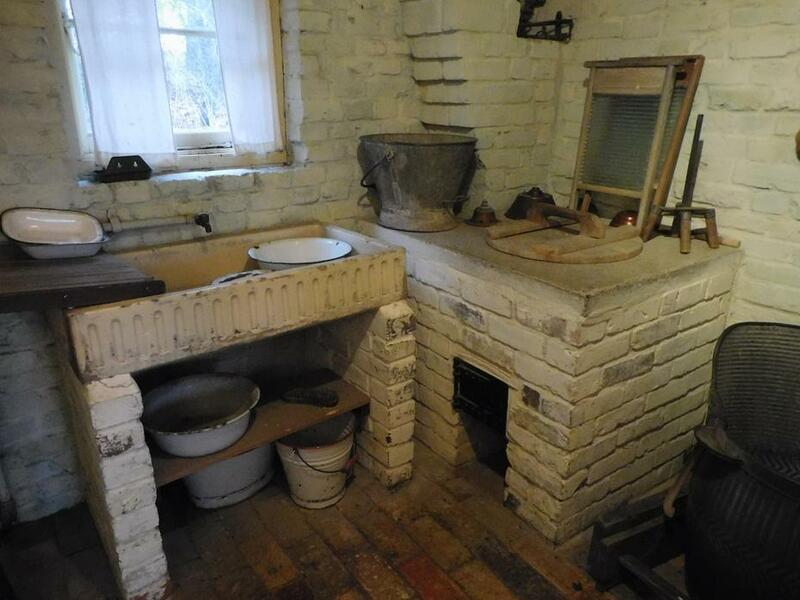 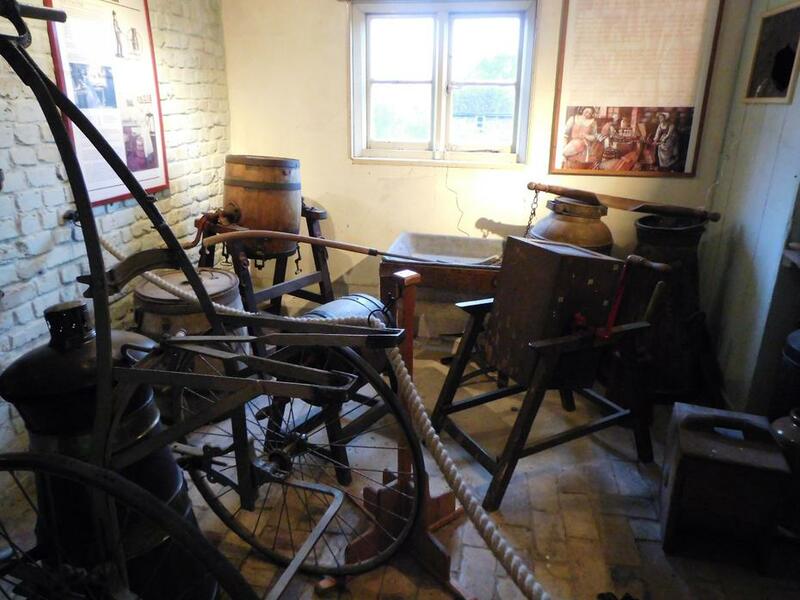 We weren't that keen on the bedpan that was used in a Victorian house either and only being able to wash once a week!!! 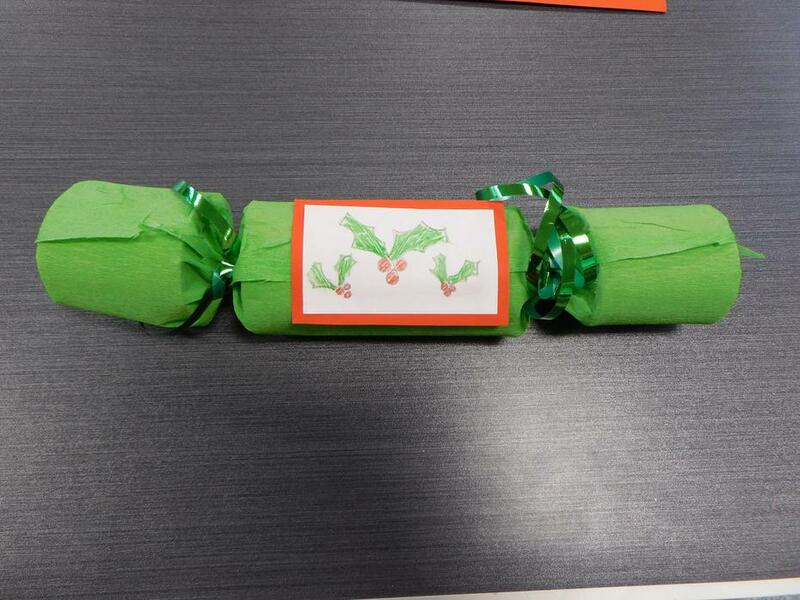 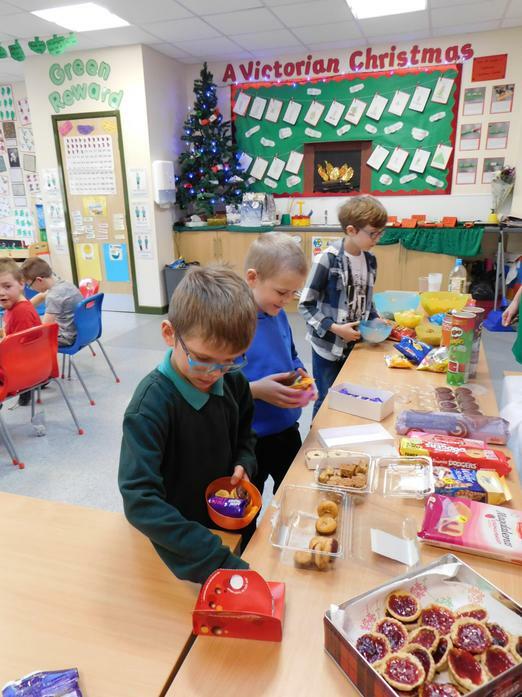 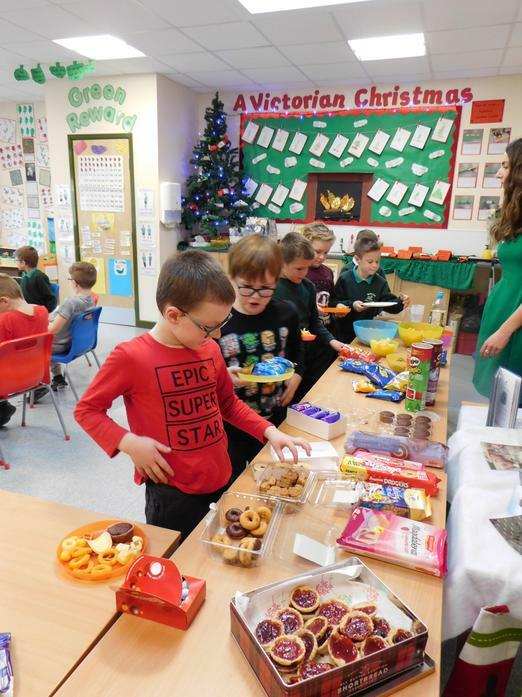 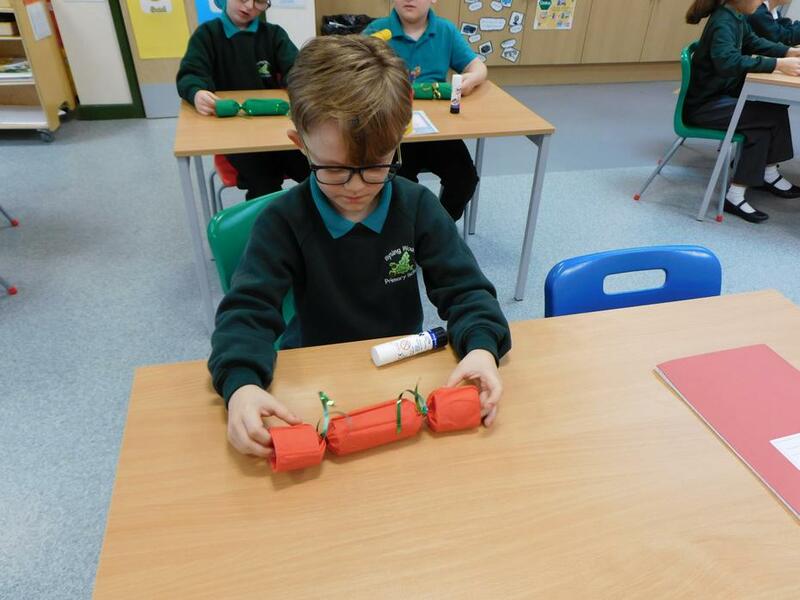 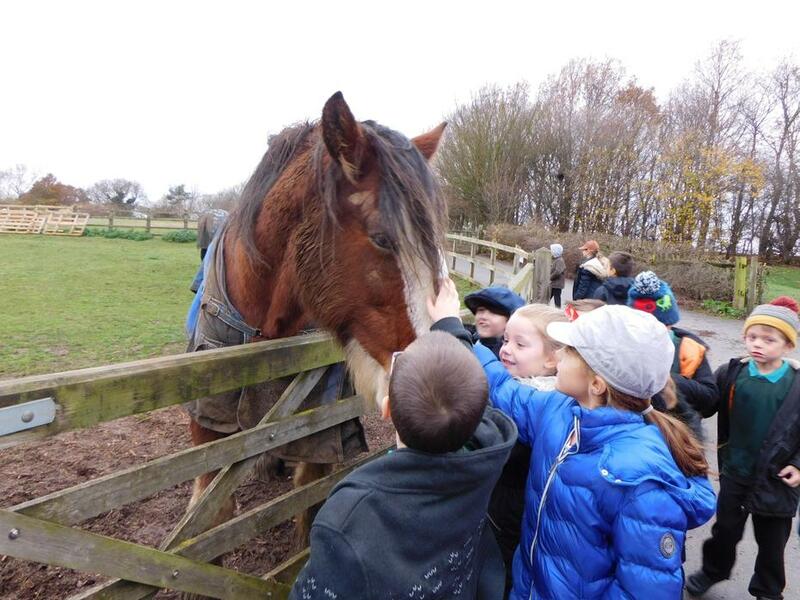 We learnt about Christmas traditions that we hadn't learnt in school, for example mince pies originally had meat inside and mistletoe was thought to be magic - if a couple kiss underneath it they will have lots of babies. 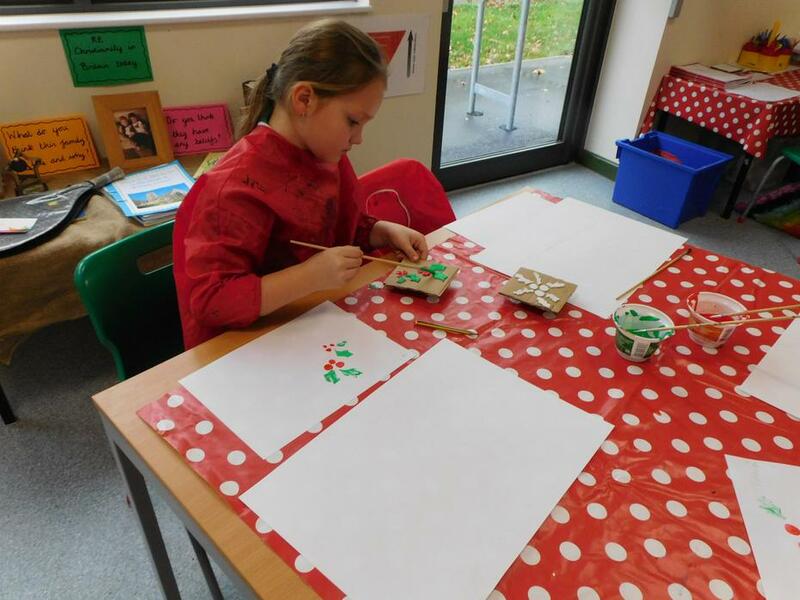 Making lace lanterns was fun and also very tricky, but a very pretty Christmas decoration to be displayed in your home. 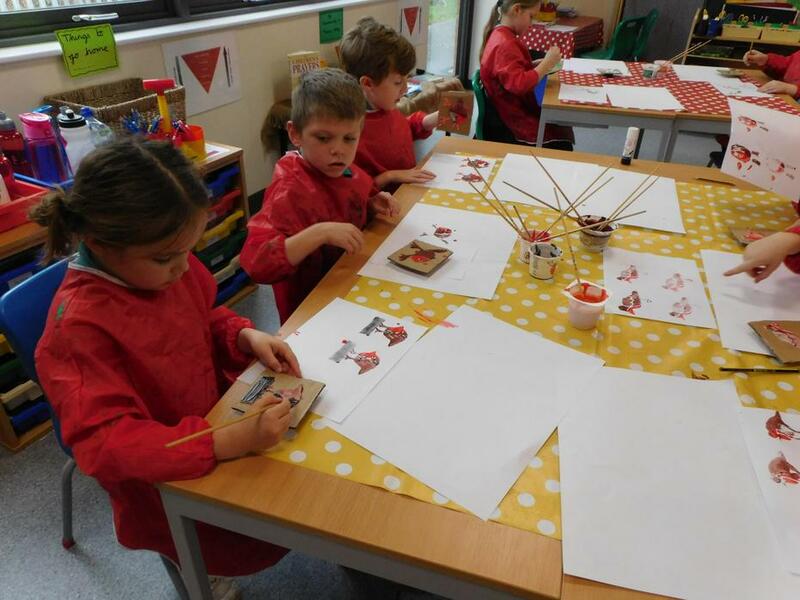 Block printing in the style of William Morris. 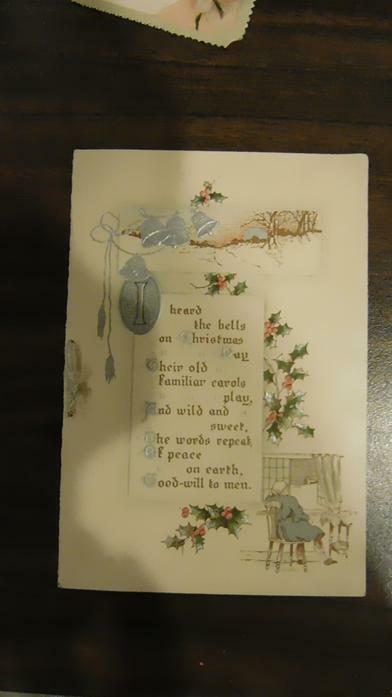 Victorian Christmas cards. 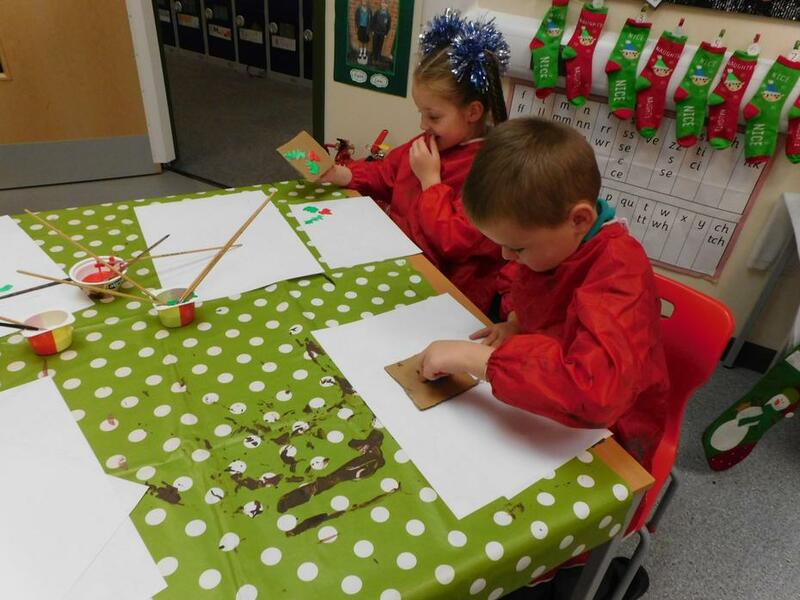 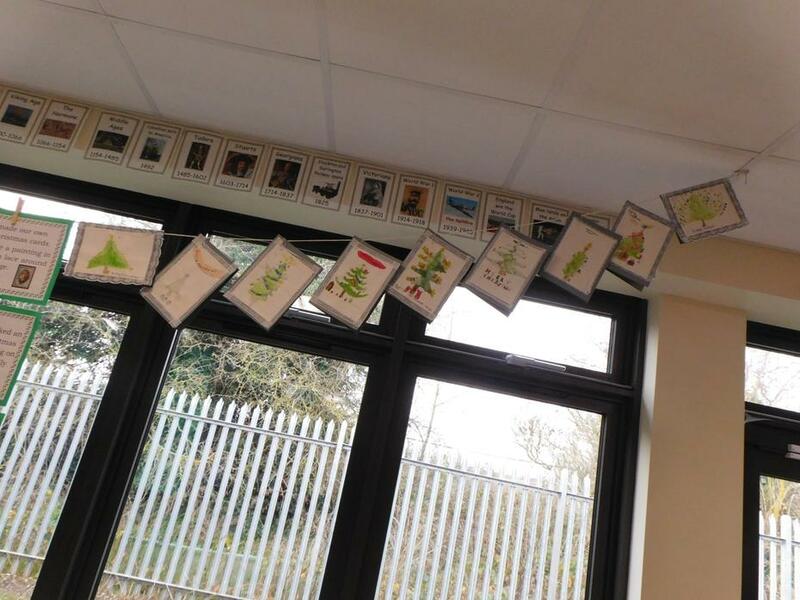 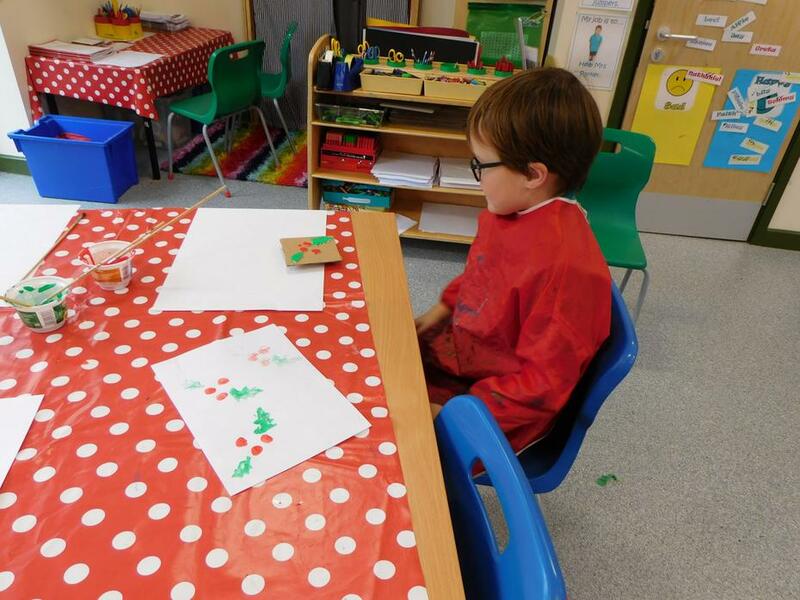 We used watercolours to paint a christmas picture and added lace around the edge. 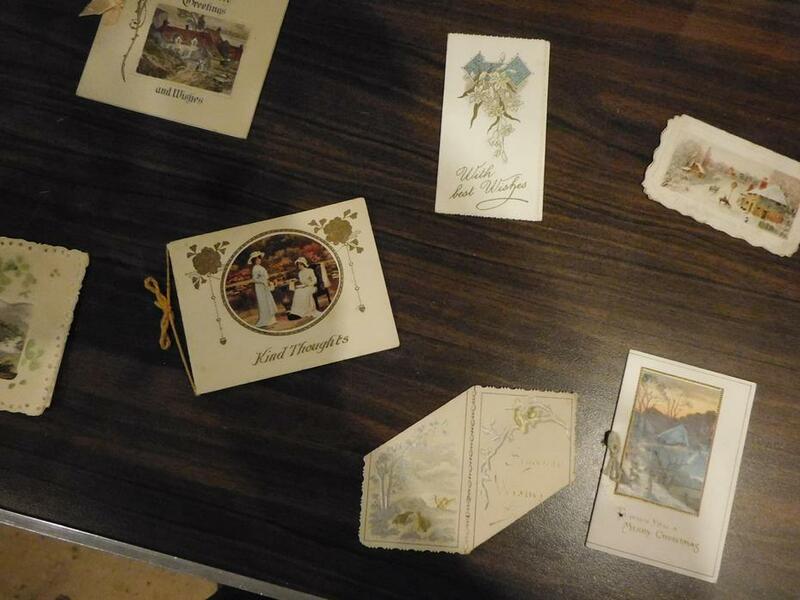 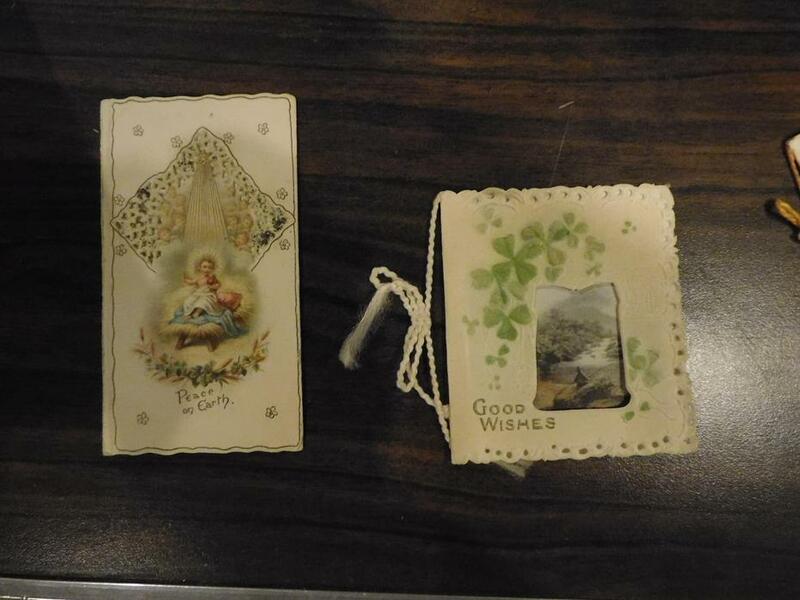 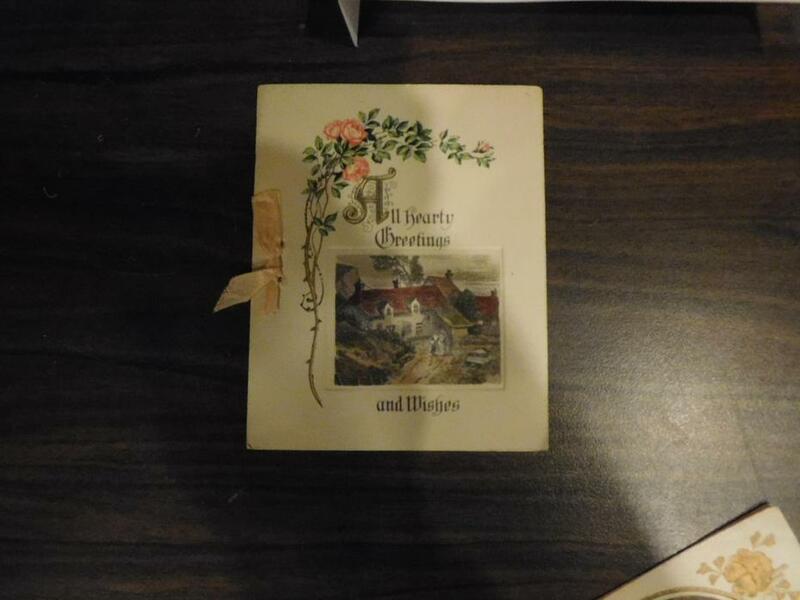 In Victiorian times children made and sent thier own cards. 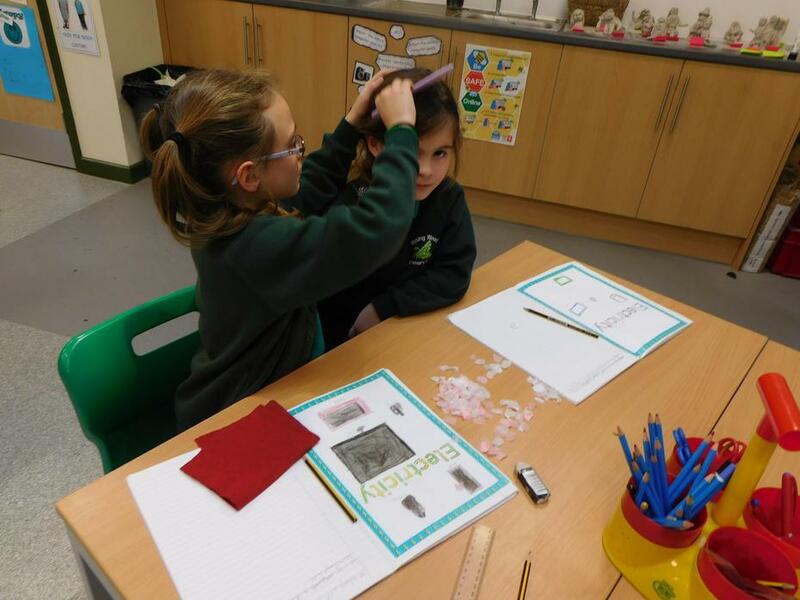 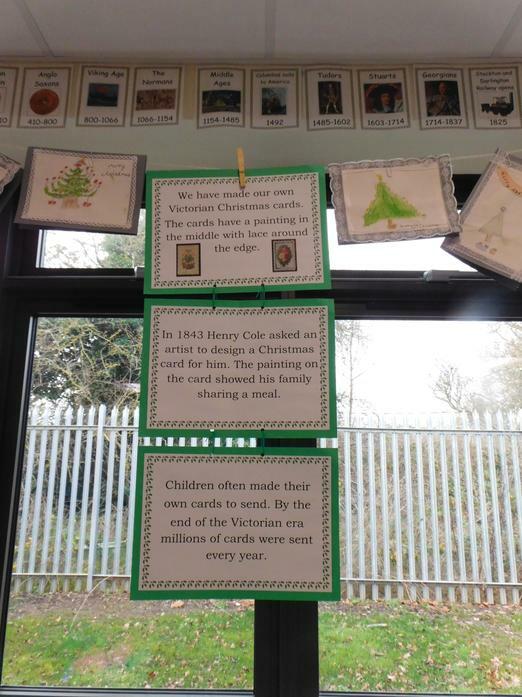 As part of English and History the children have been researching 'Victorian Christmas' information. 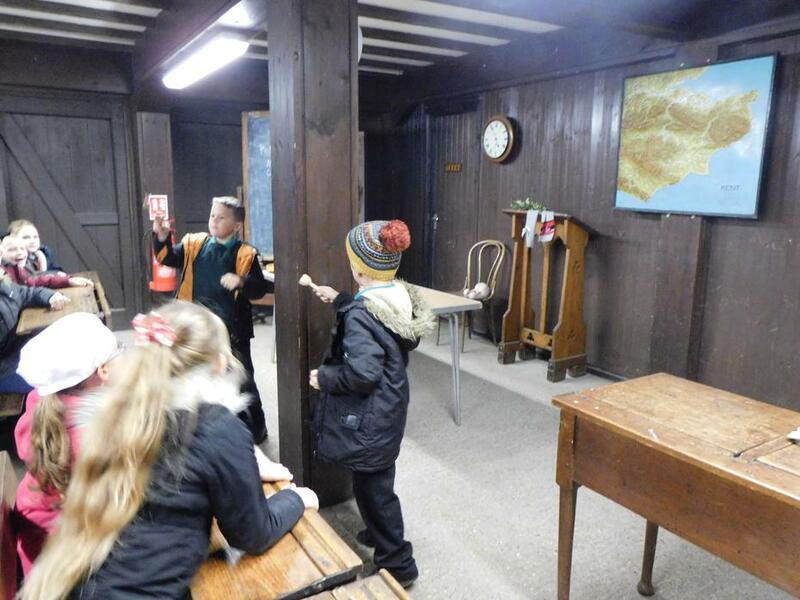 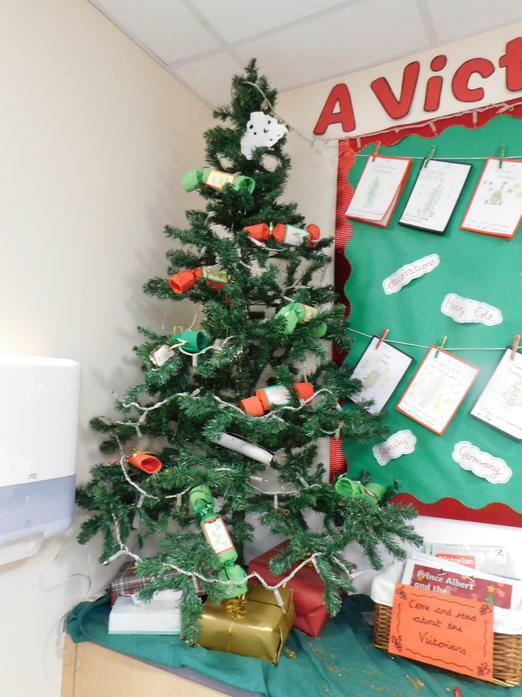 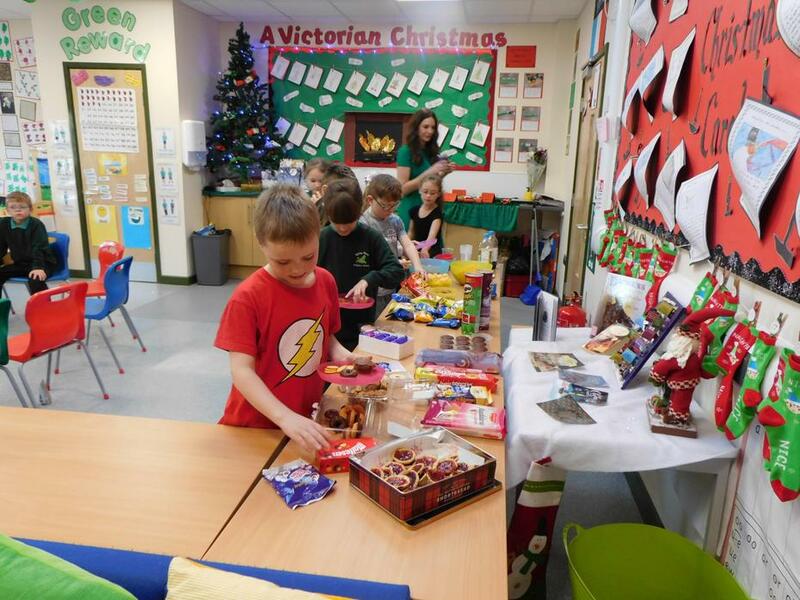 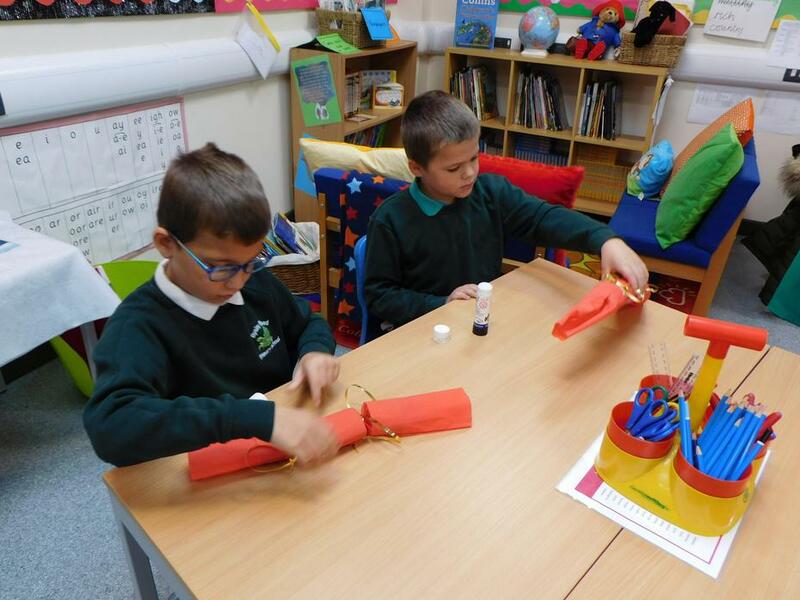 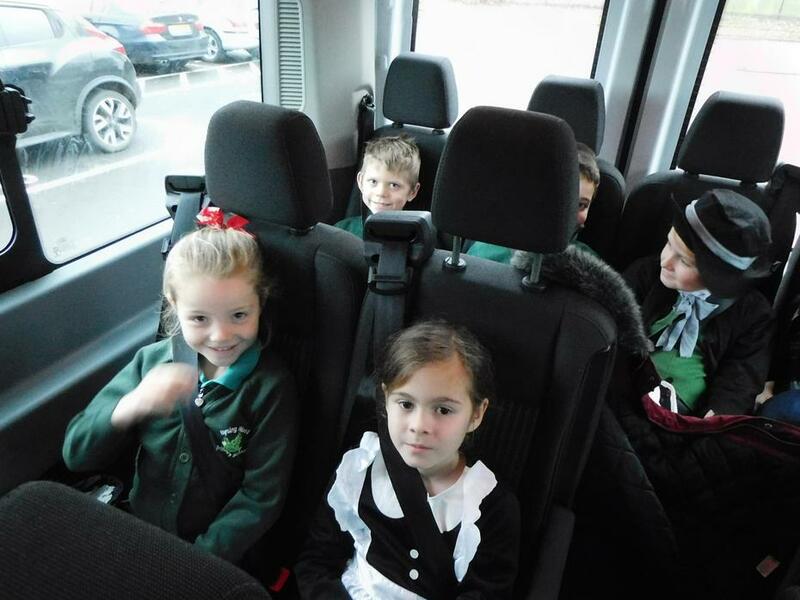 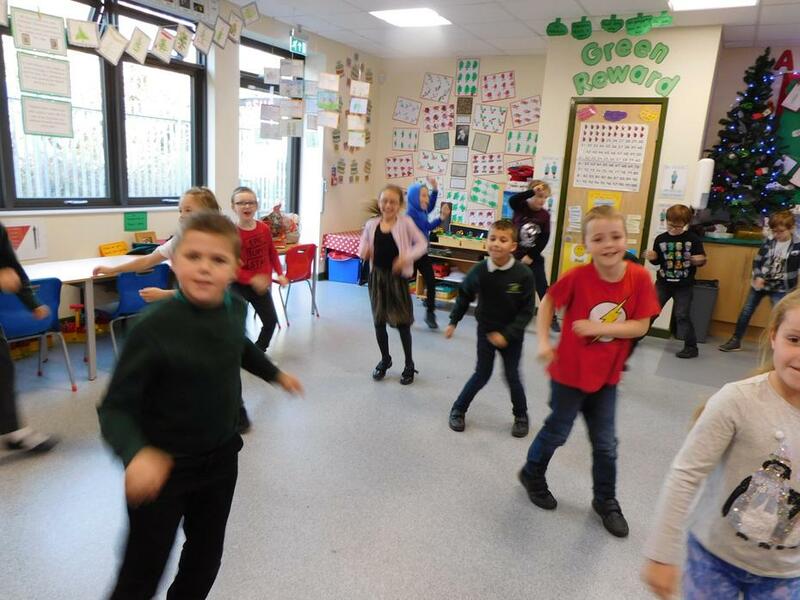 They have found out about Victorian traditions such as the Christmas tree, cards, crackers, presents and Father Christmas. 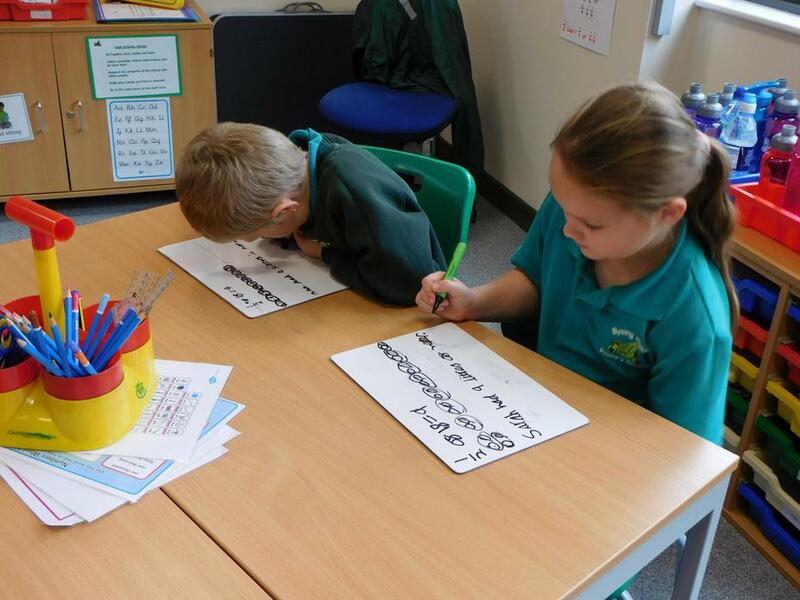 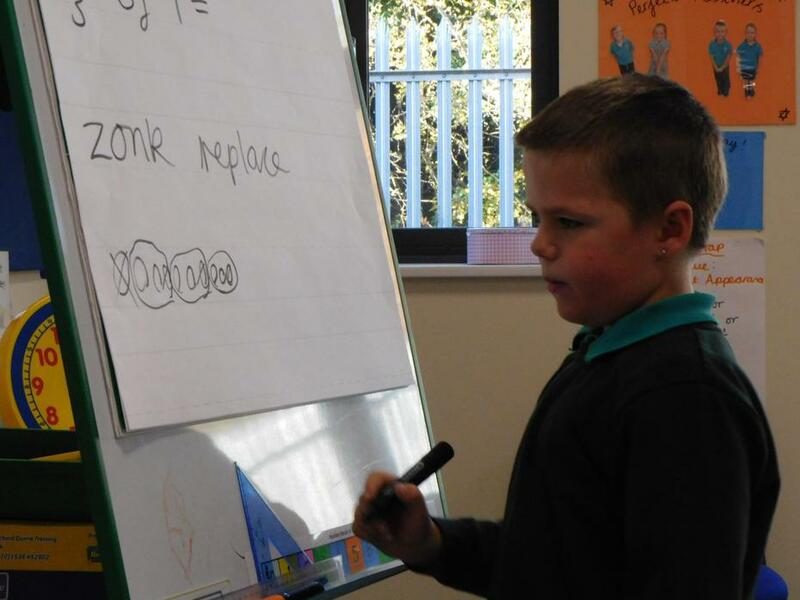 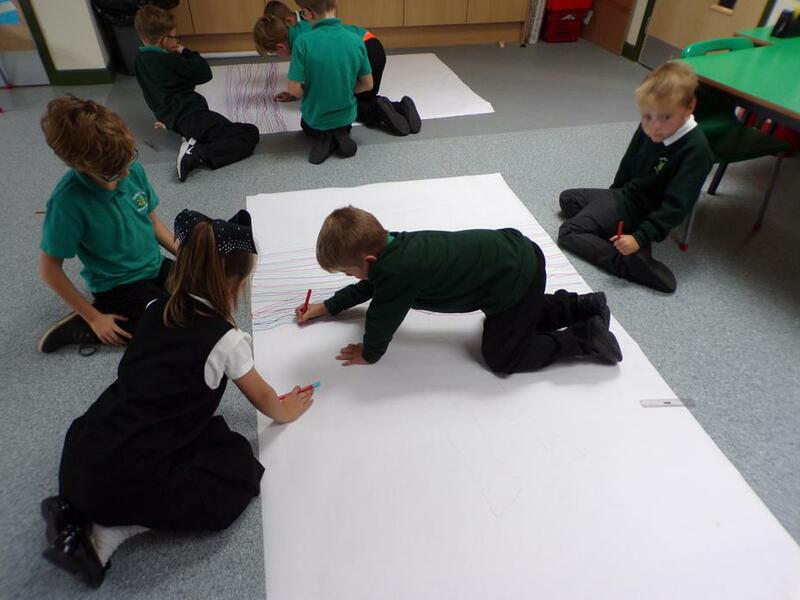 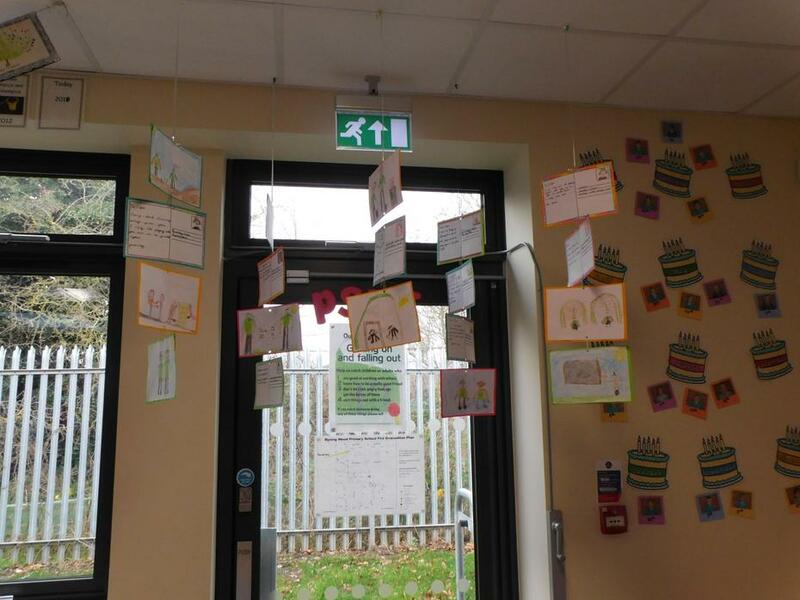 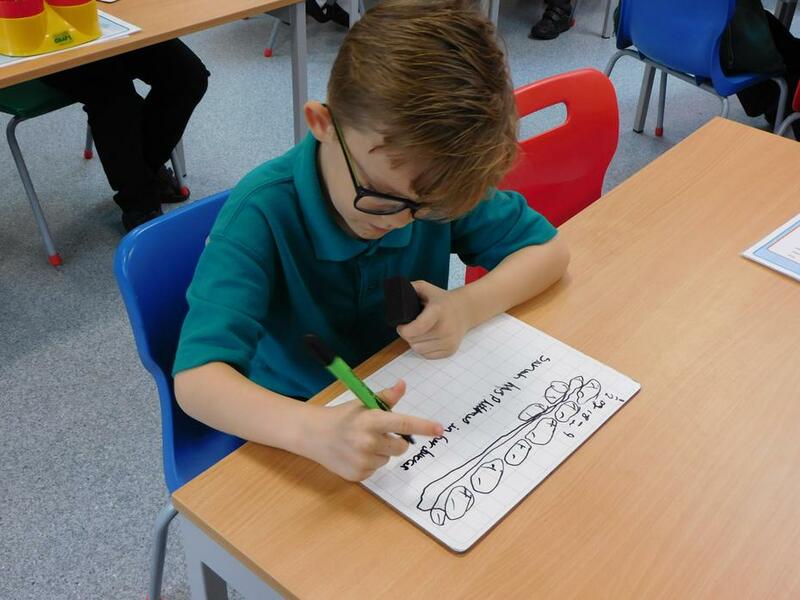 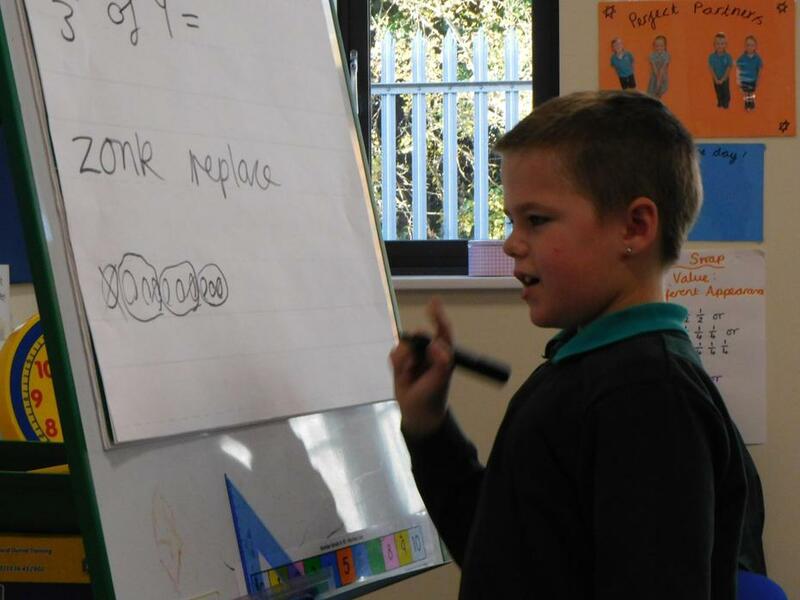 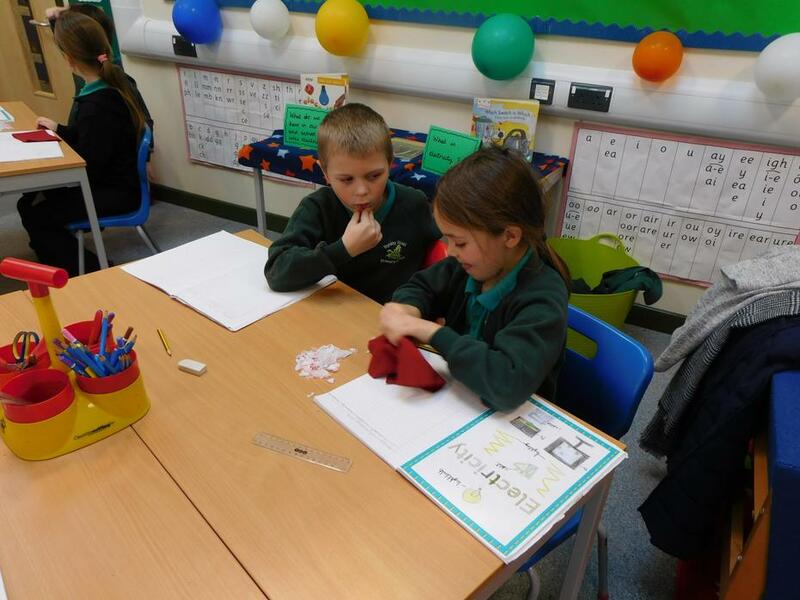 They have used this information to write their own non-fiction book which are now displayed in the classroom. 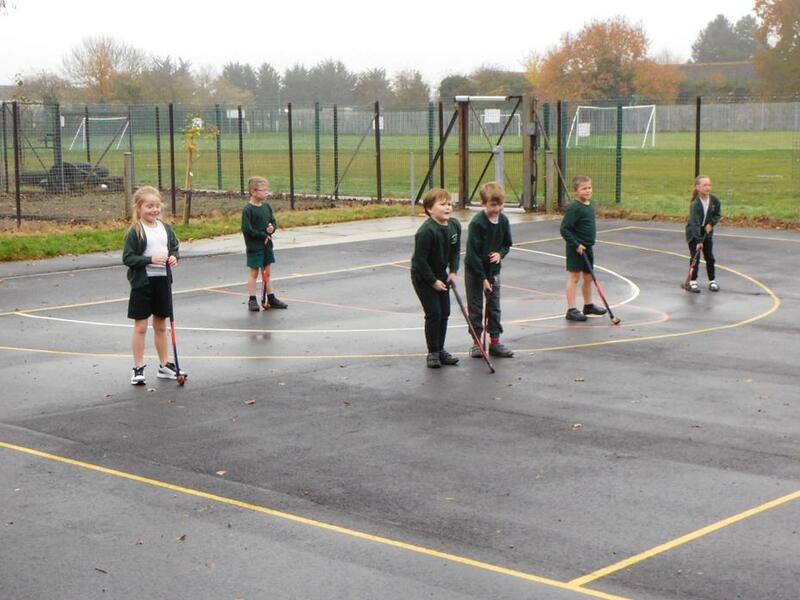 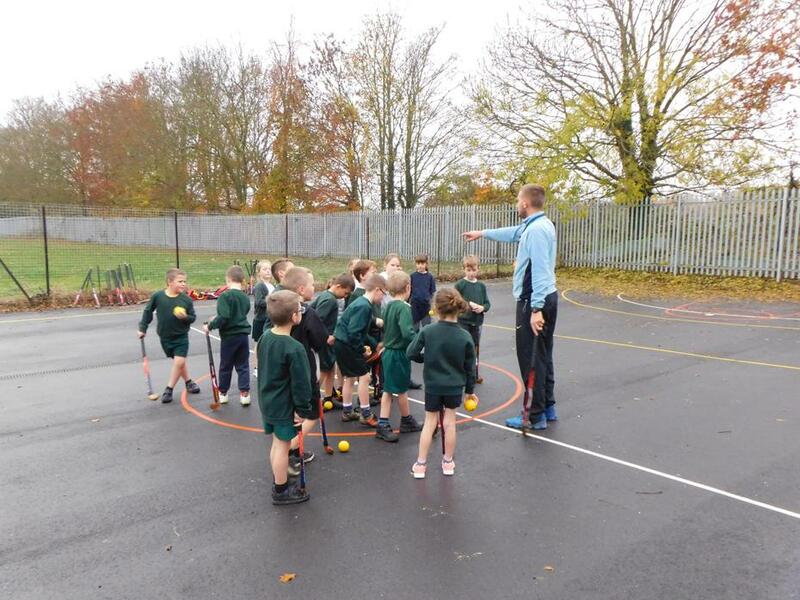 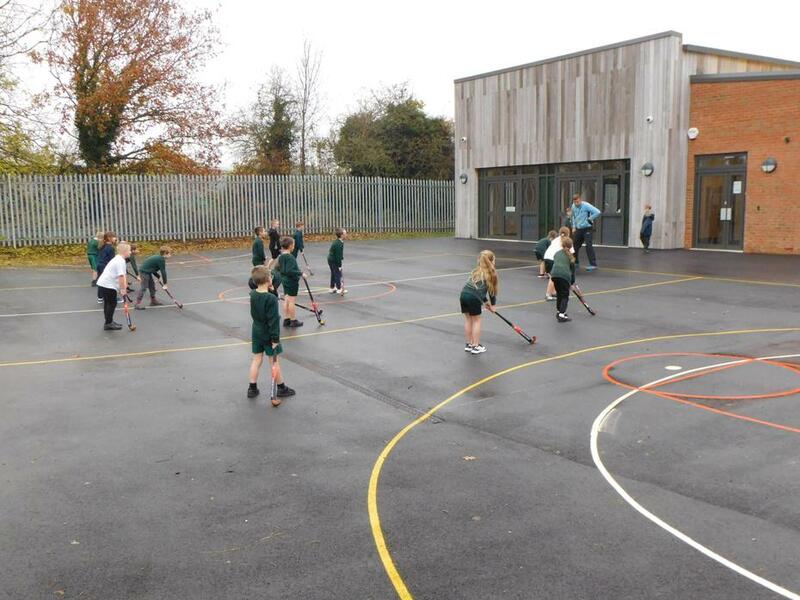 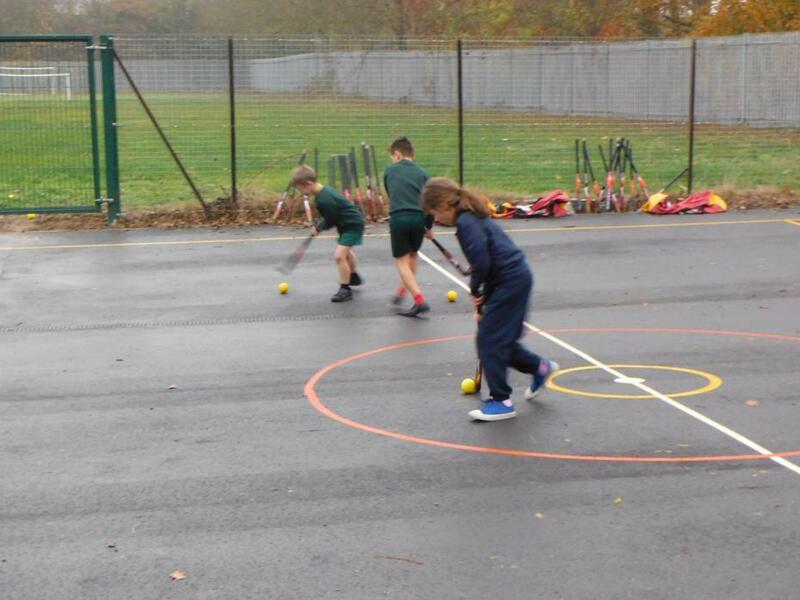 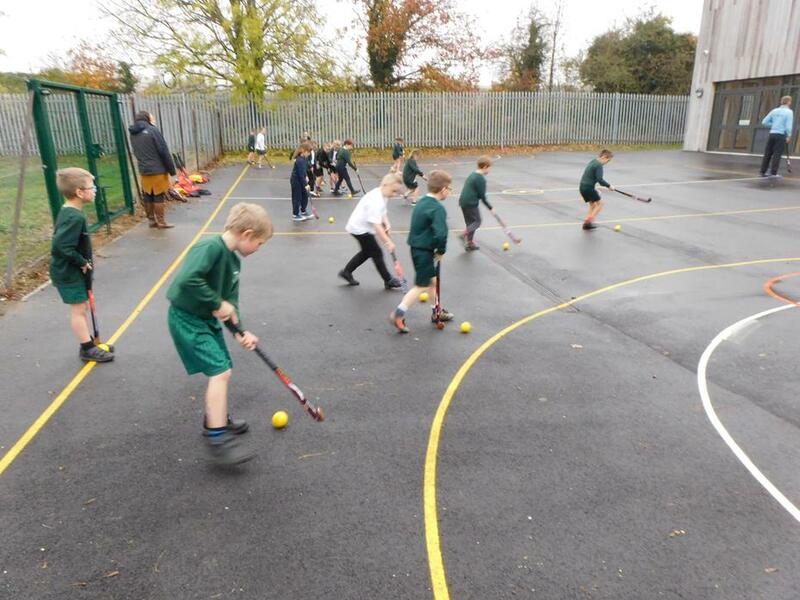 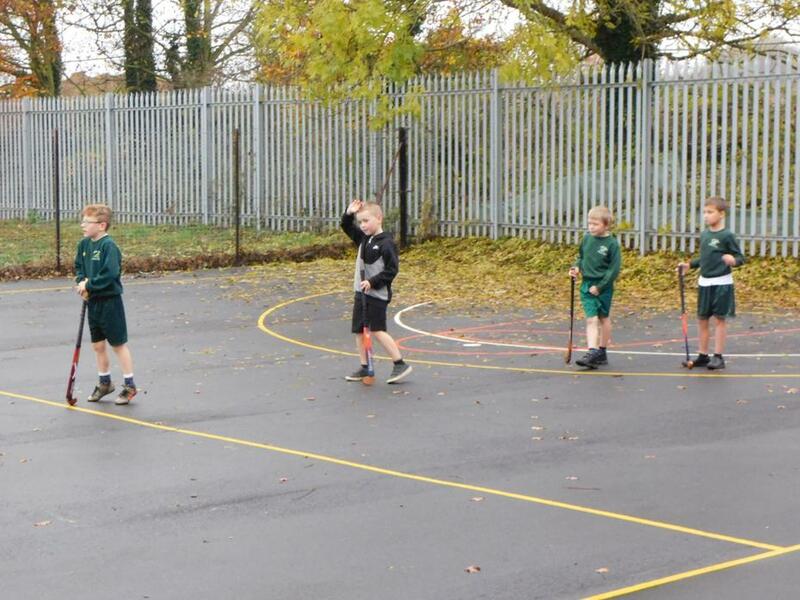 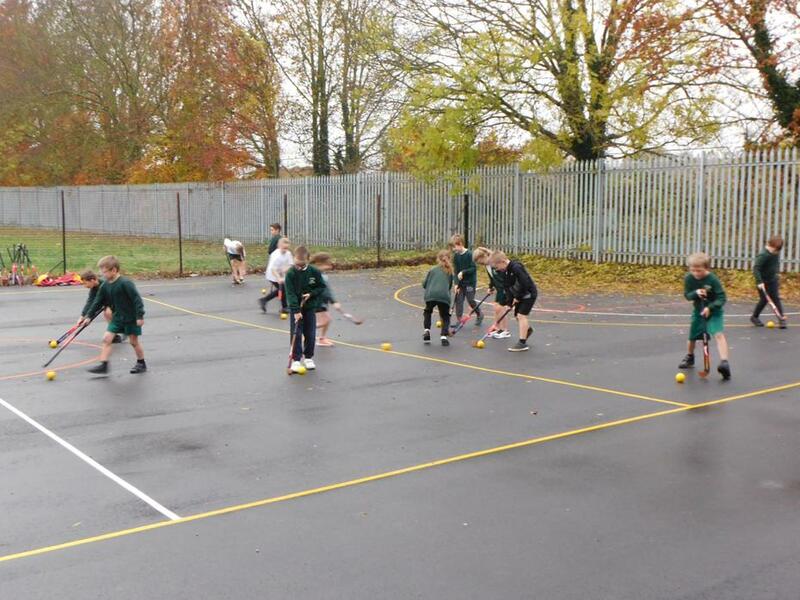 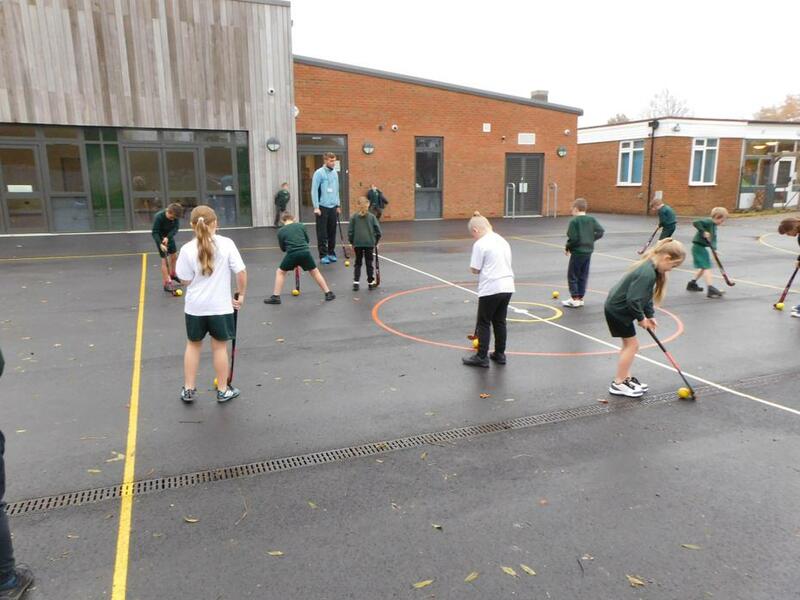 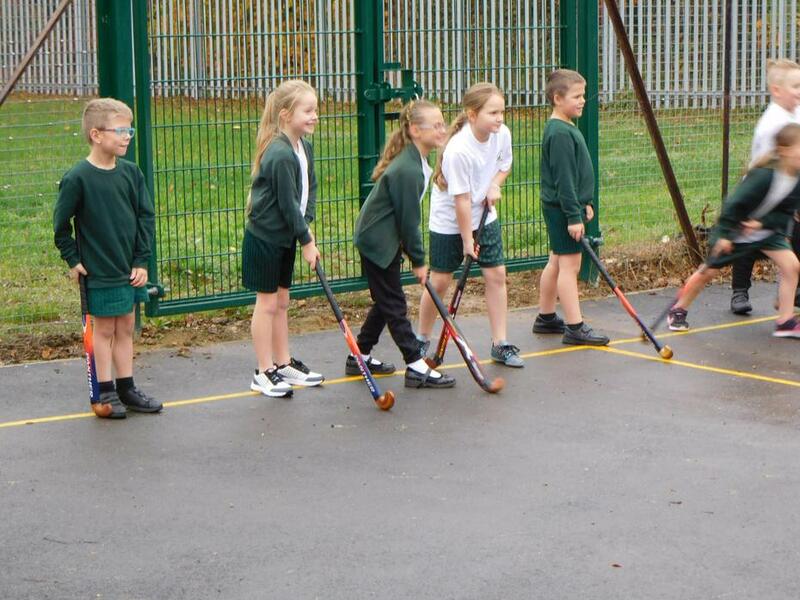 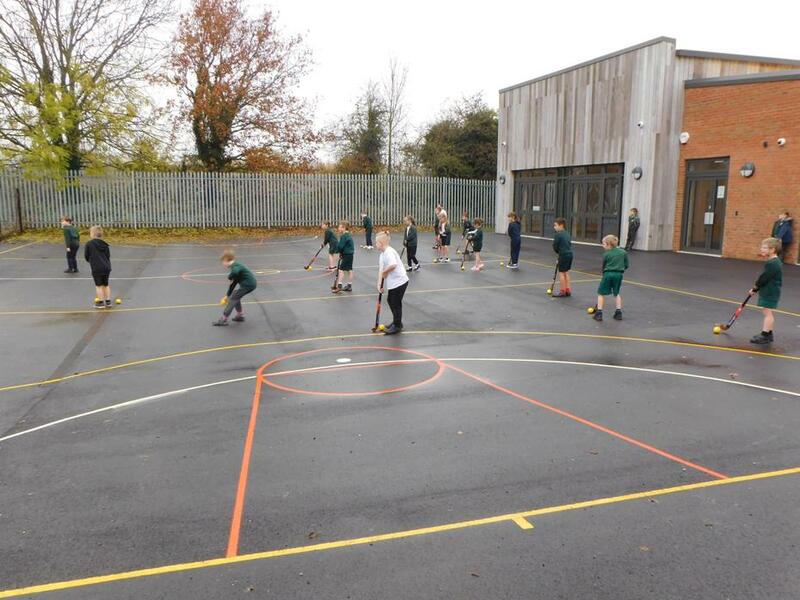 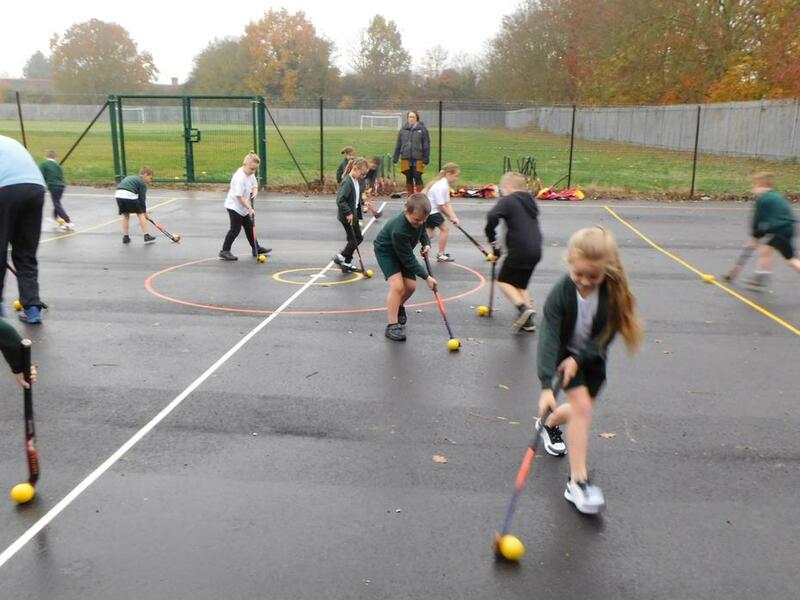 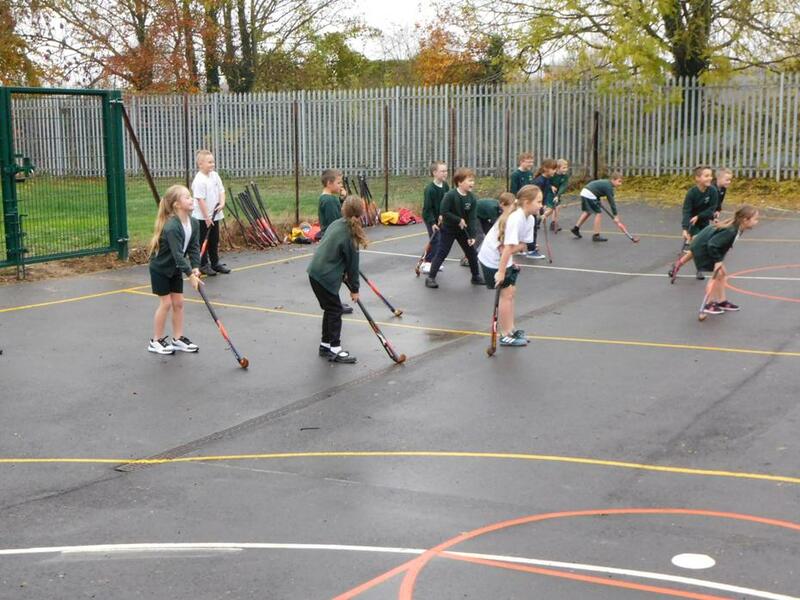 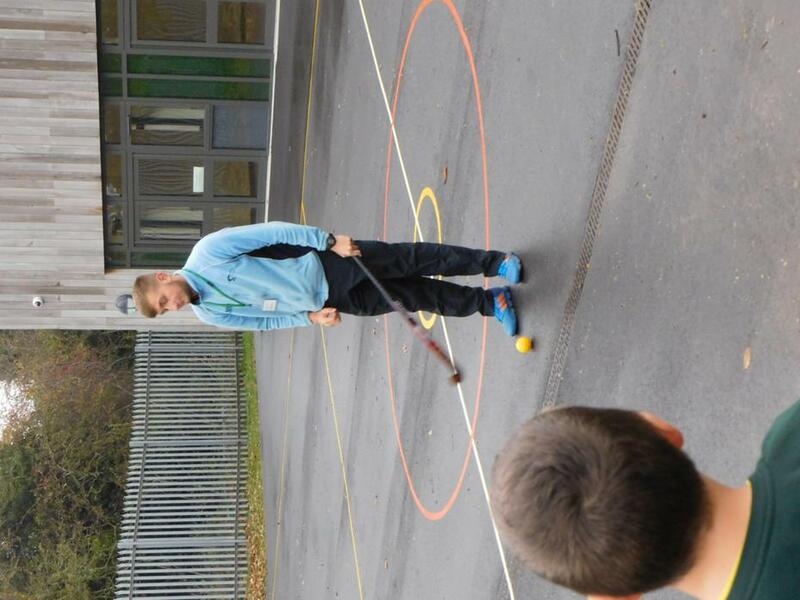 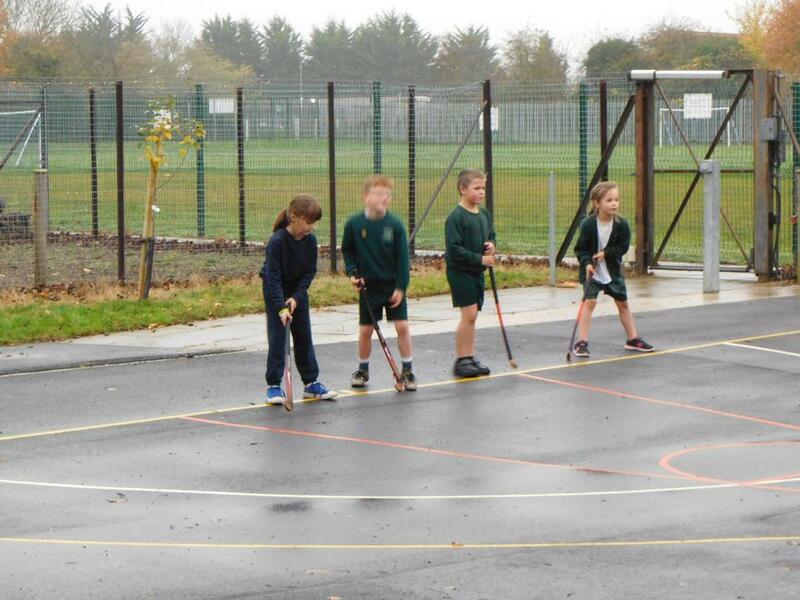 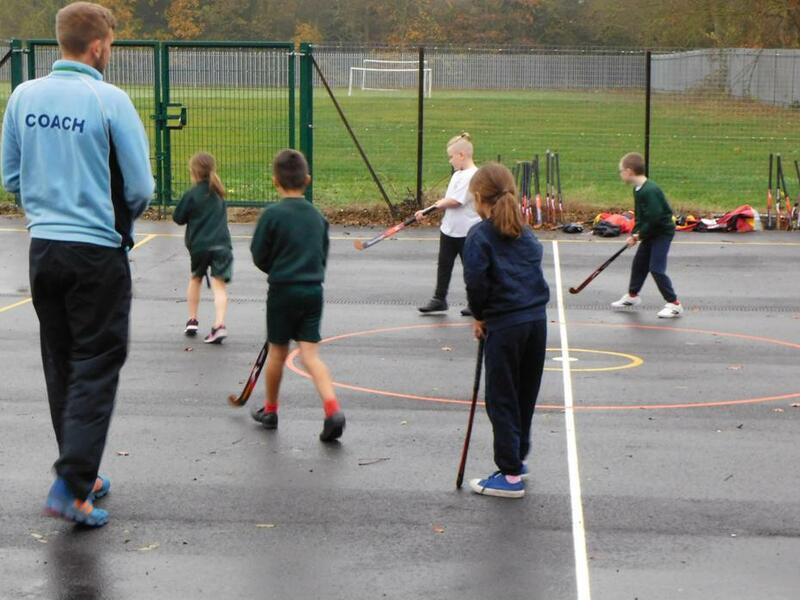 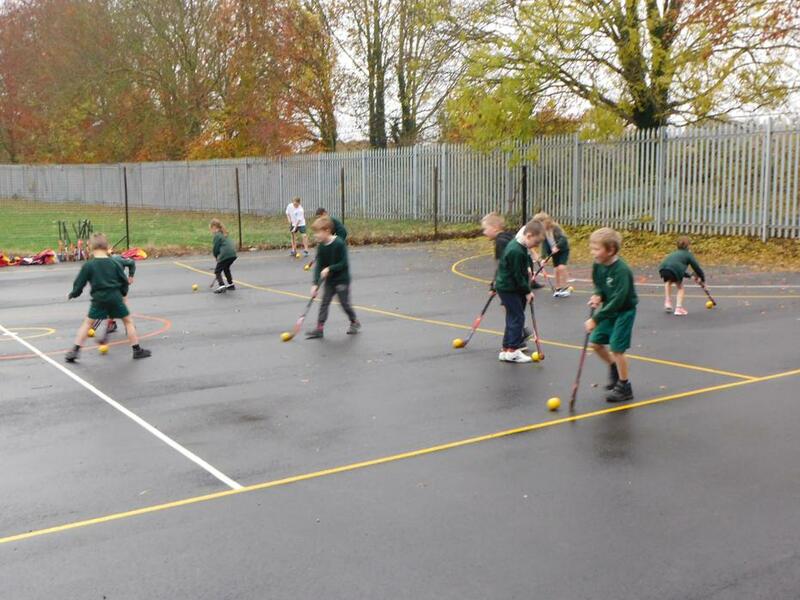 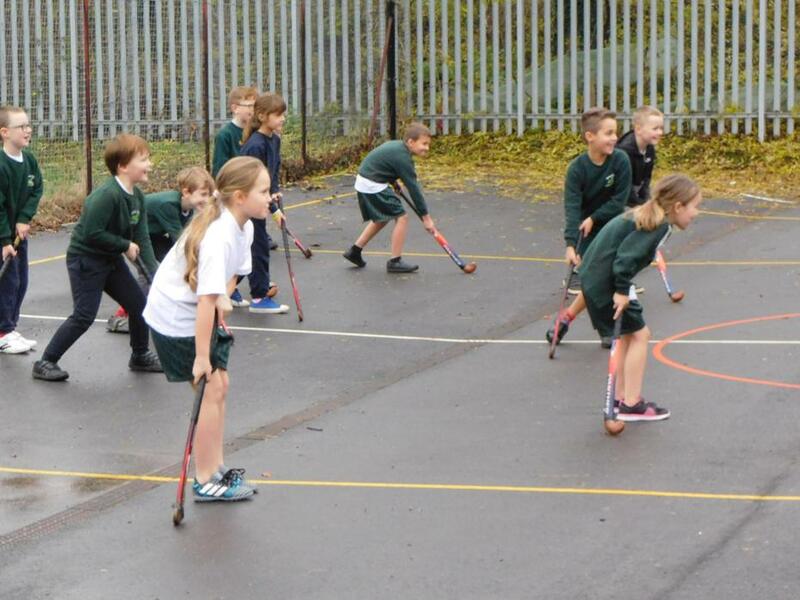 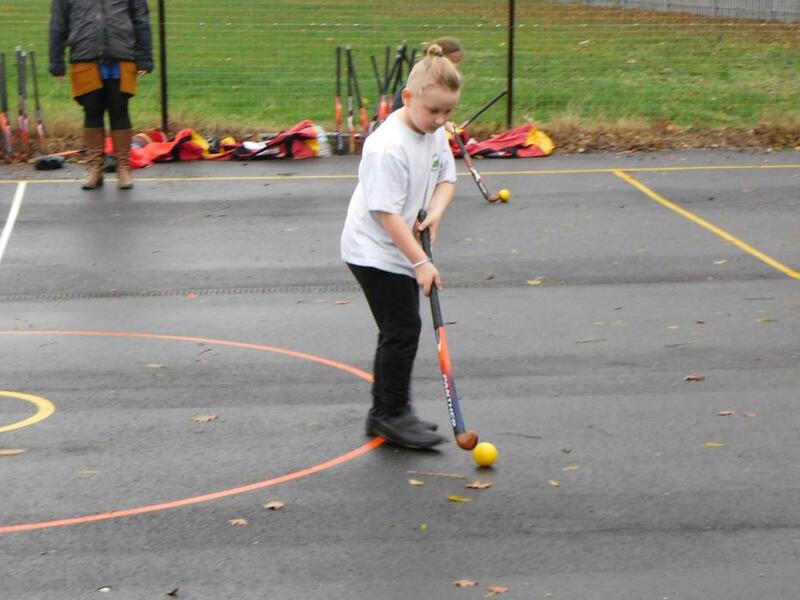 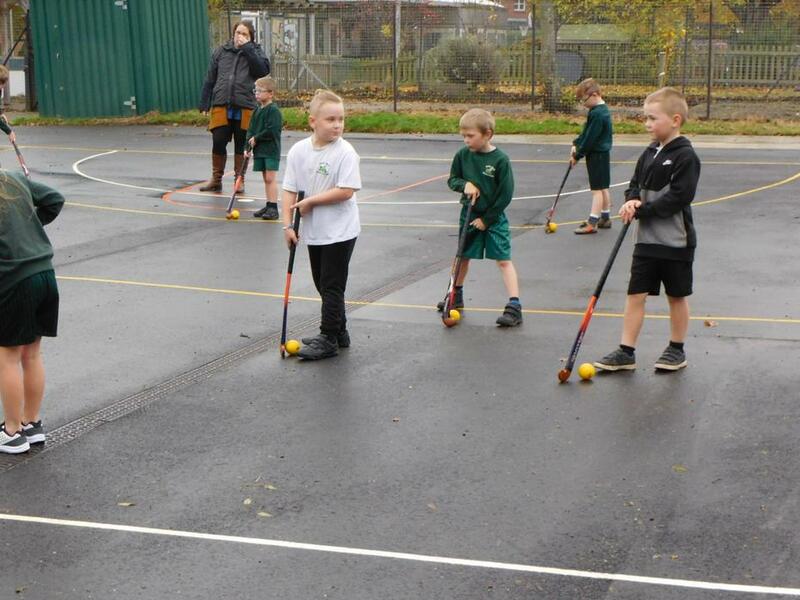 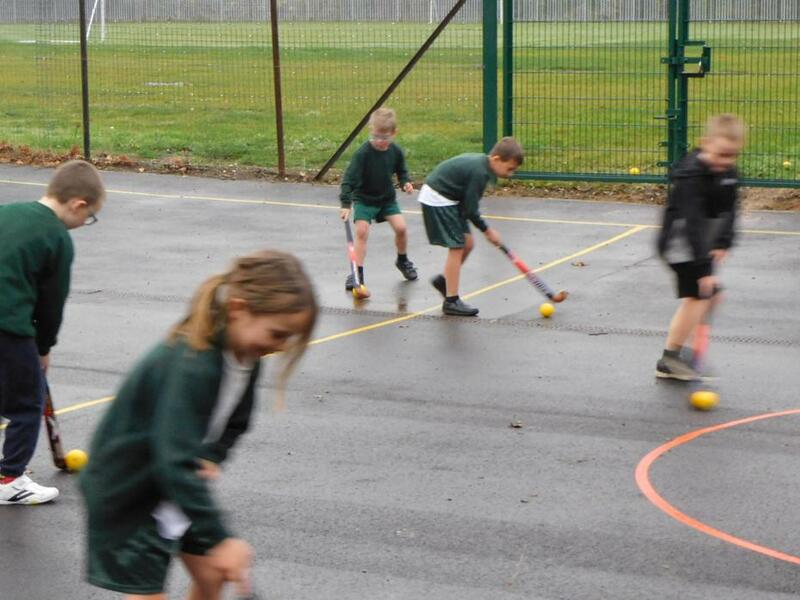 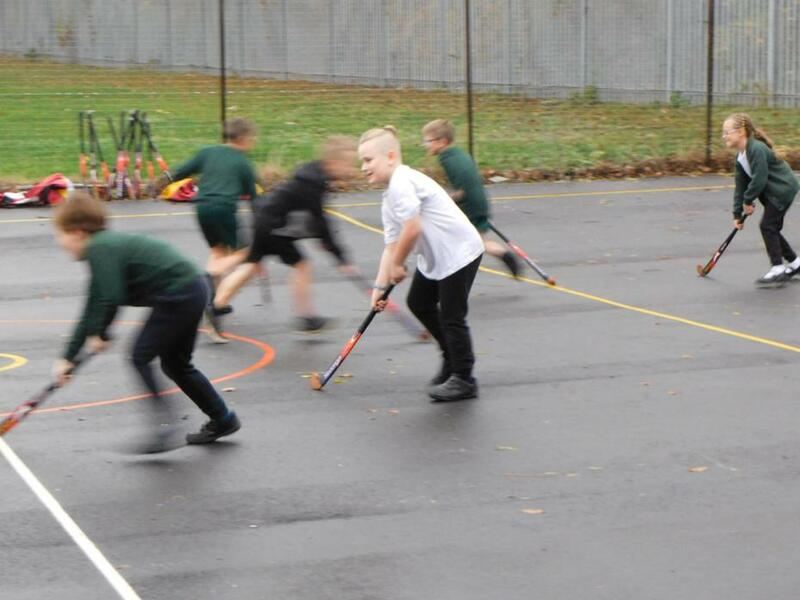 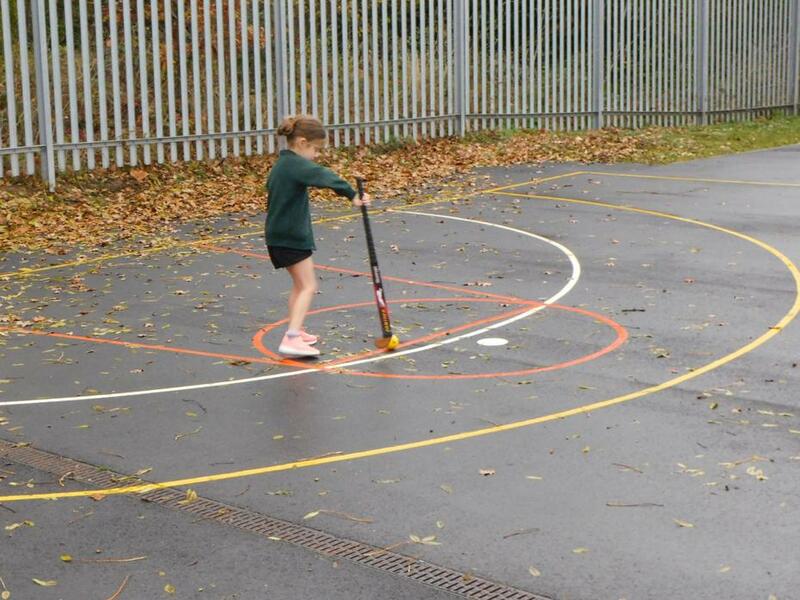 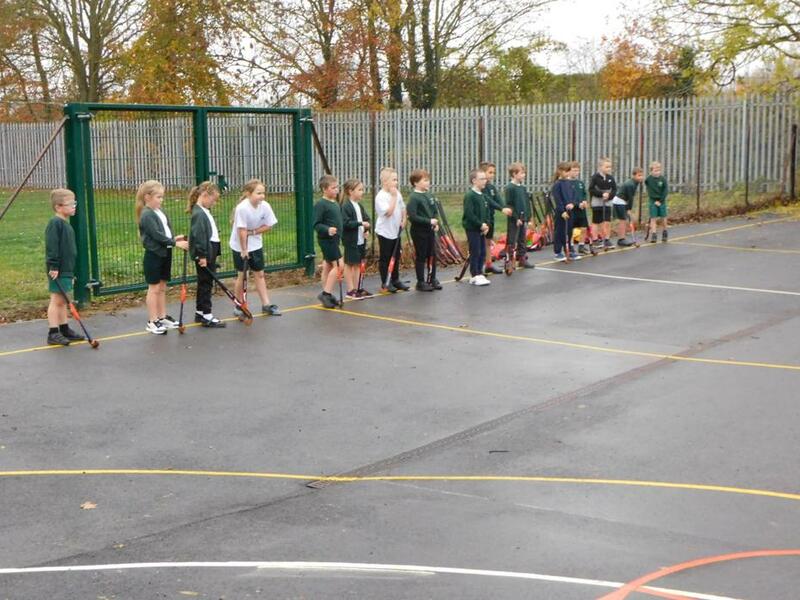 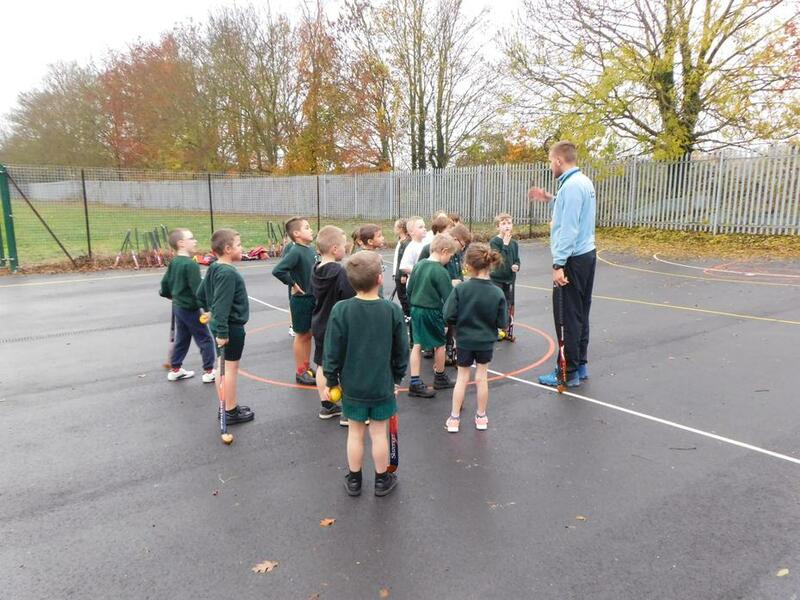 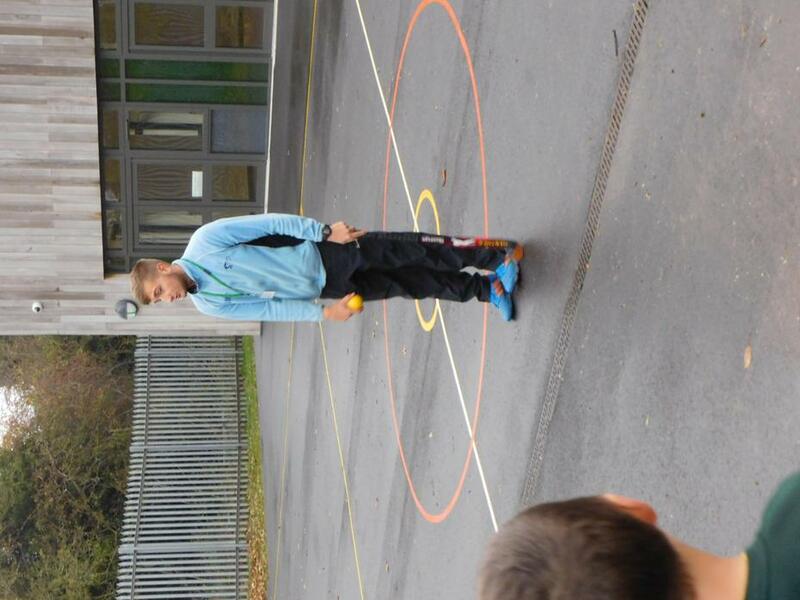 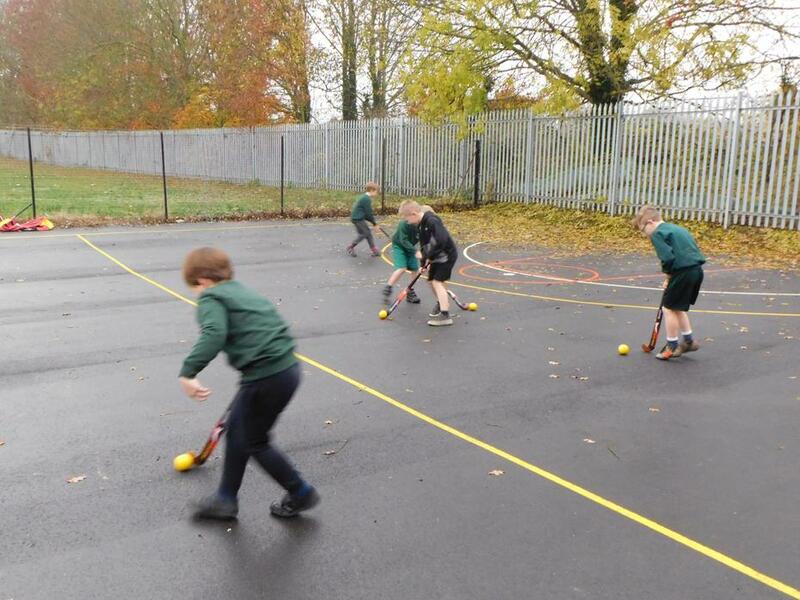 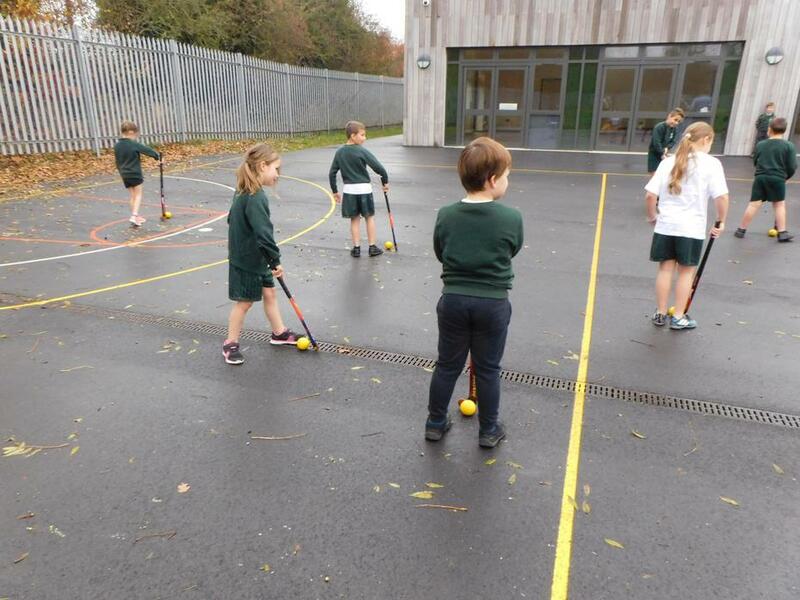 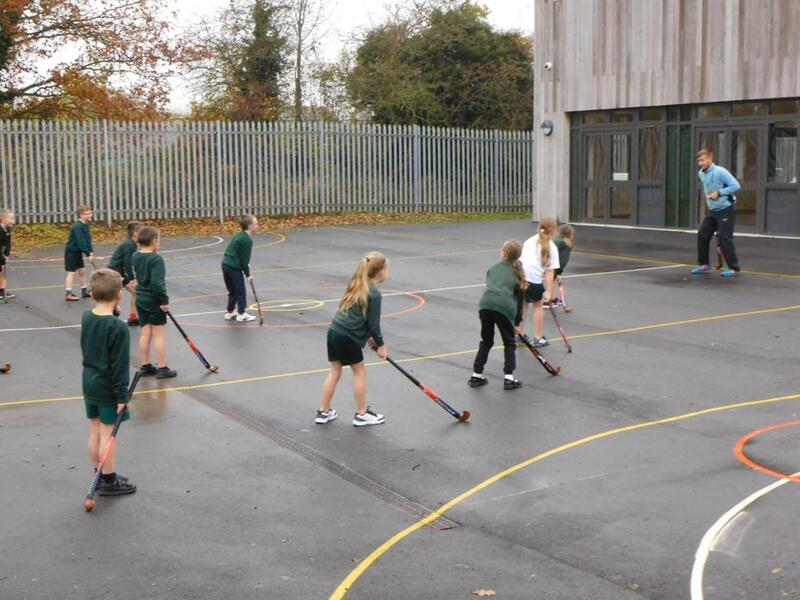 Hockey lesson with Herne Bay Hockey Club. 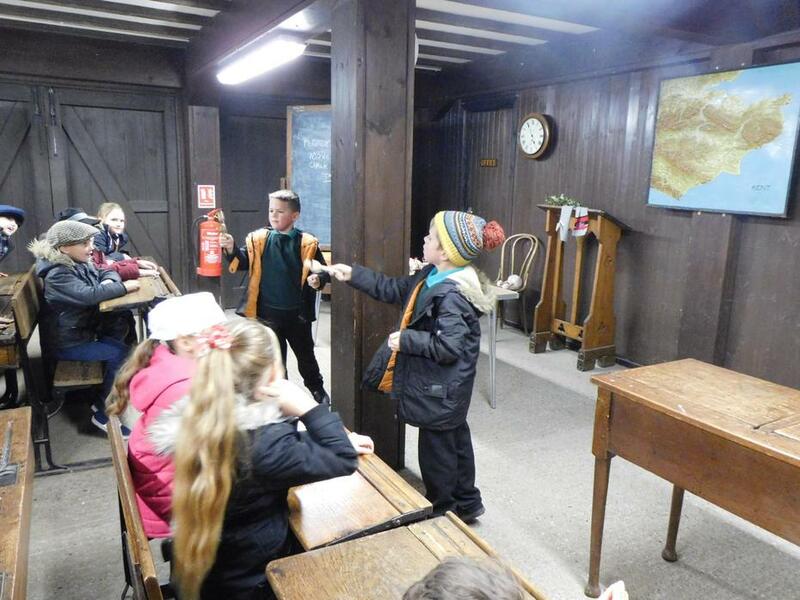 Welcome to Bramley Class. 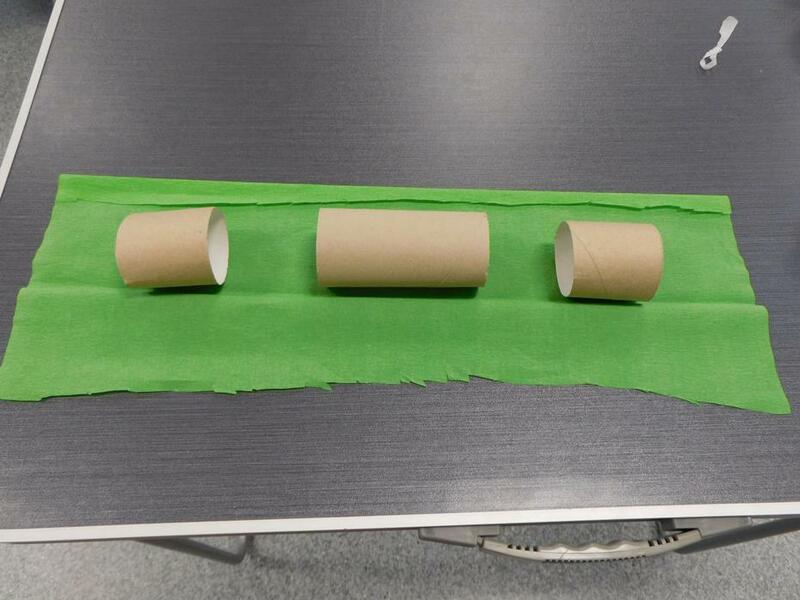 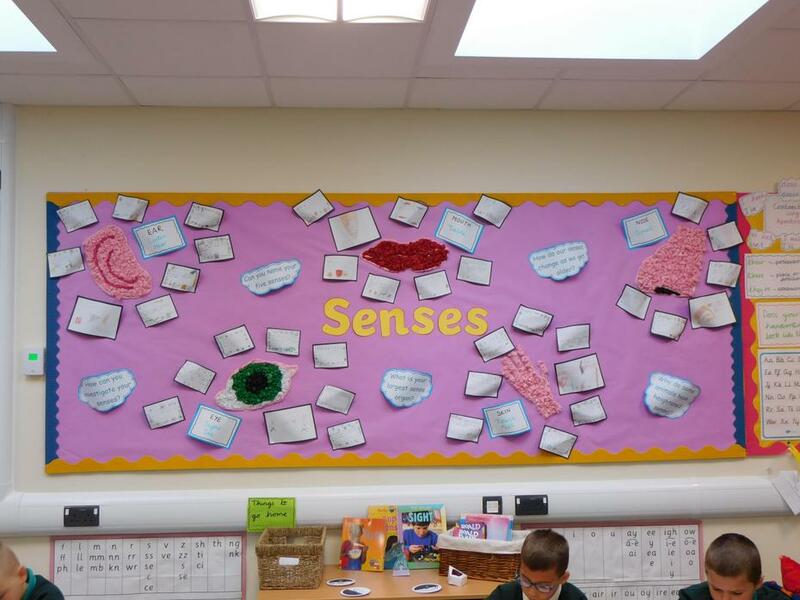 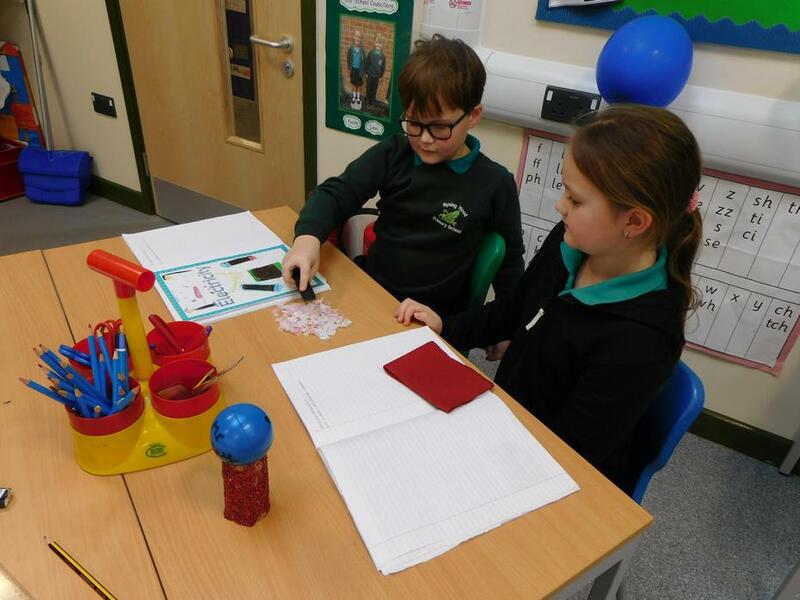 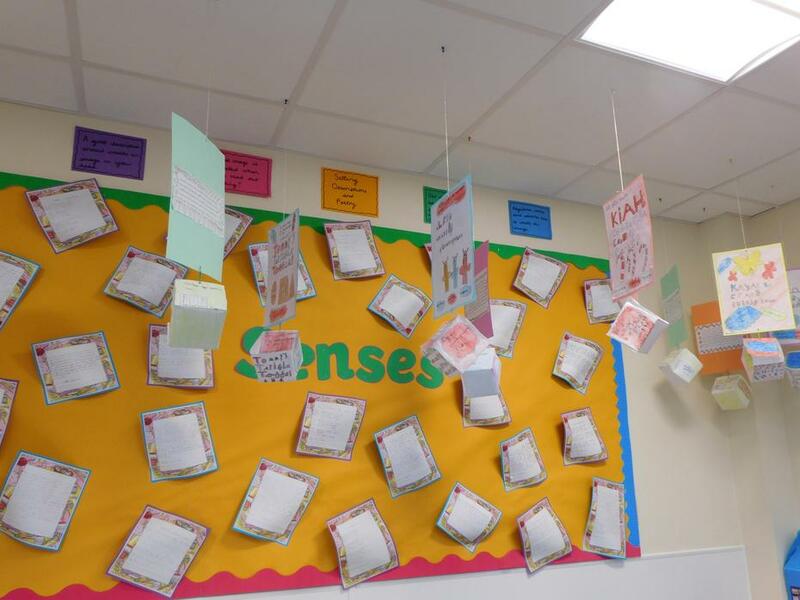 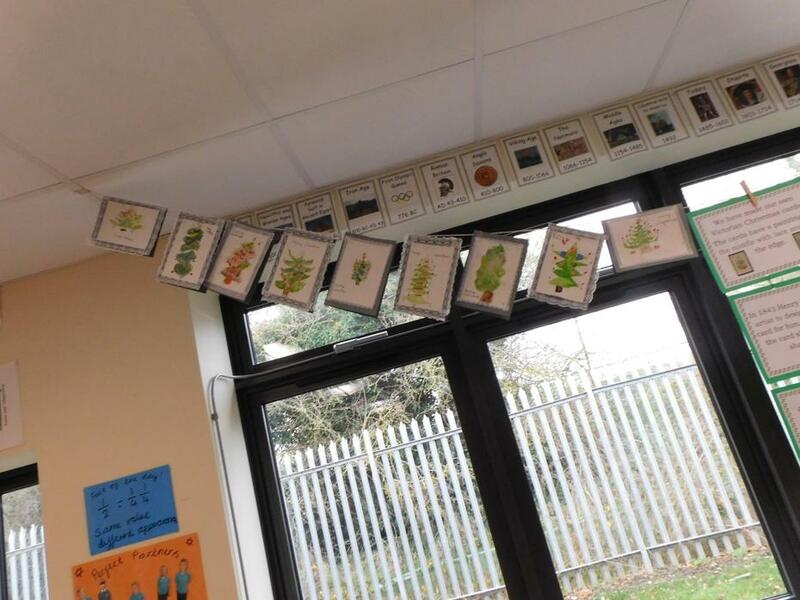 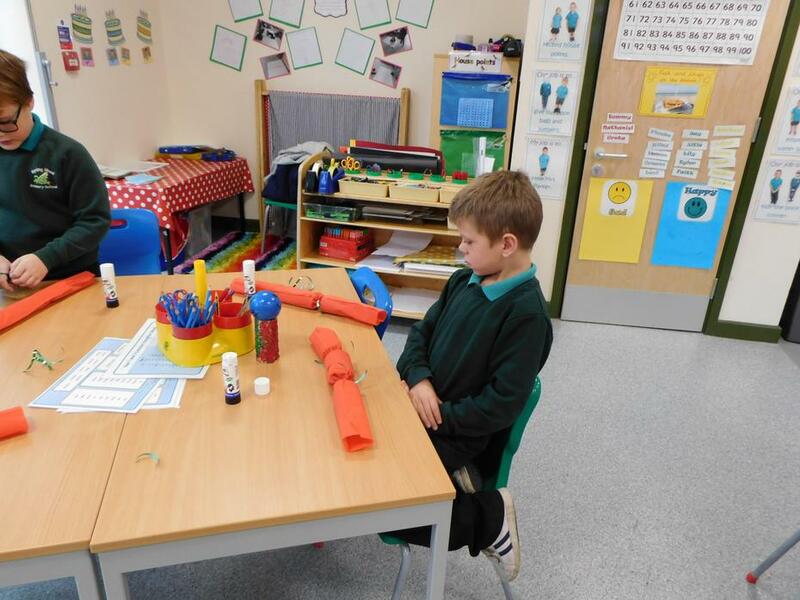 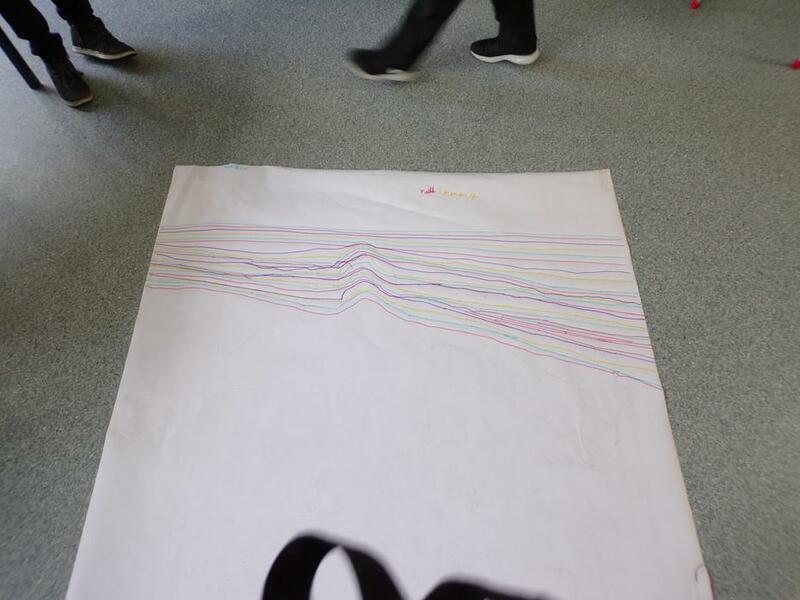 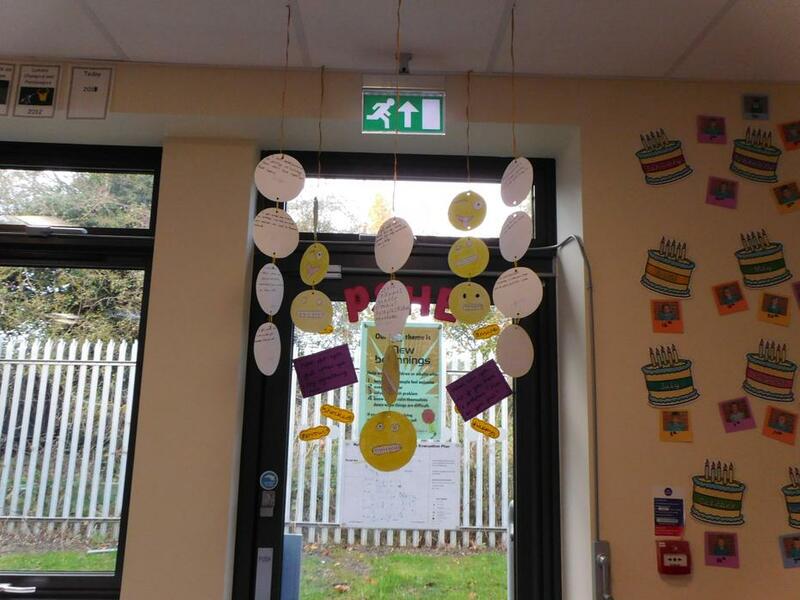 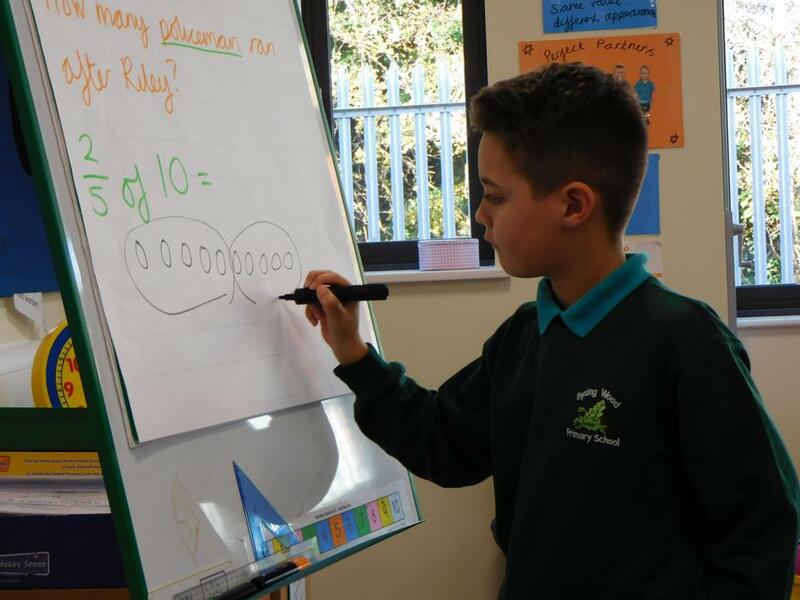 This term the children will be learning through the topic 'Senses'. 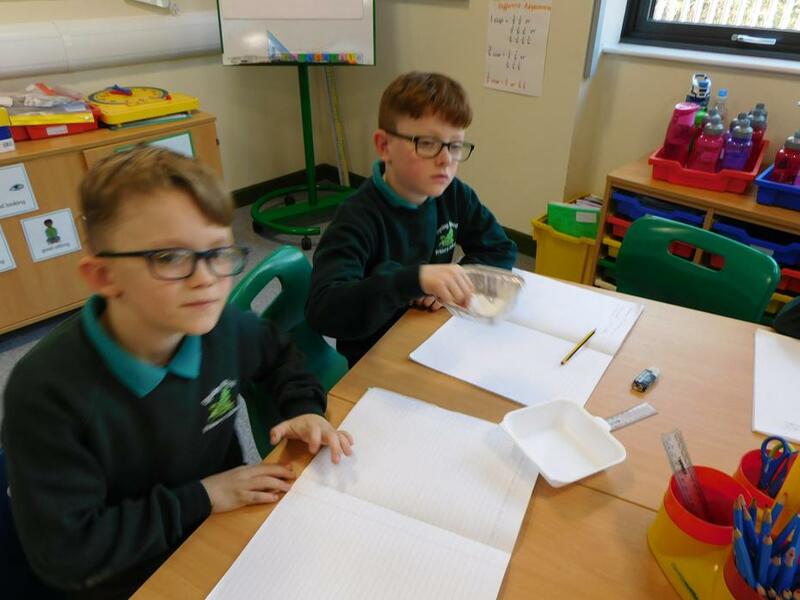 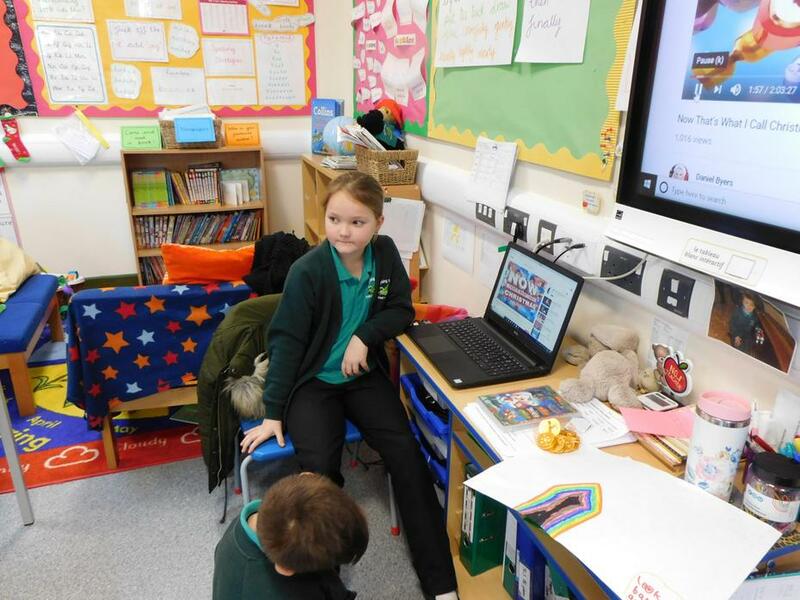 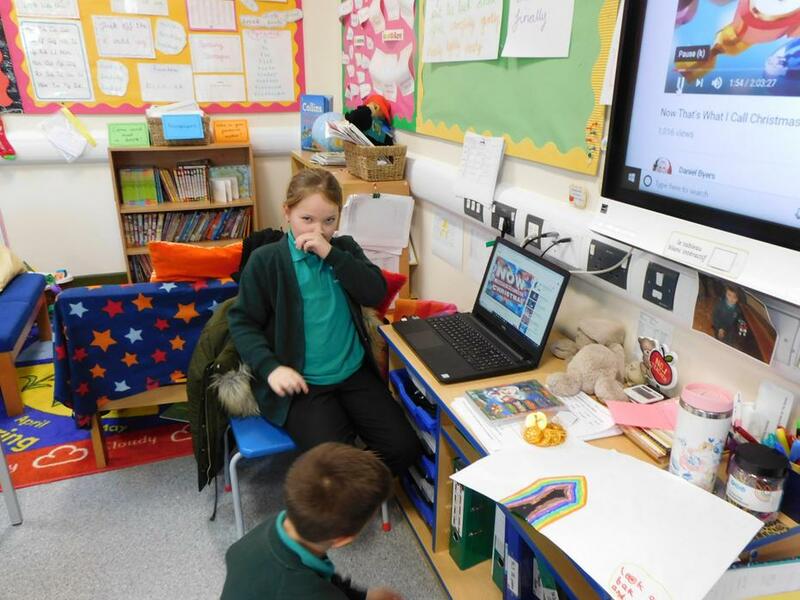 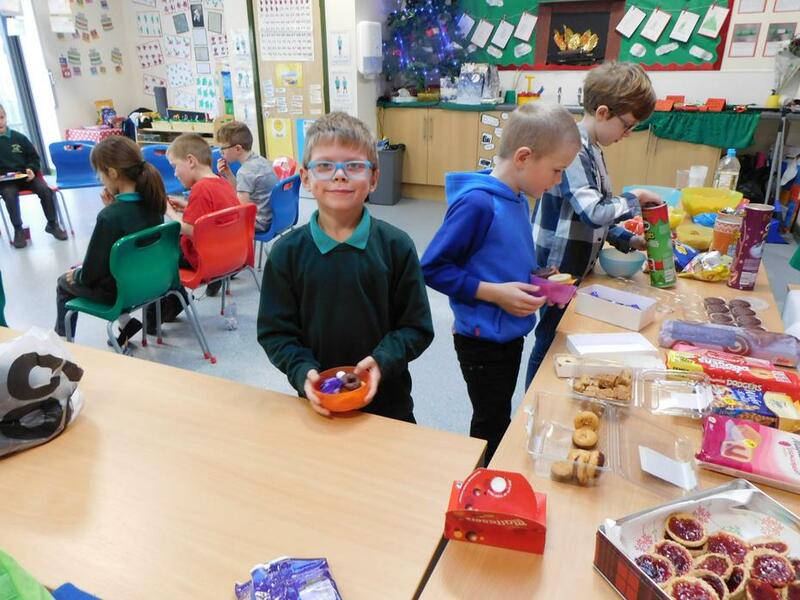 They will be producing creative writing, designing sweets and their packaging and writing adverts to persuade you to buy their sweets. 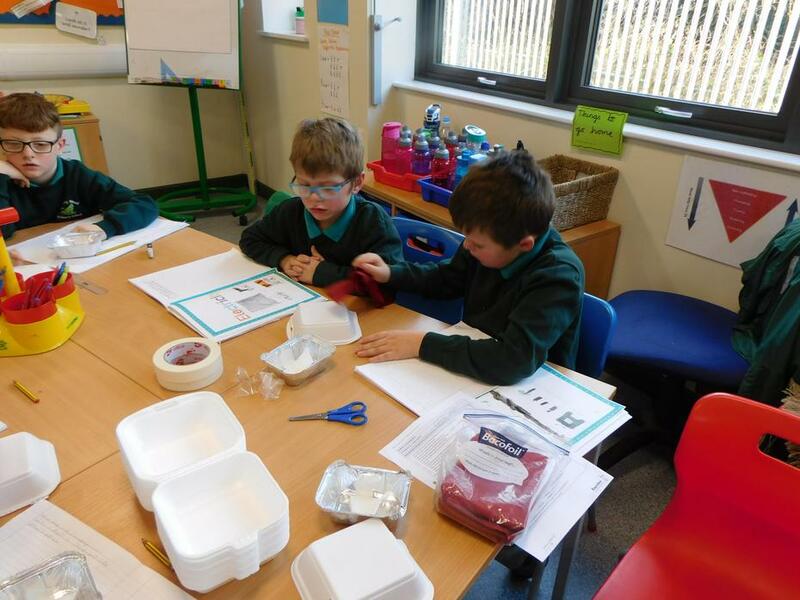 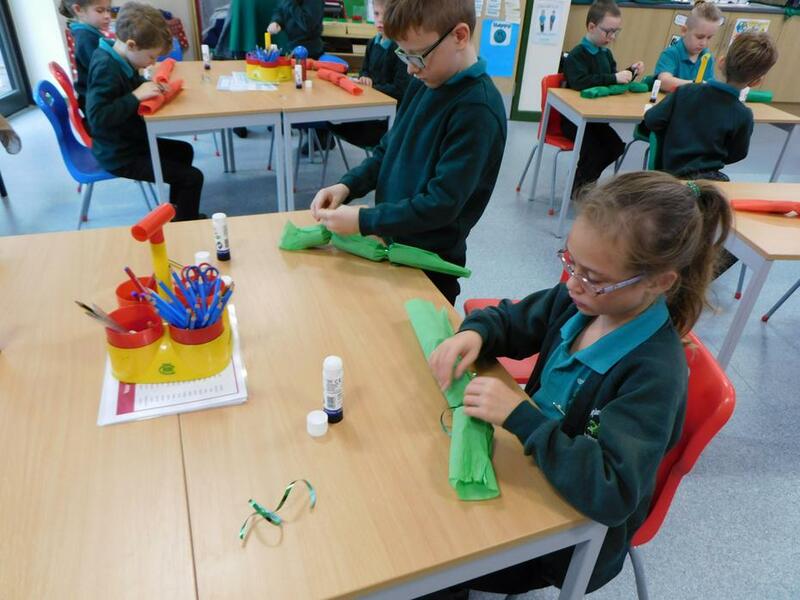 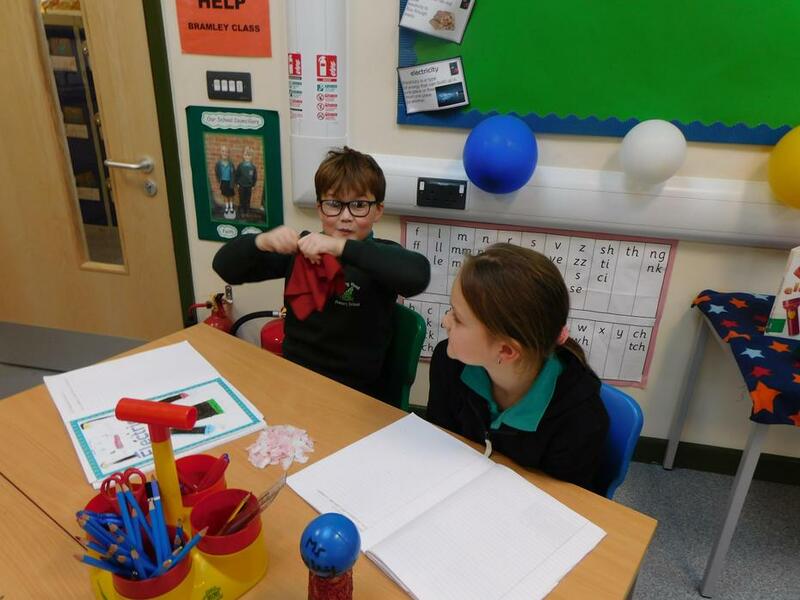 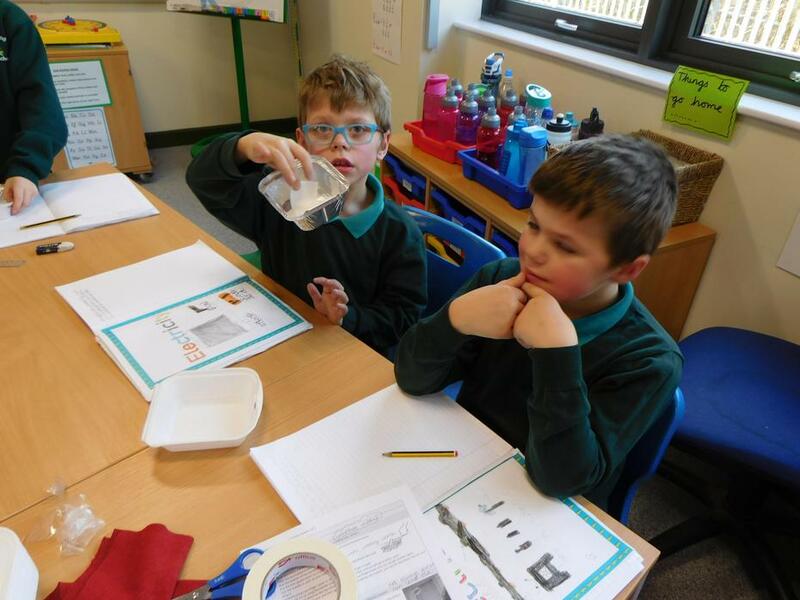 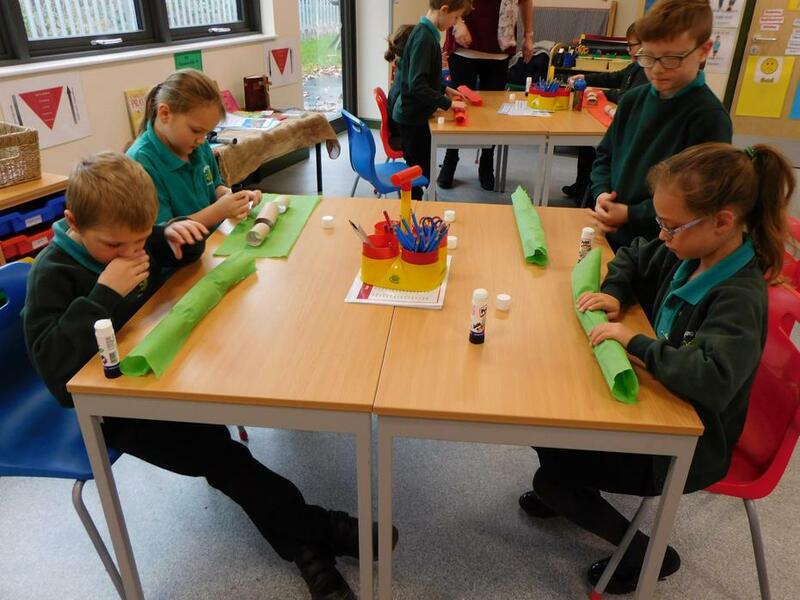 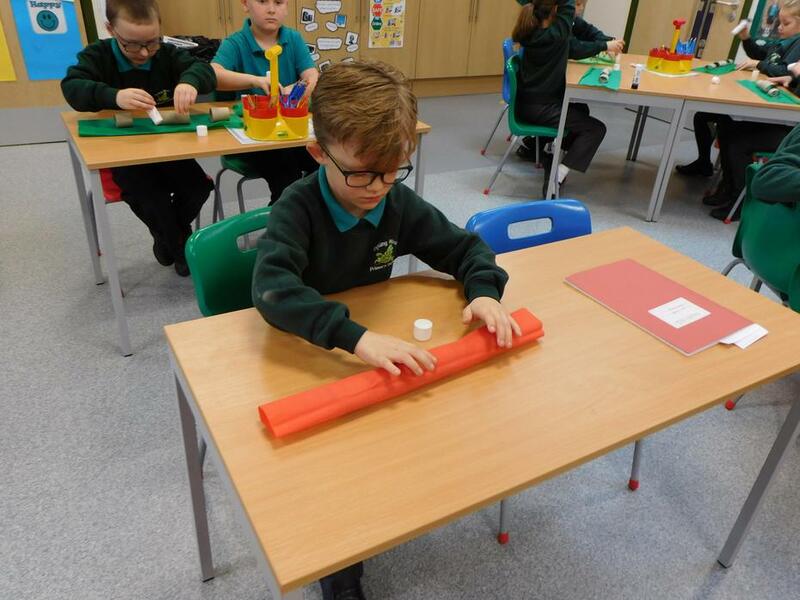 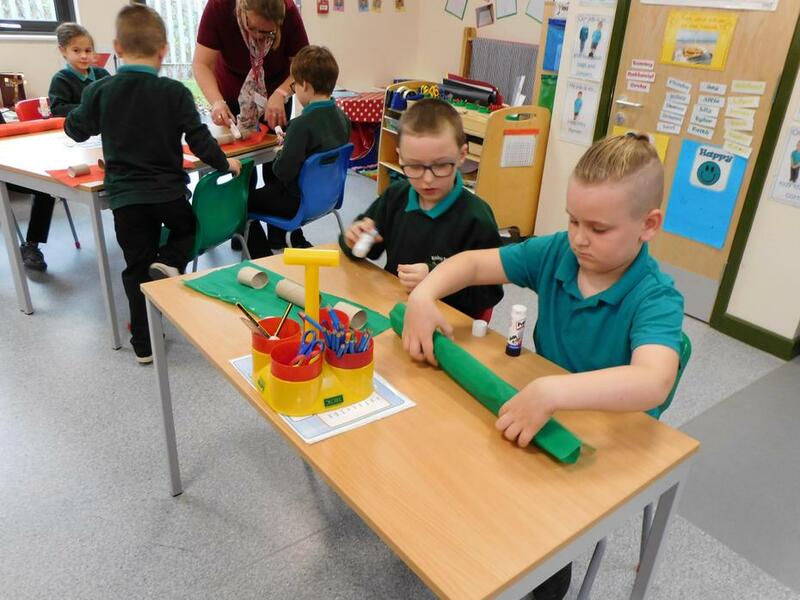 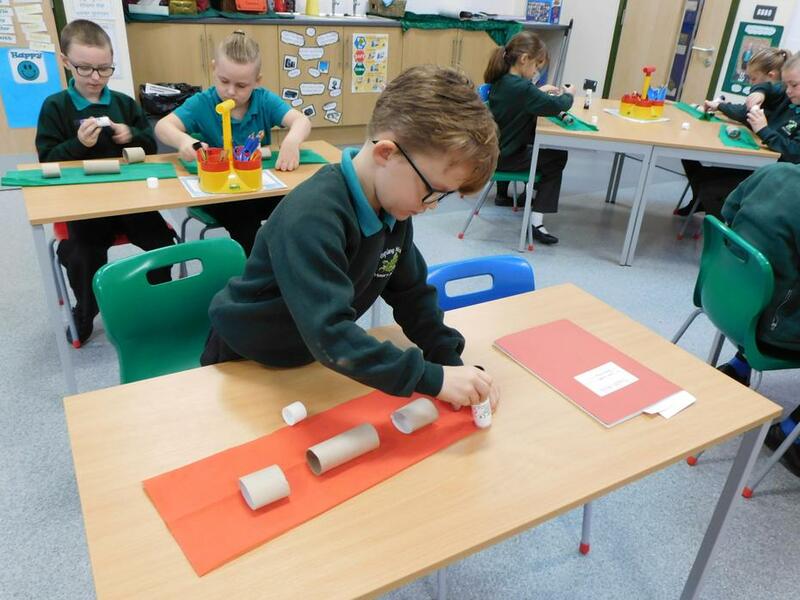 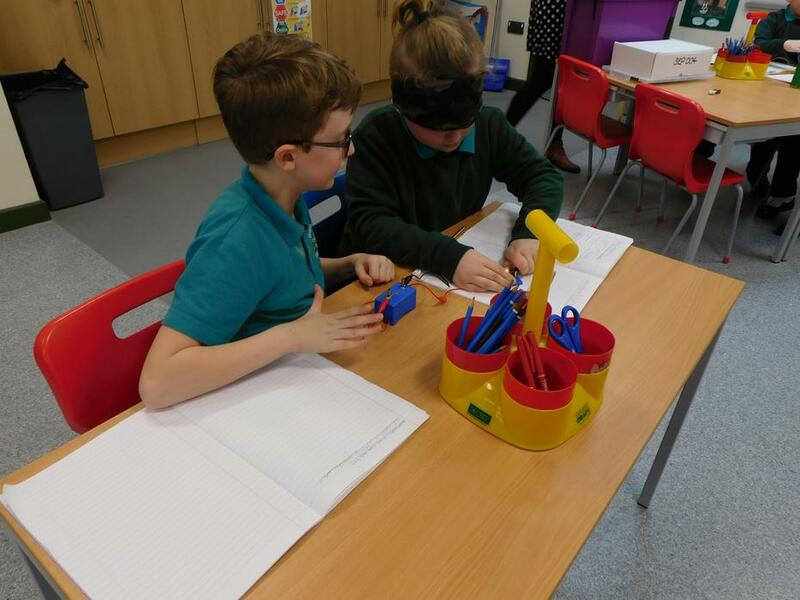 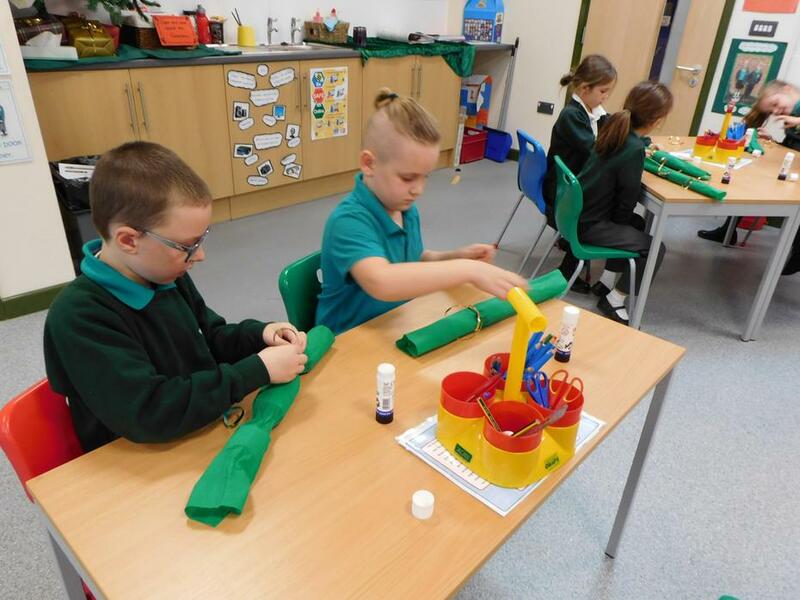 Senses will also be taught through science and the children will have opportunities to explore how we use each of the senses and how they work. 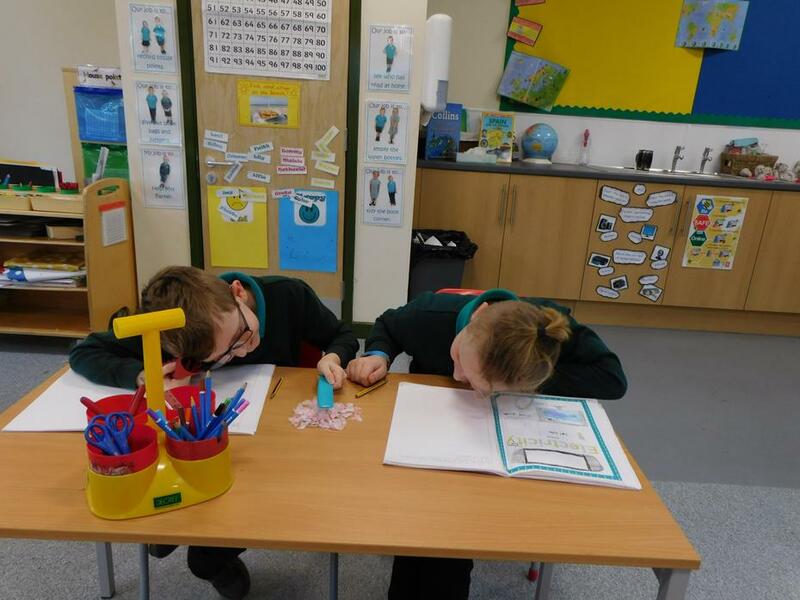 Investigating our sense of taste. 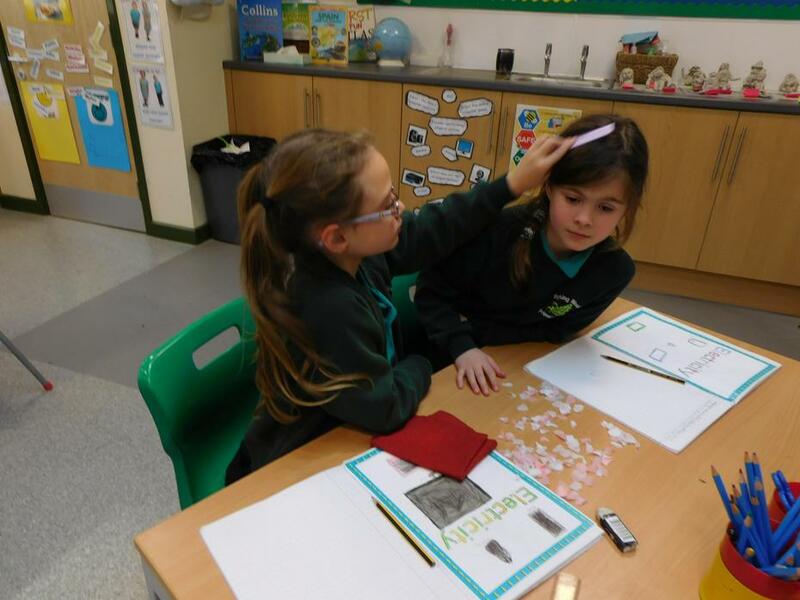 Investigating how how our feeling of touch can deceive us! 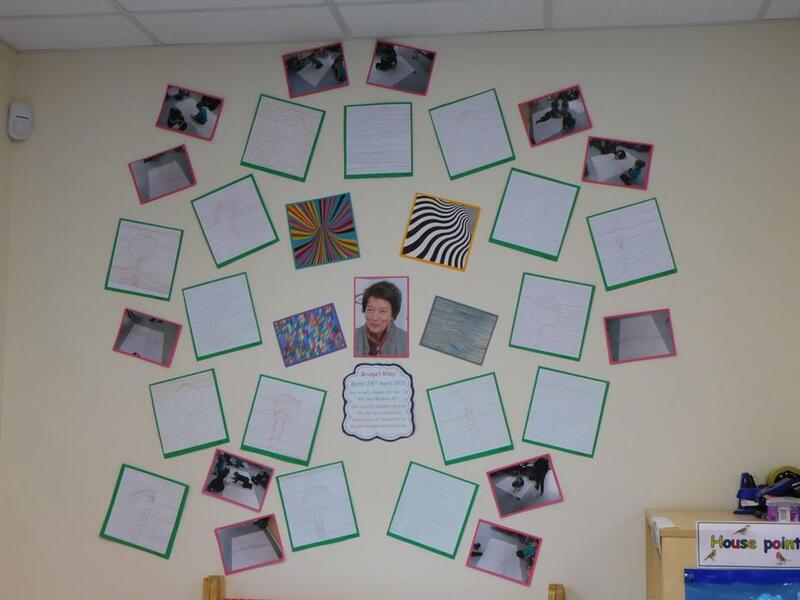 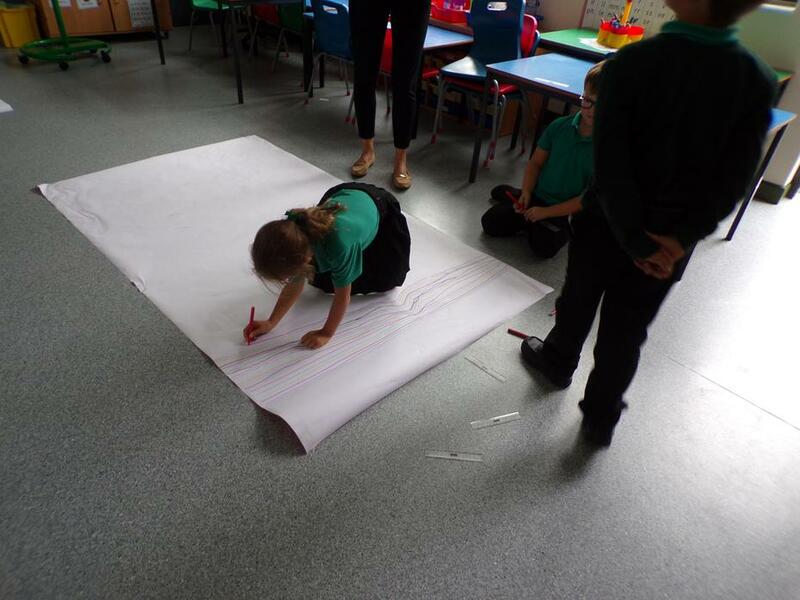 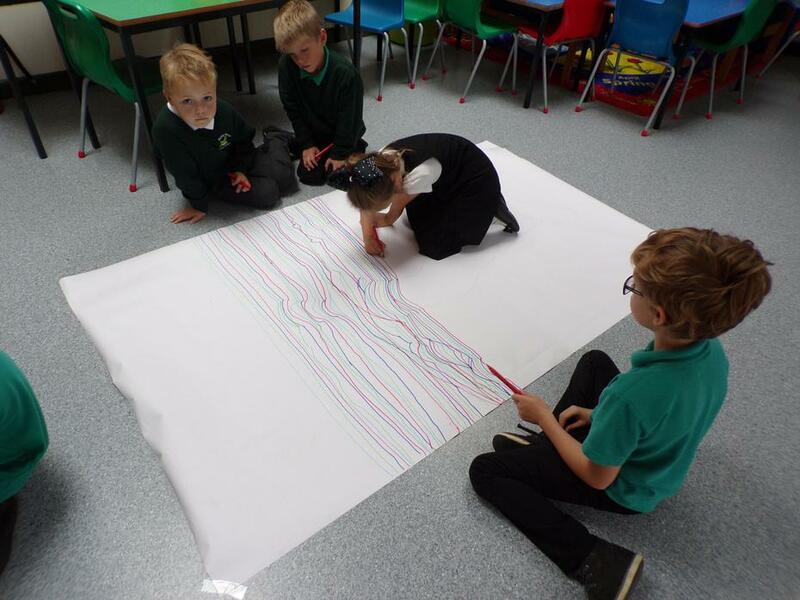 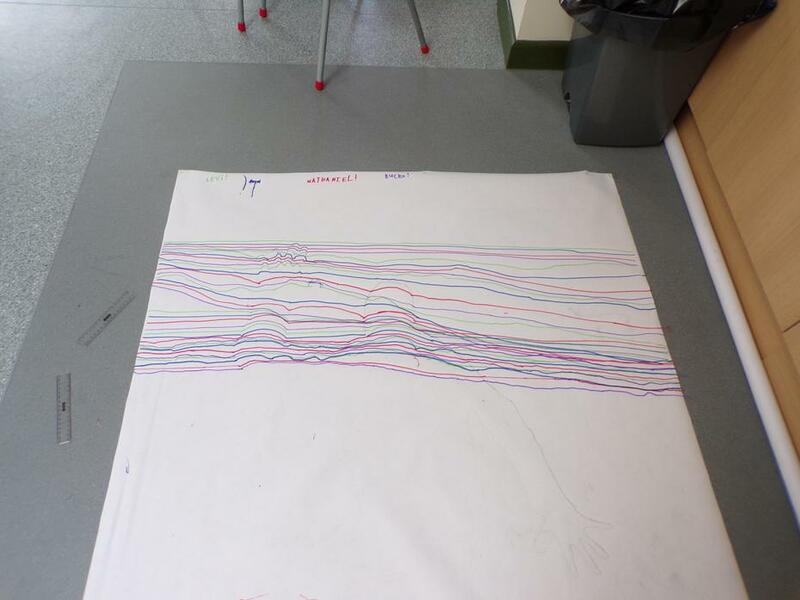 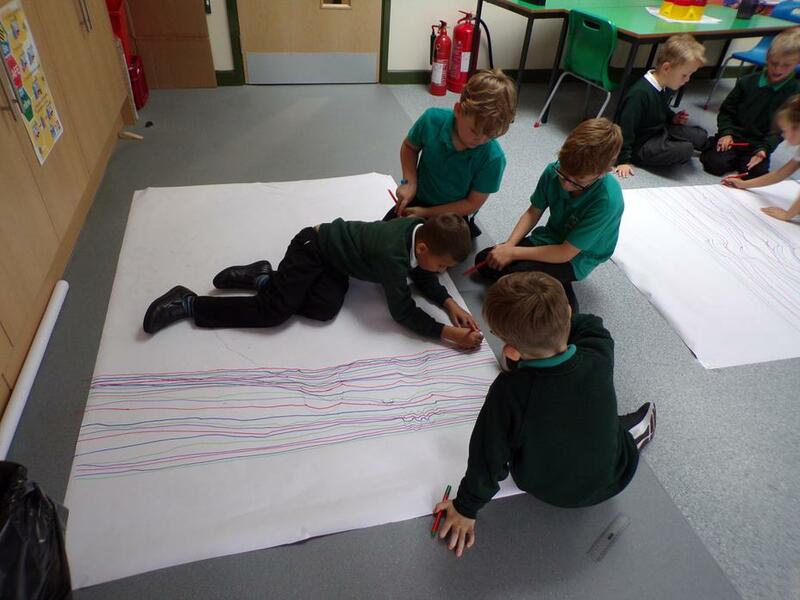 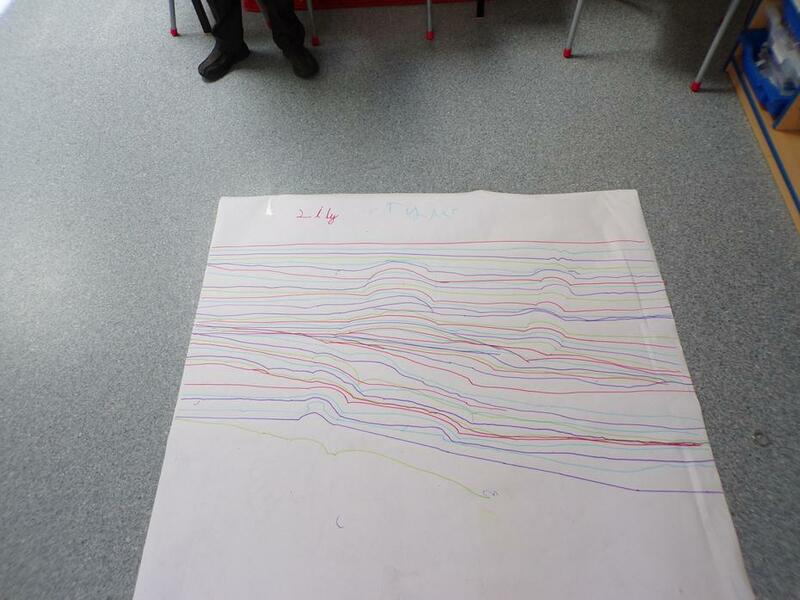 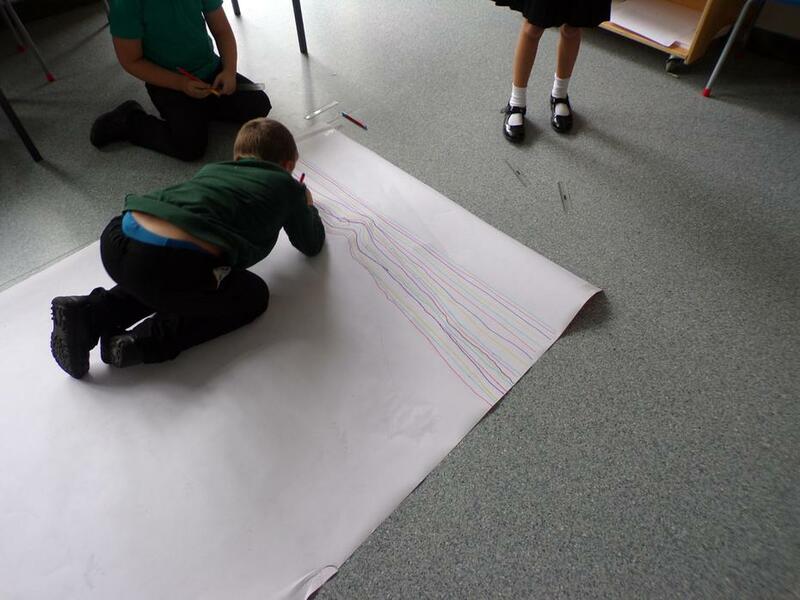 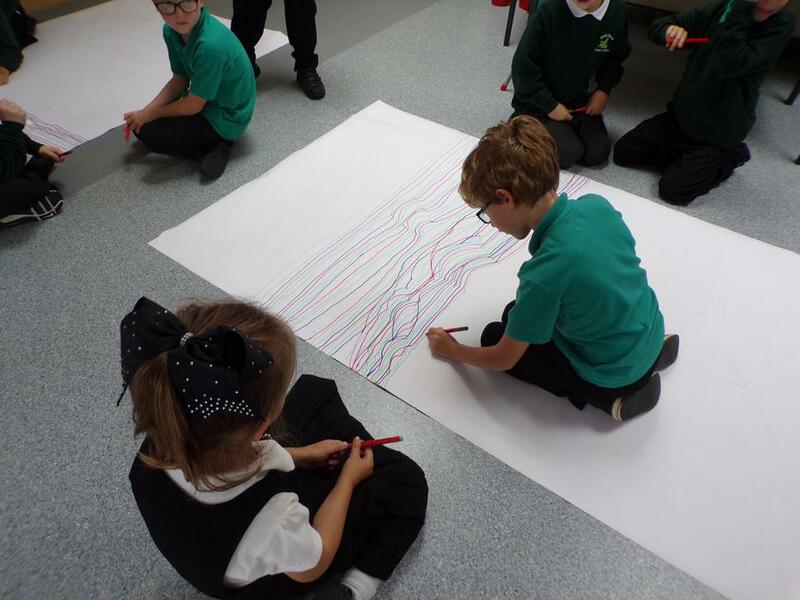 Big Op Art in the style of Bridget Riley! 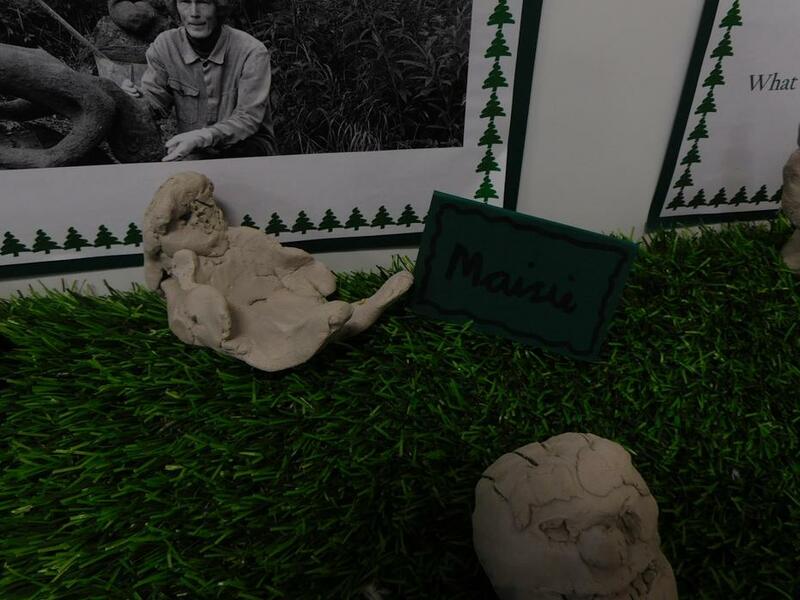 Can you see the 3D bodies starting to emerge? 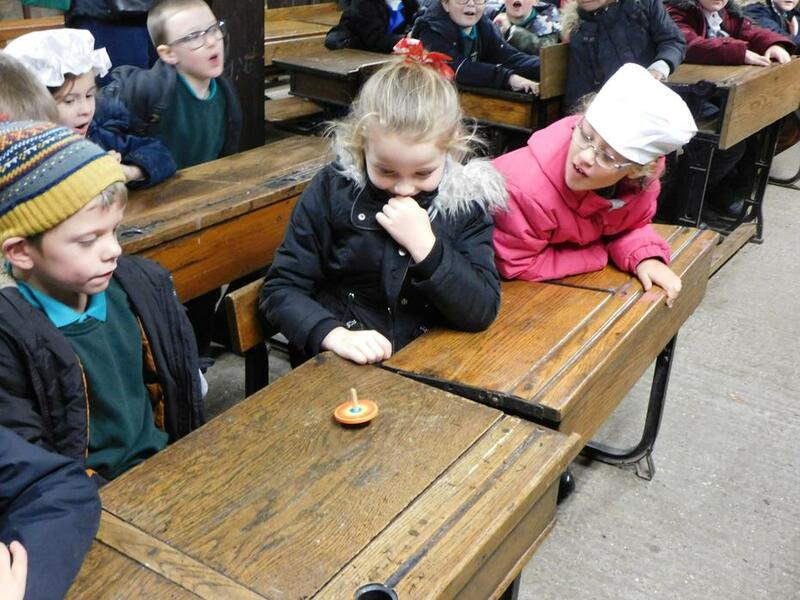 How do humans communicate and creating smoke rings. 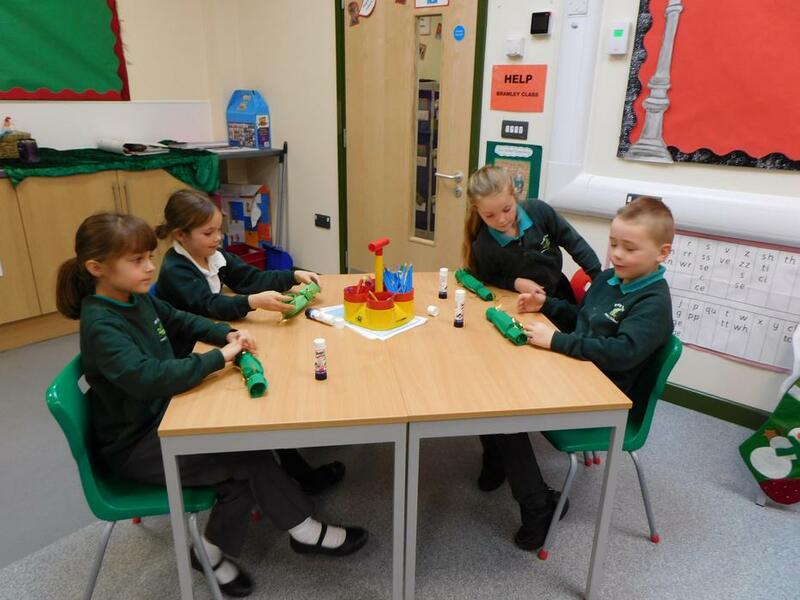 Our elected school council members! 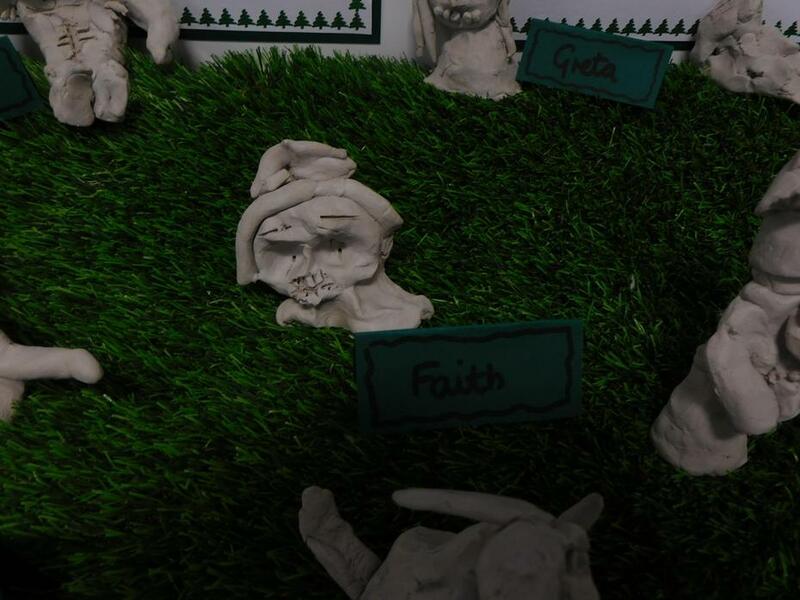 Well done Faith and Levi!